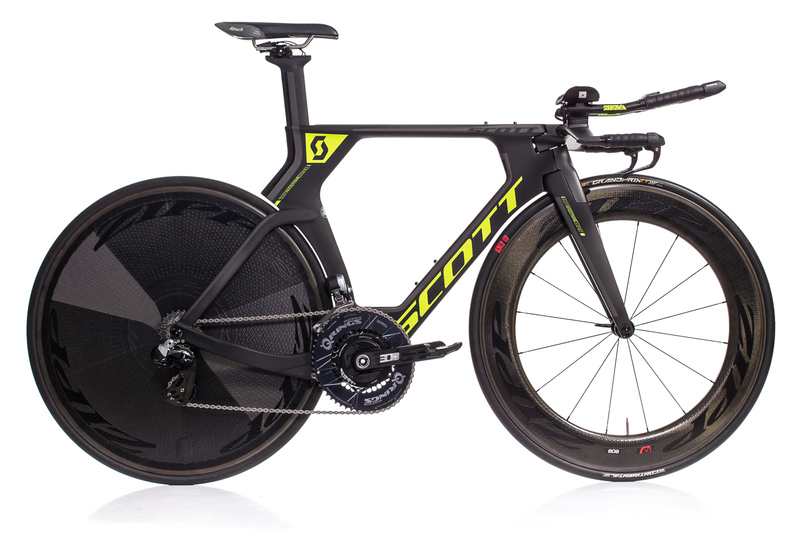 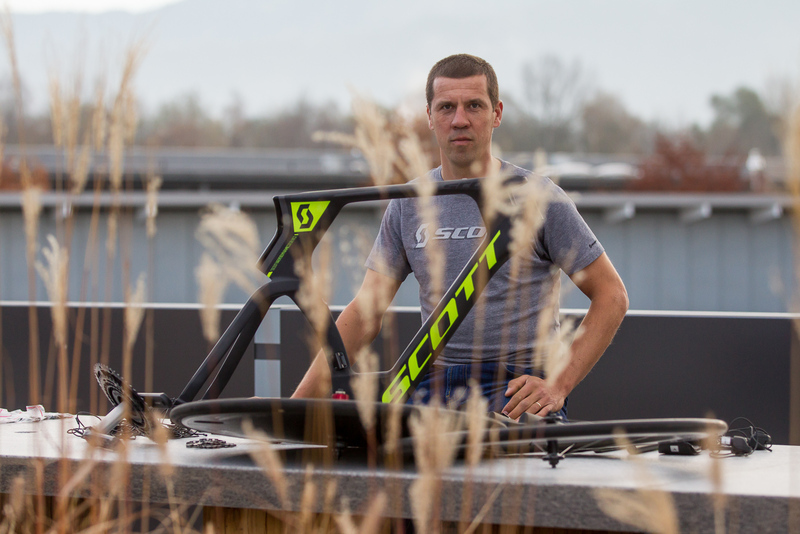 Take the new Plasma 5 TT frameset by Scott, a Shimano Dura-Ace Di2 groupset, ZIPP wheels and a power2max Type S Rotor 3D+ power meter, then pay a visit to a mechanic you can trust. 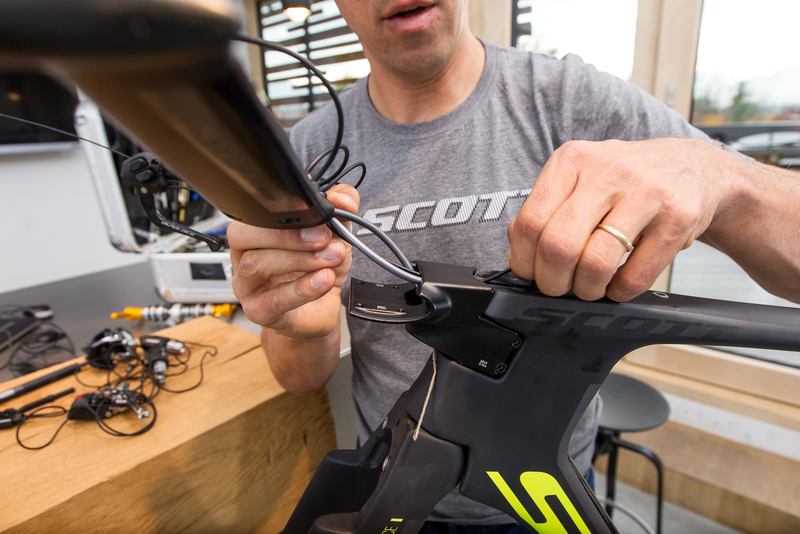 In our case, this would be Lars Teutenberg, Scott's ProTeam technics guru. 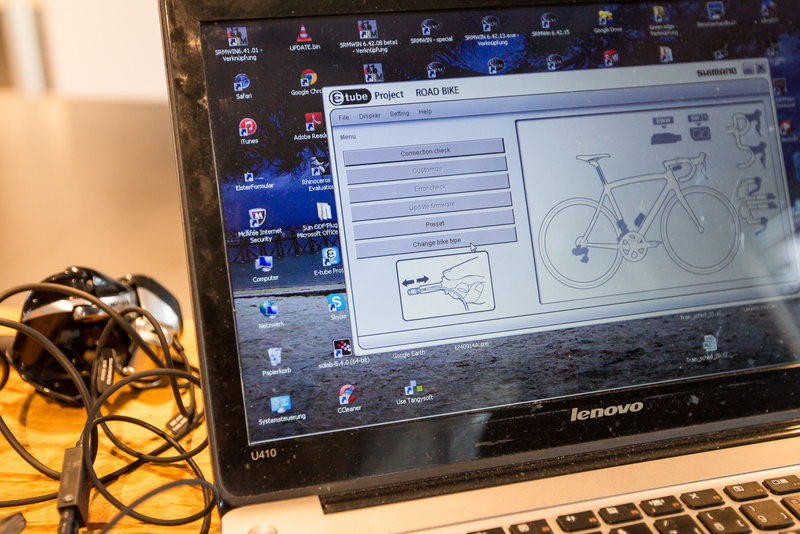 Within only a few hours, he built our long-term test-bike to measure and gave us practical hints & tips. 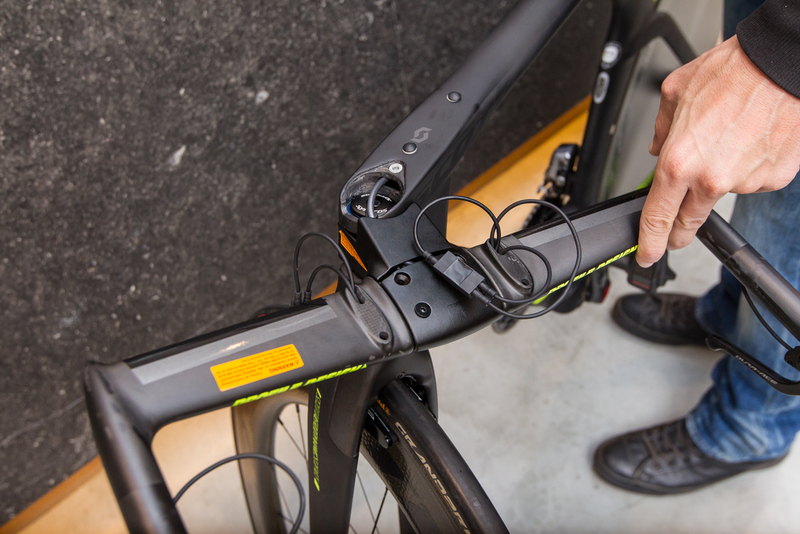 Aside from aerodynamics, the engineers also paid special attention to critical areas such as ergonomics, adjustability, equipment compatibility, fuel storage (tri bike built) and suitability for everyday use - as you'll see on the following 170 workshop photos. 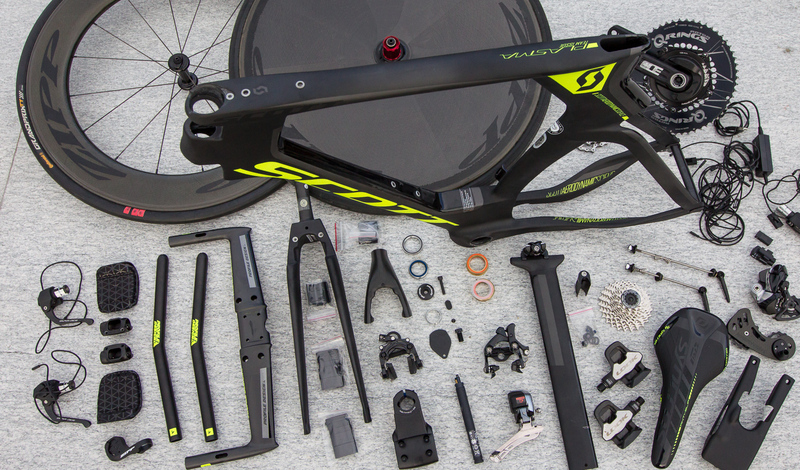 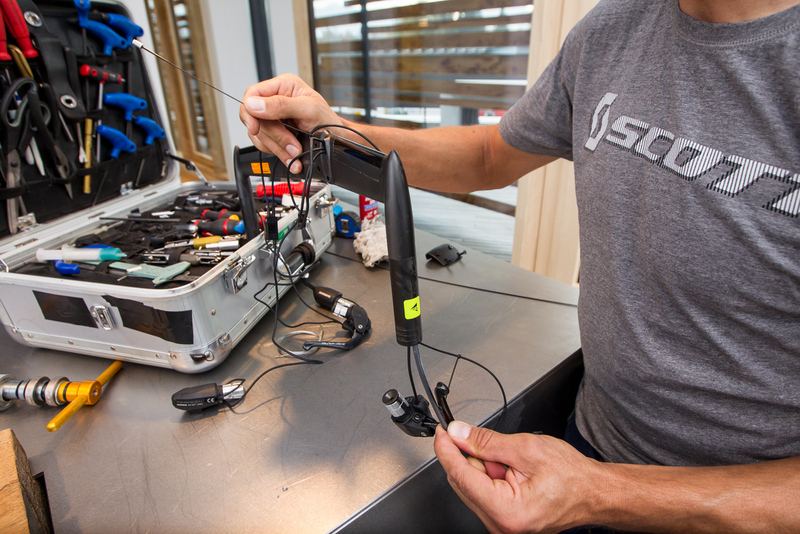 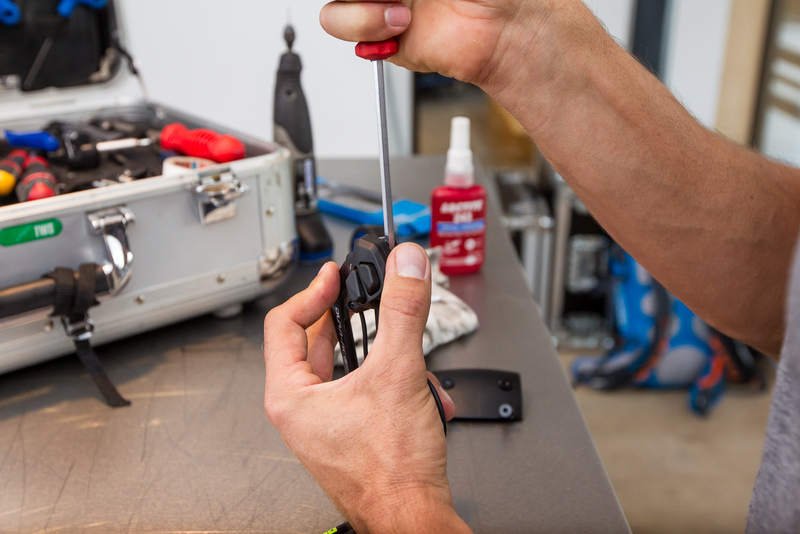 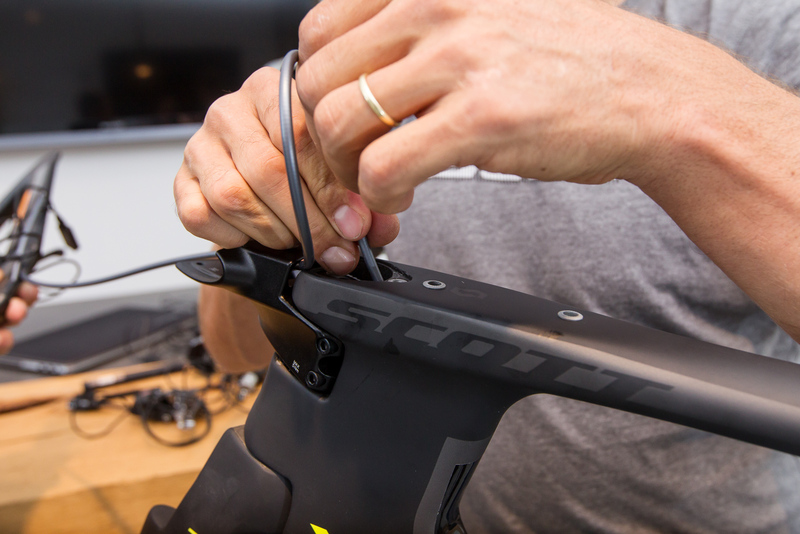 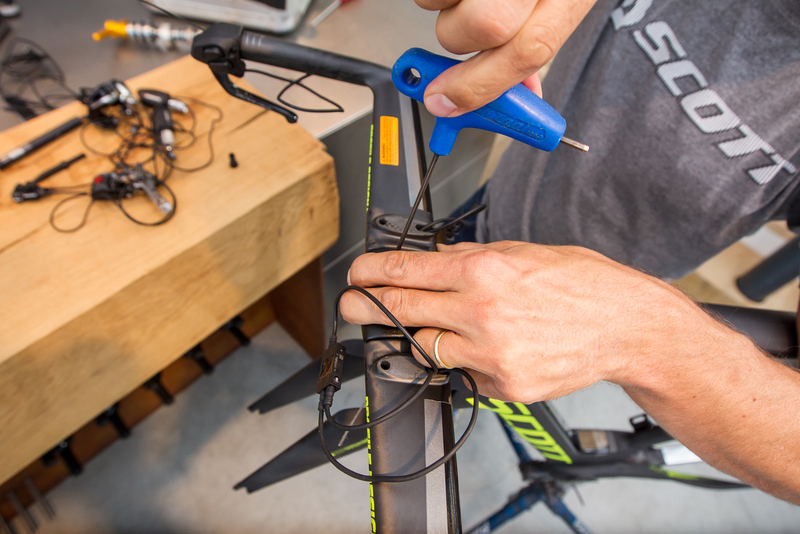 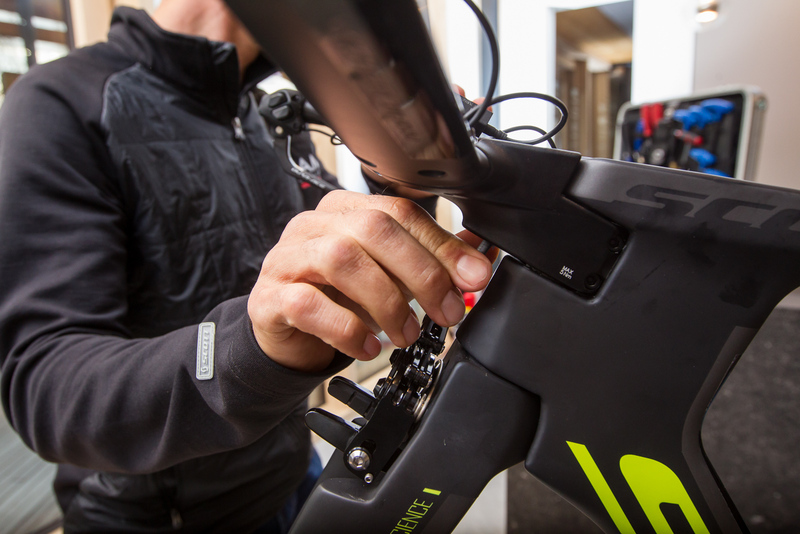 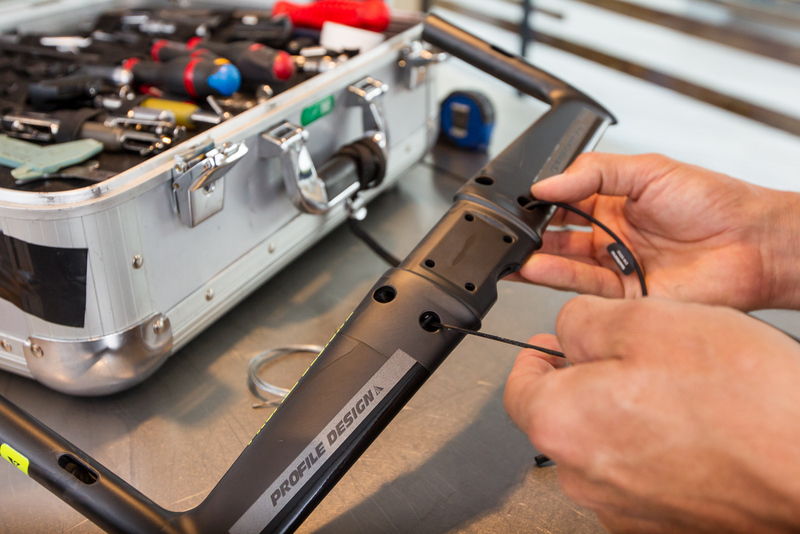 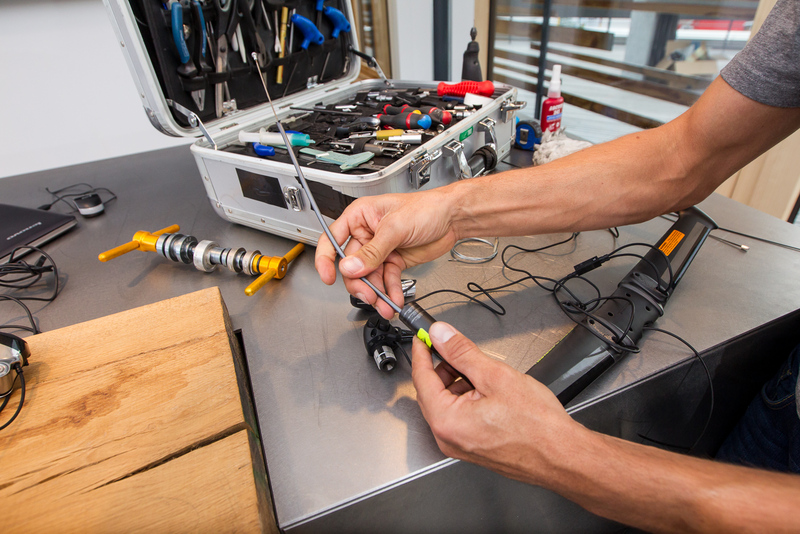 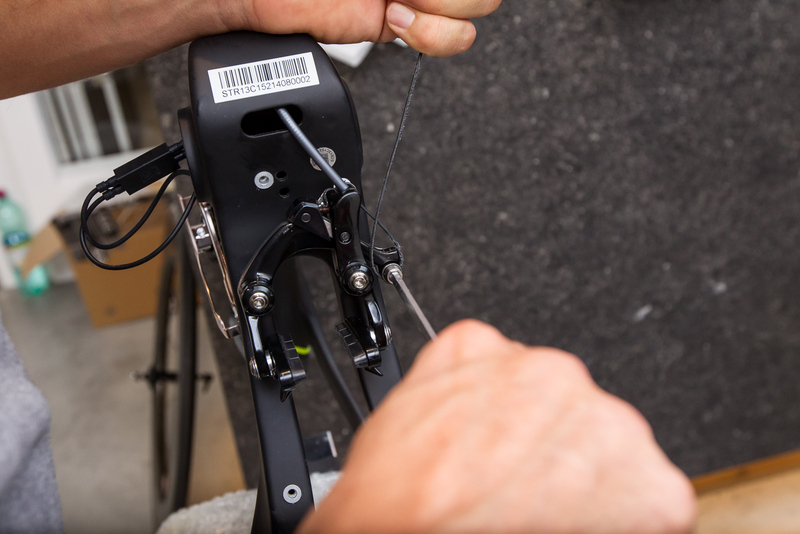 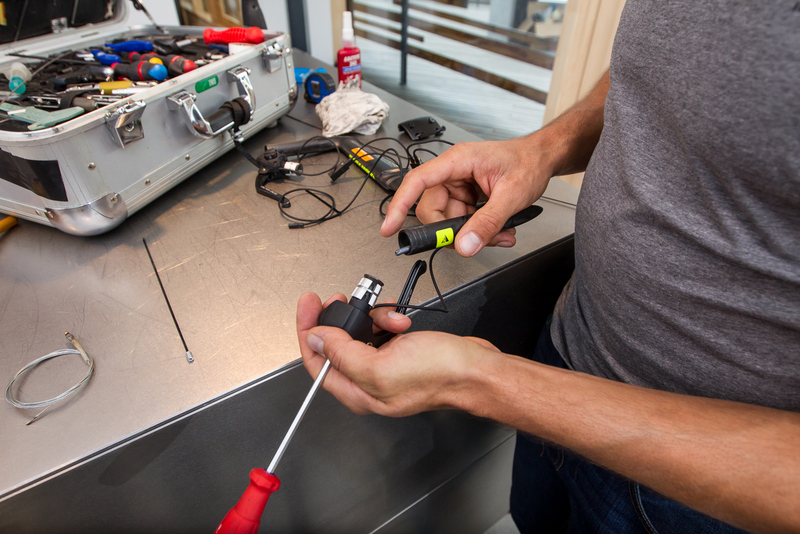 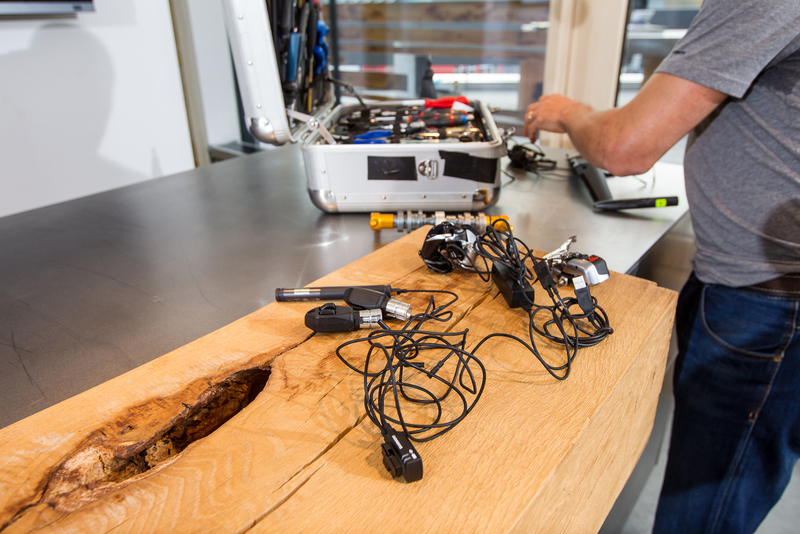 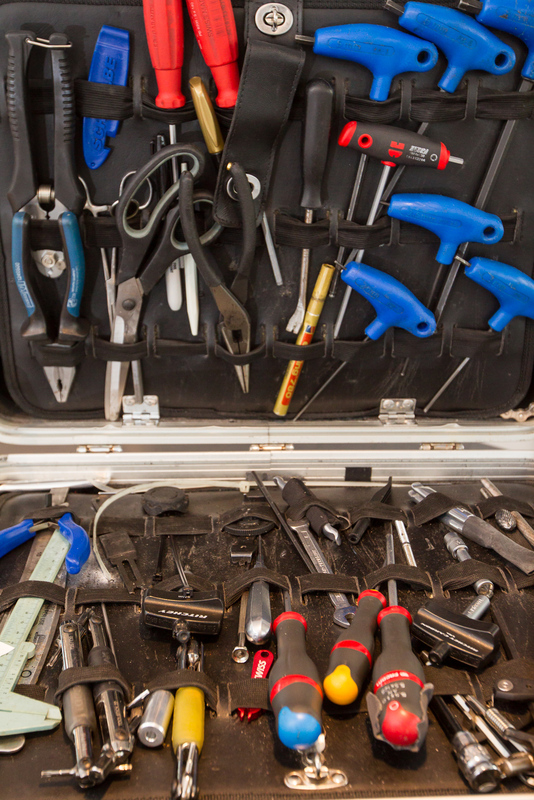 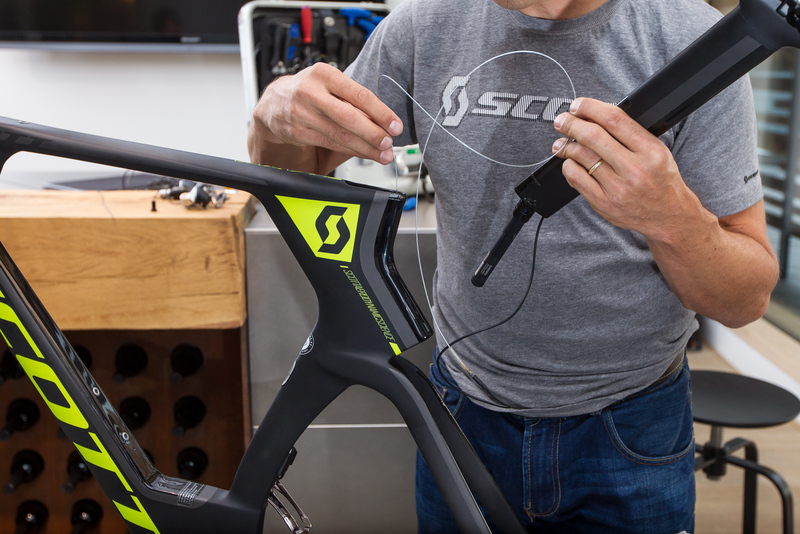 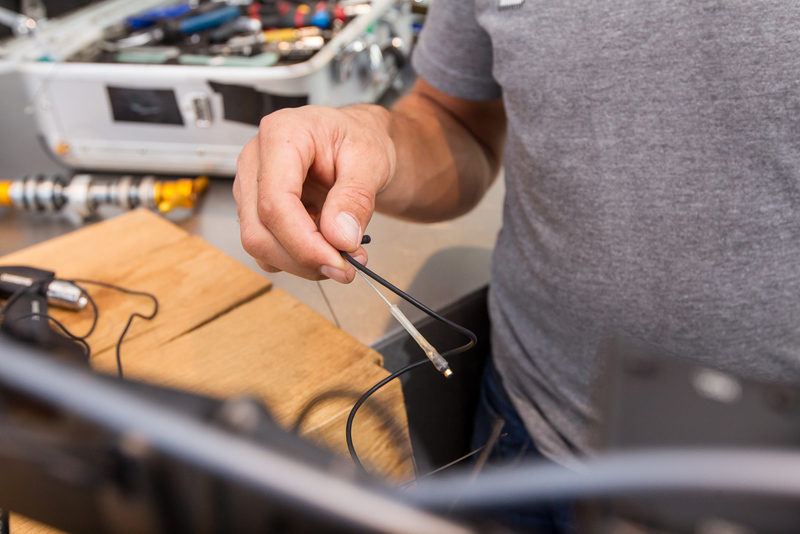 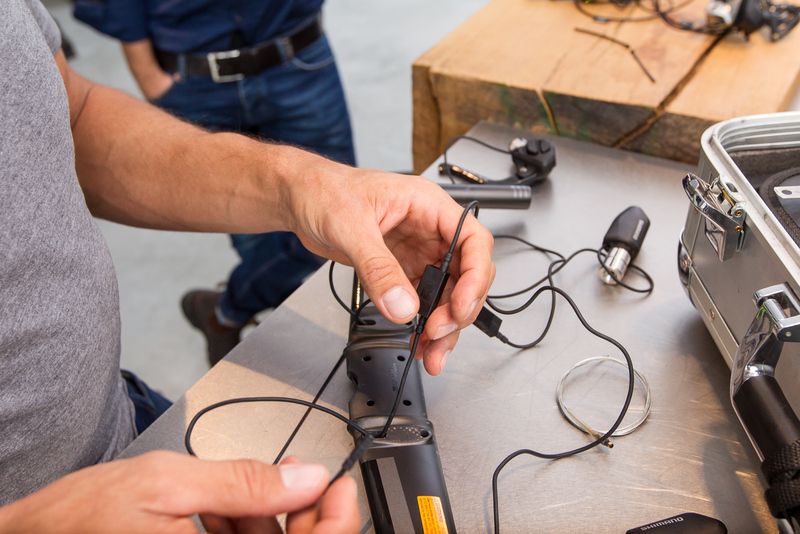 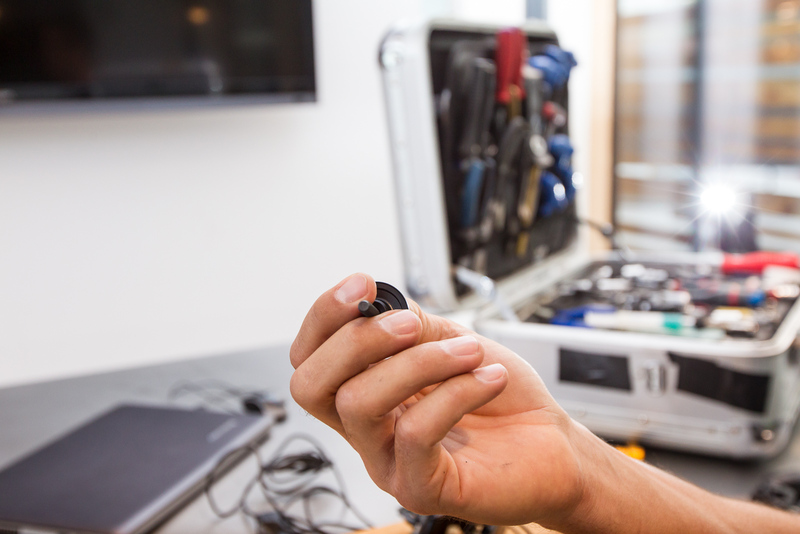 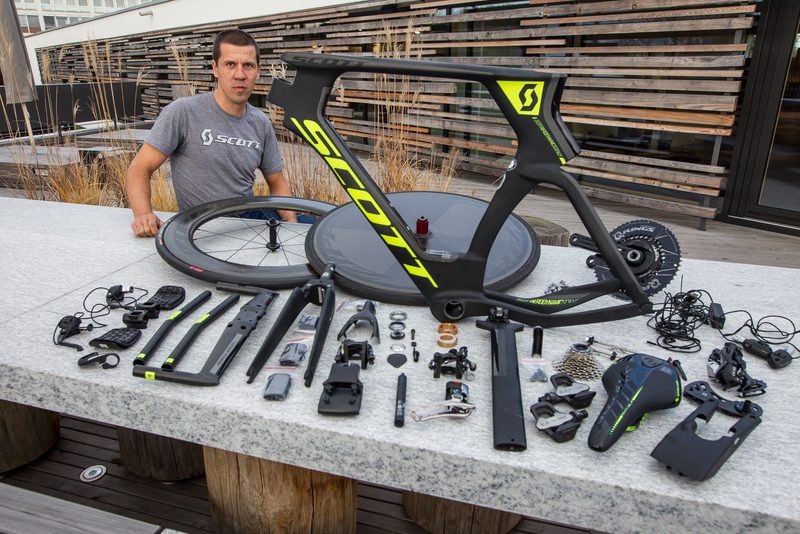 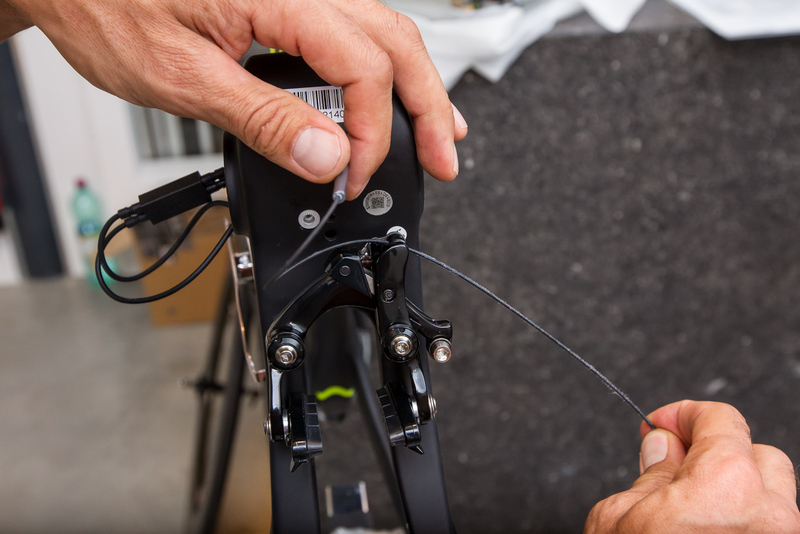 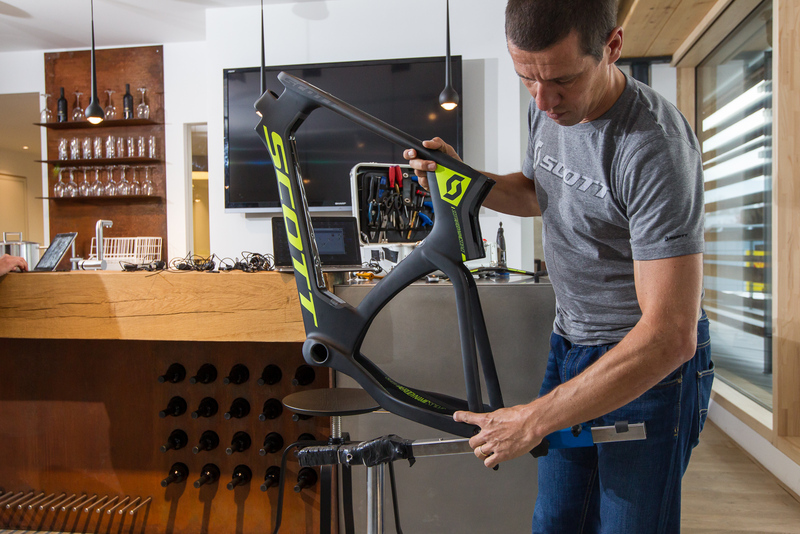 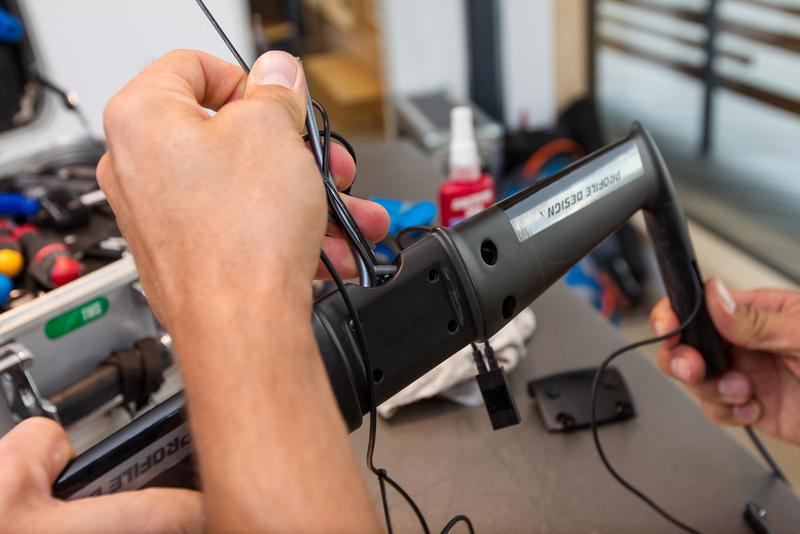 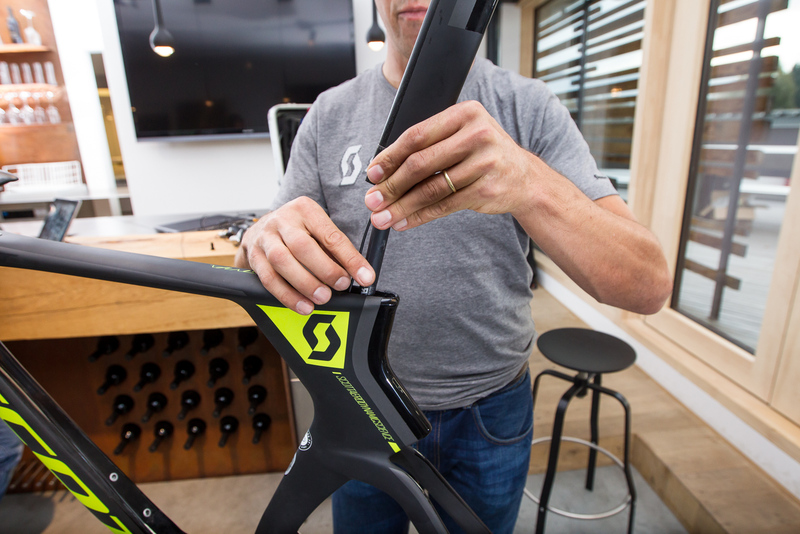 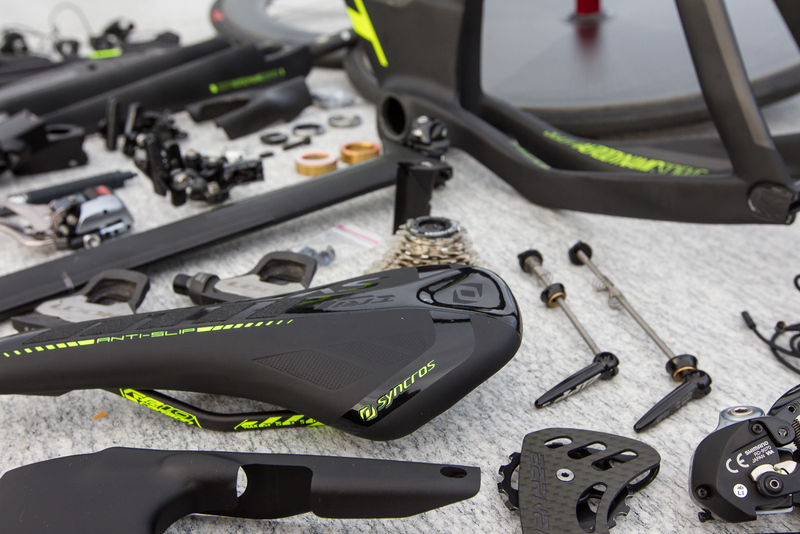 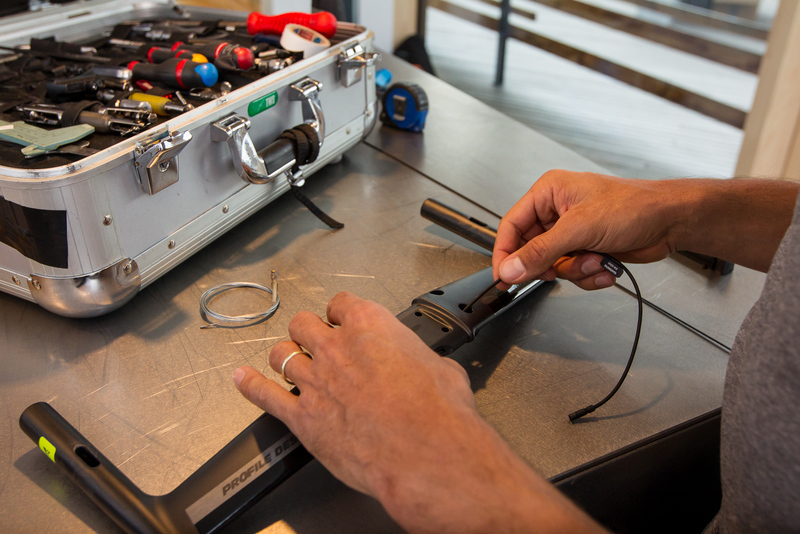 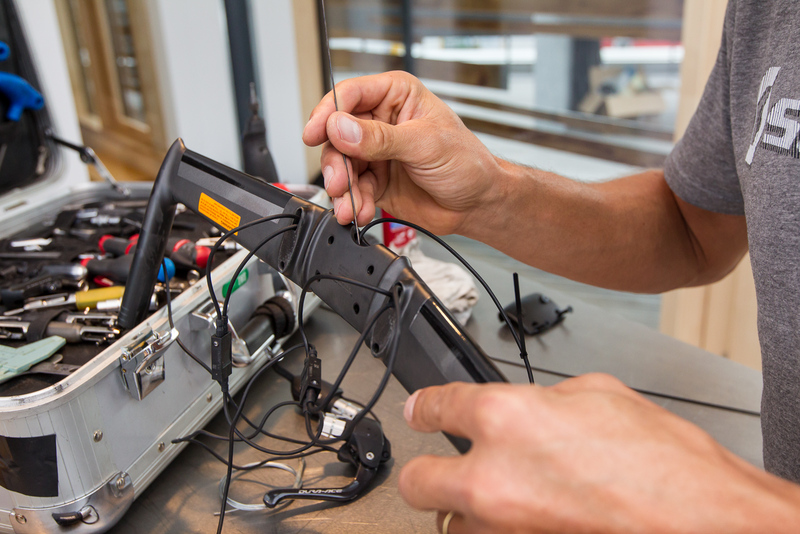 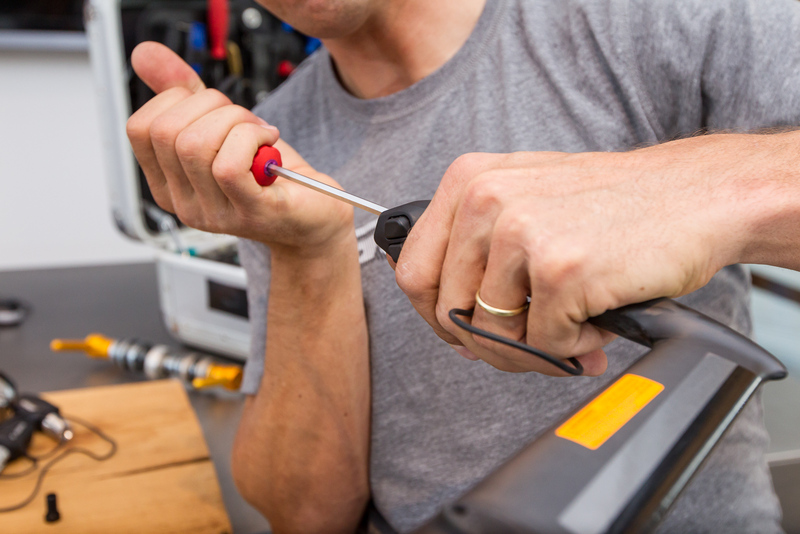 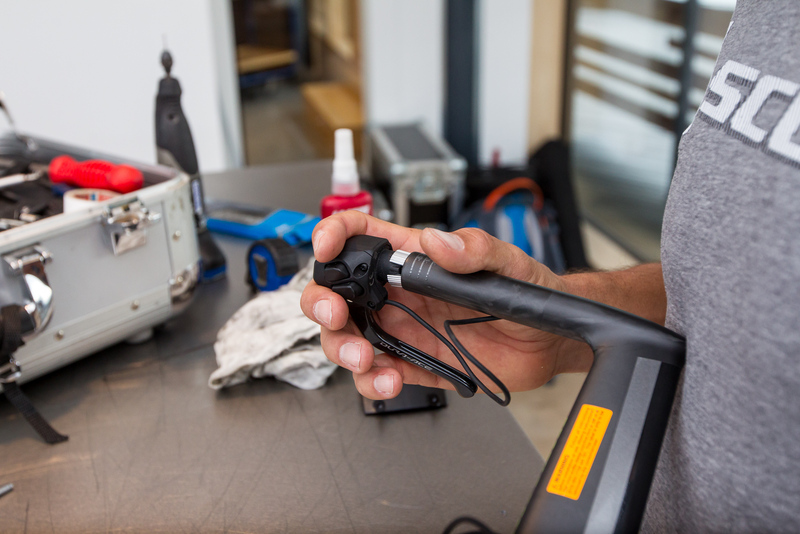 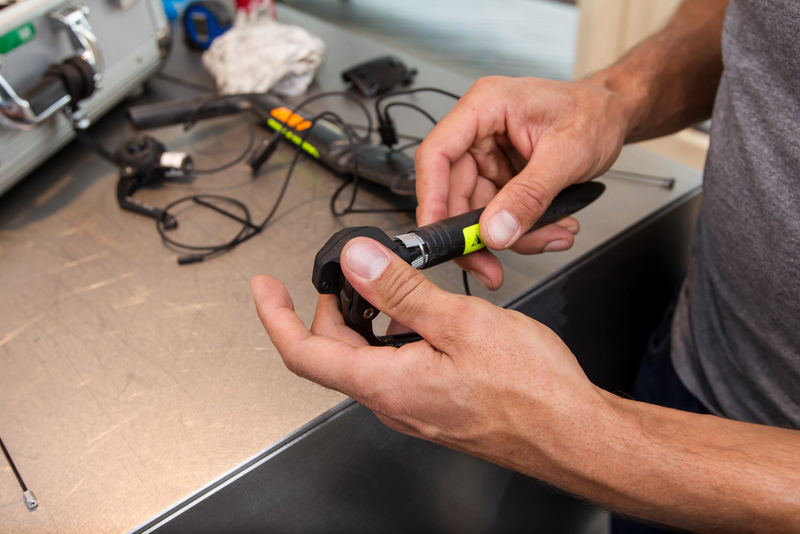 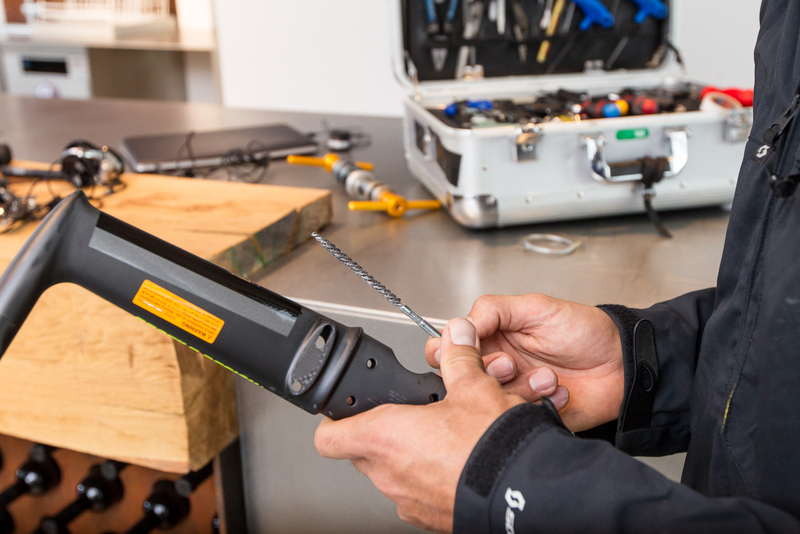 Before you start assembling the bike, we recommend doing an inventory check of all parts (components, cables, wires, junctions, etc. 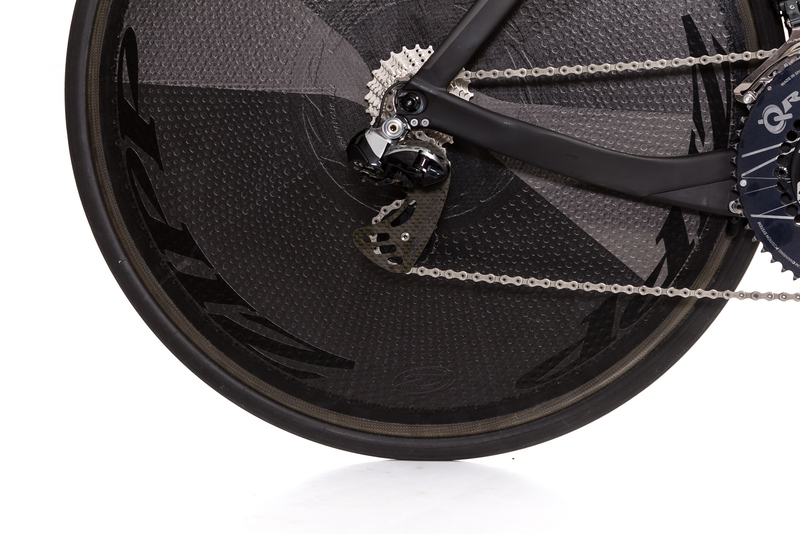 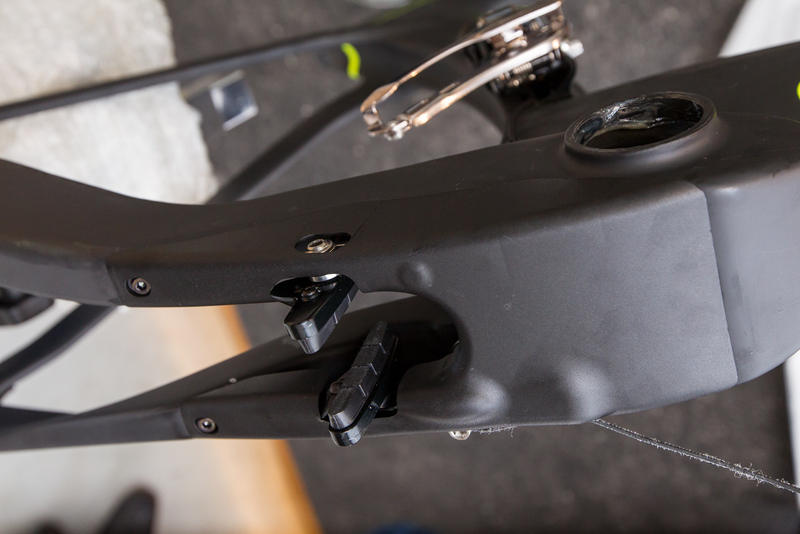 ), as well as a brief function test of the electronic Dura-Ace Di2 groupset. 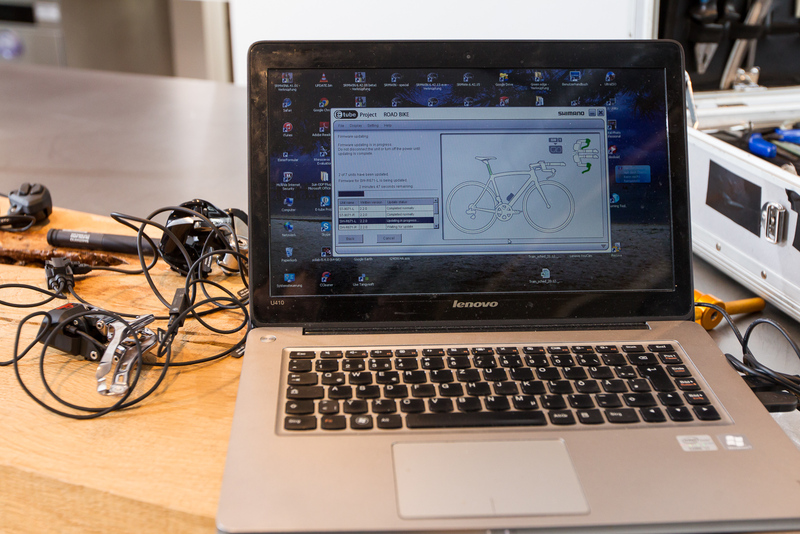 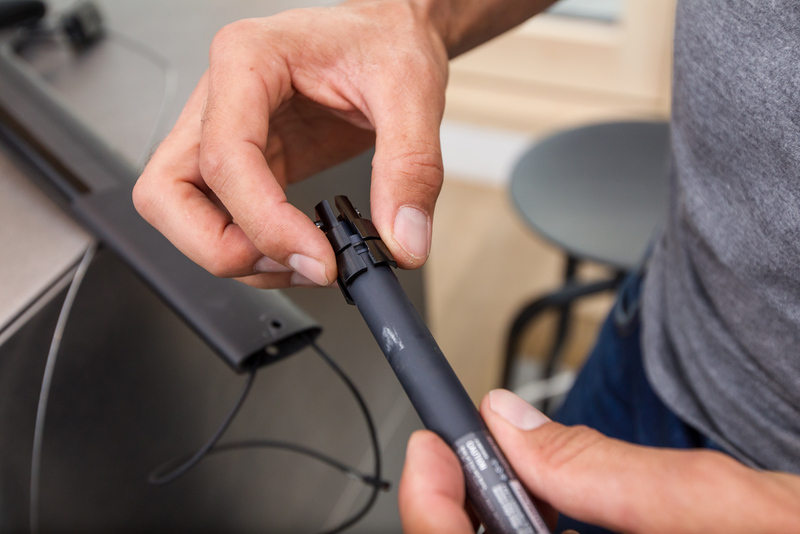 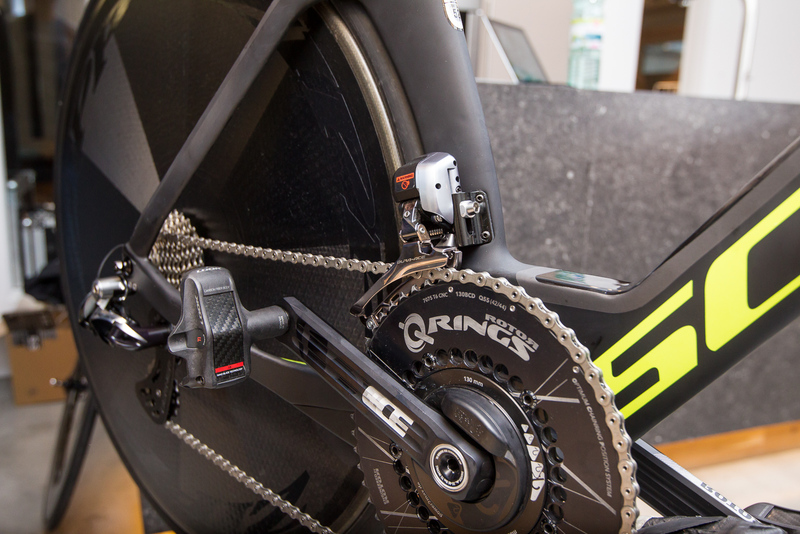 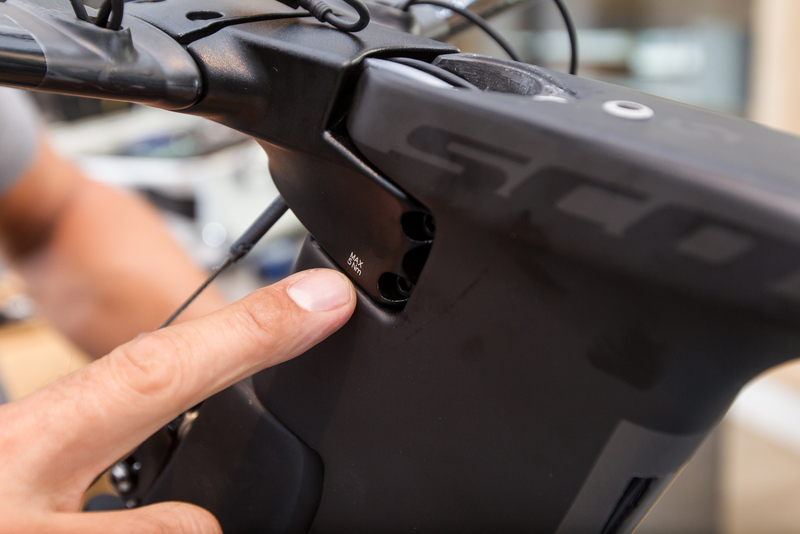 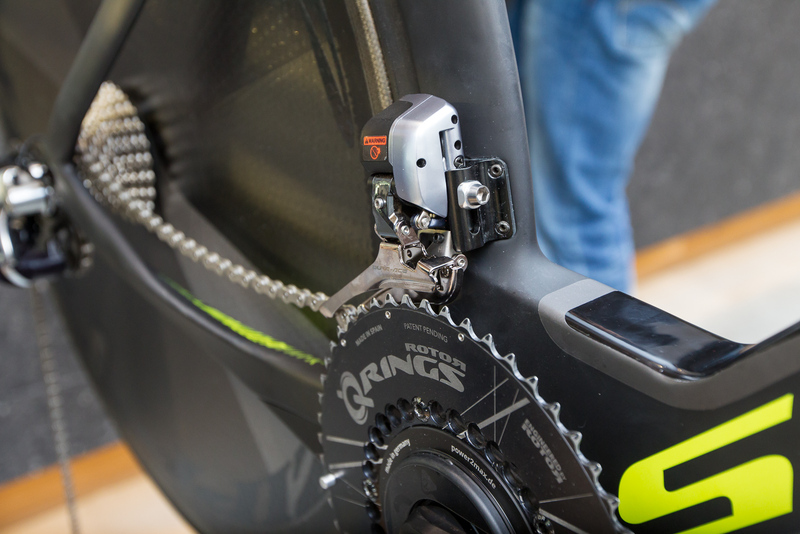 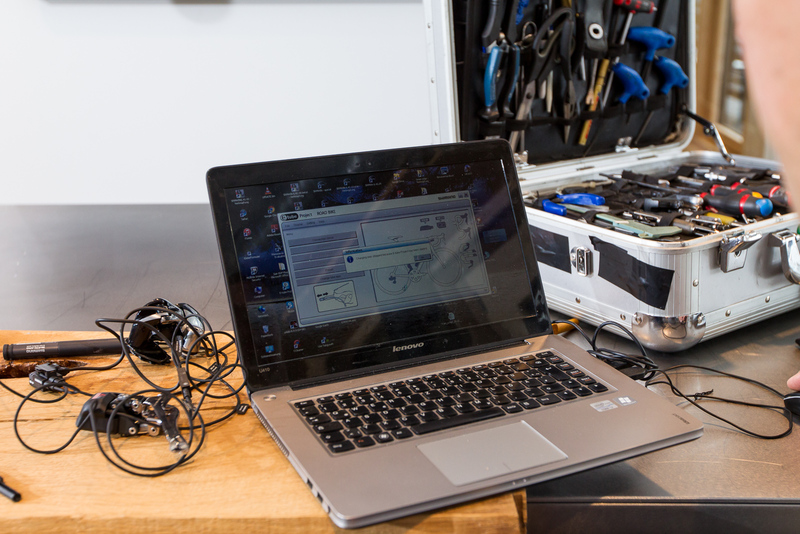 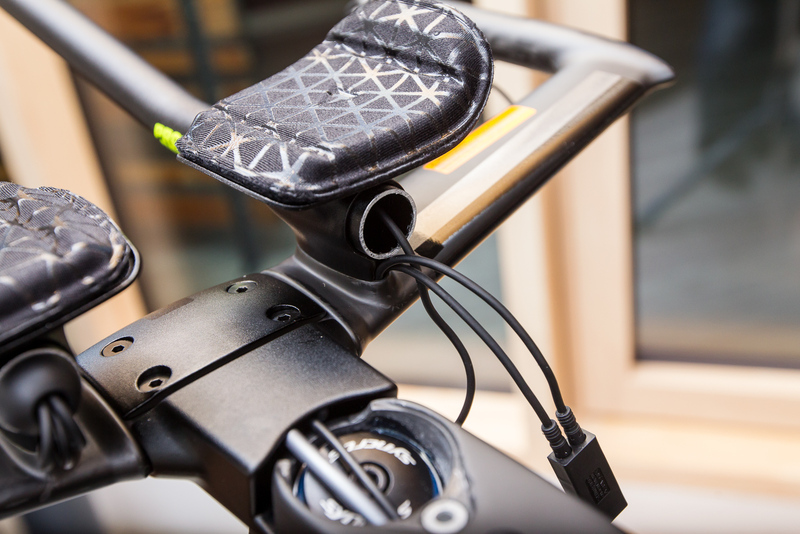 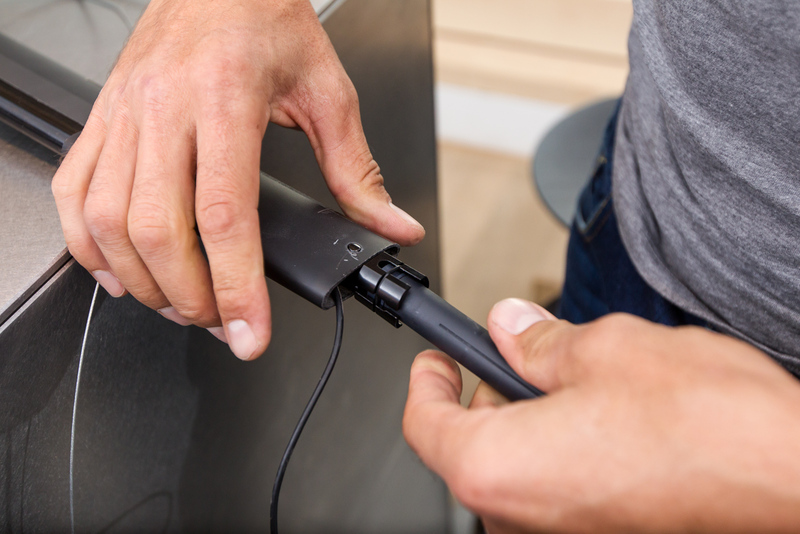 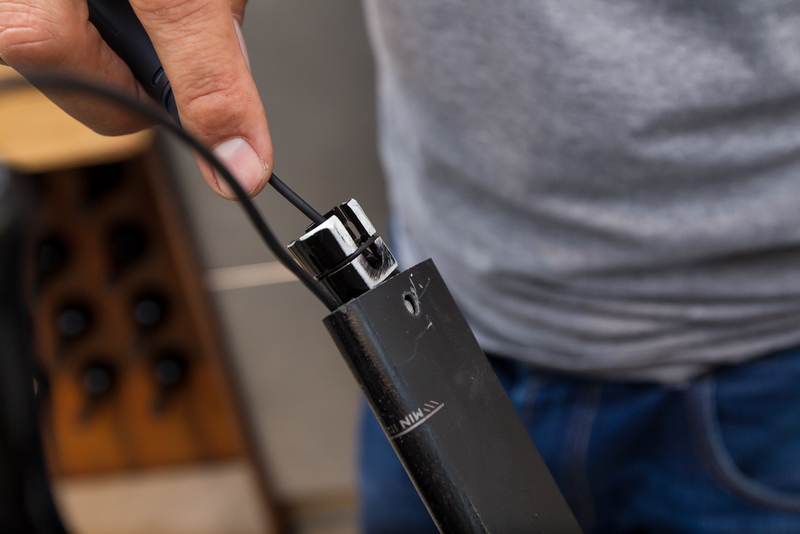 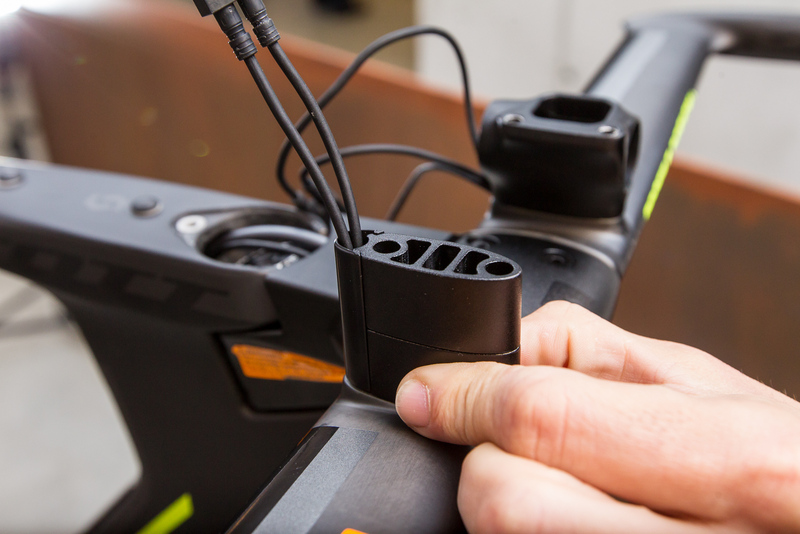 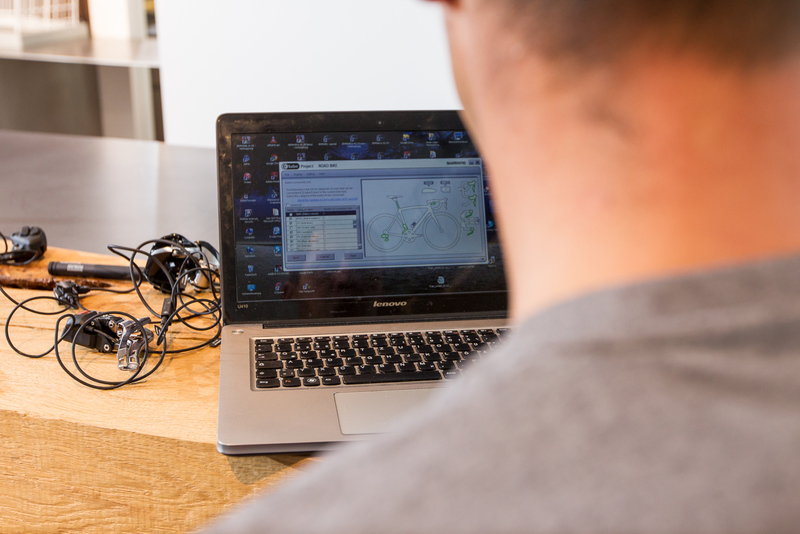 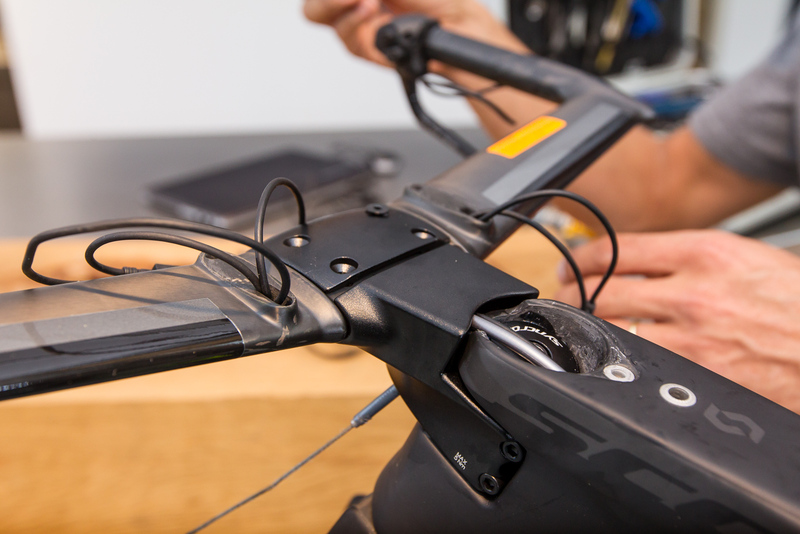 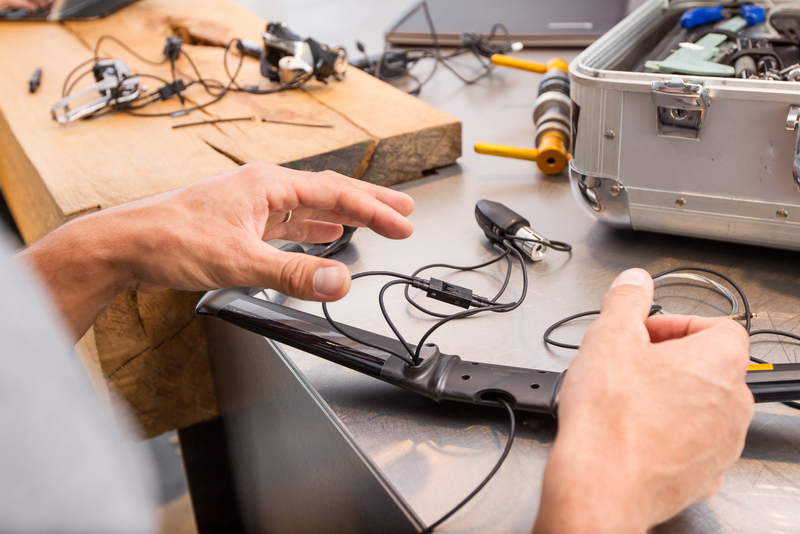 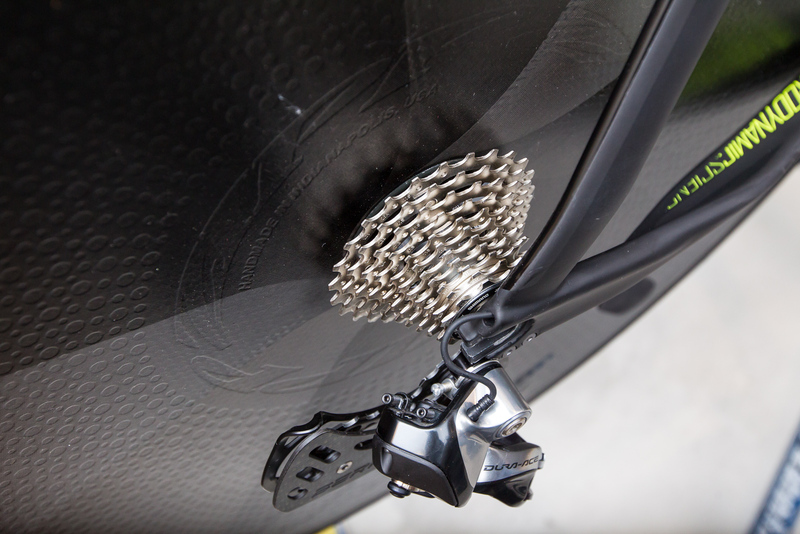 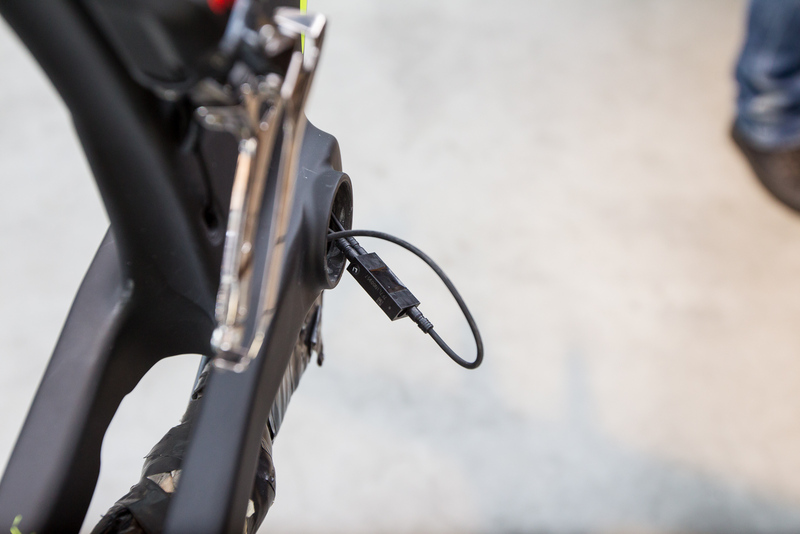 To do this you'll need either the Shimano PC interface (SM-PCE1) or the Di2 charger (SM-BCR2), and a PC with Shimano e-Tube Project software installed, which is available for free download. 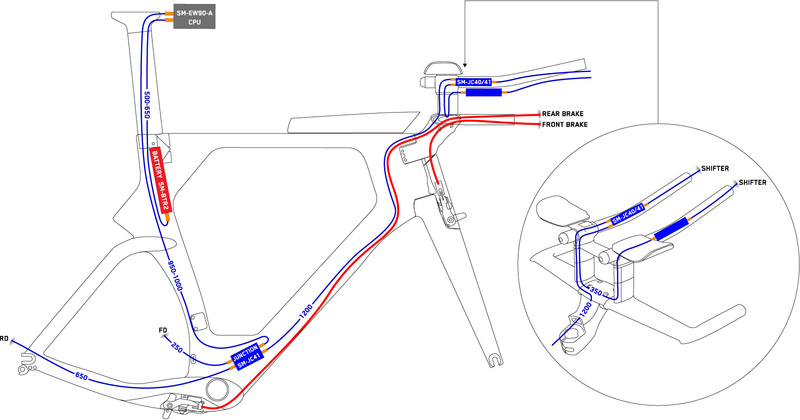 Put all electronic parts together according to the wiring diagram, upgrade their firmware and then test the shifters, front and rear derailleur. 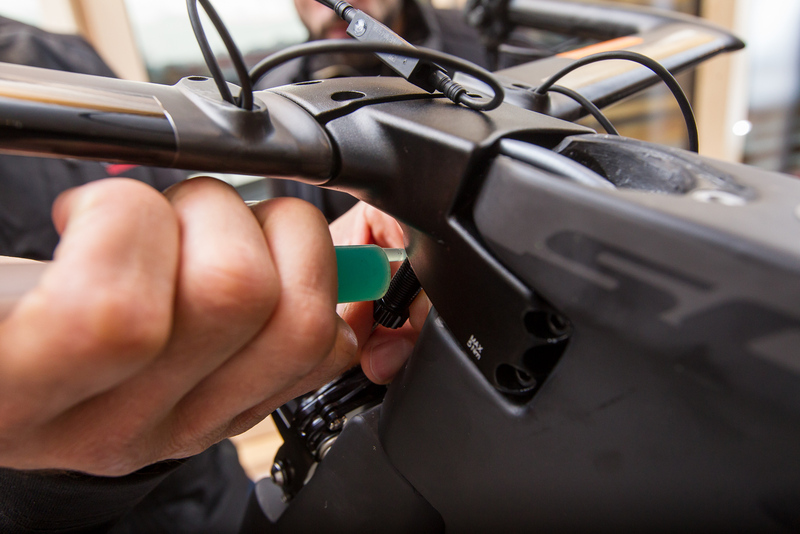 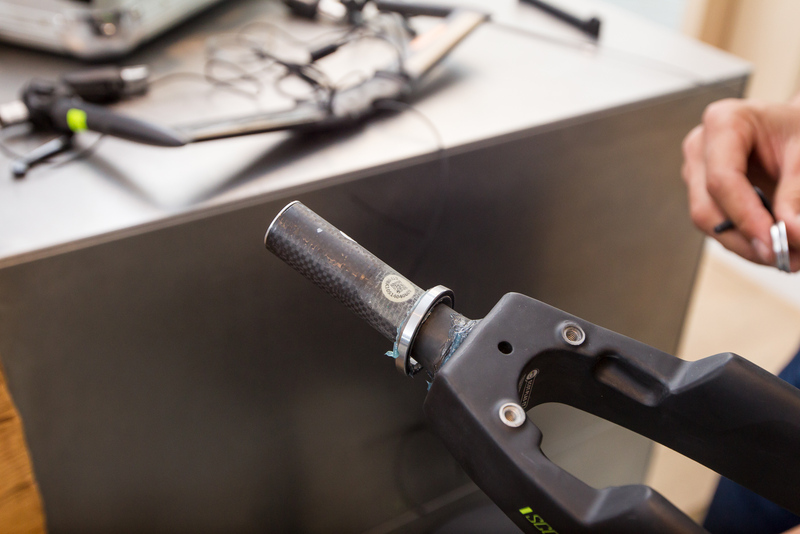 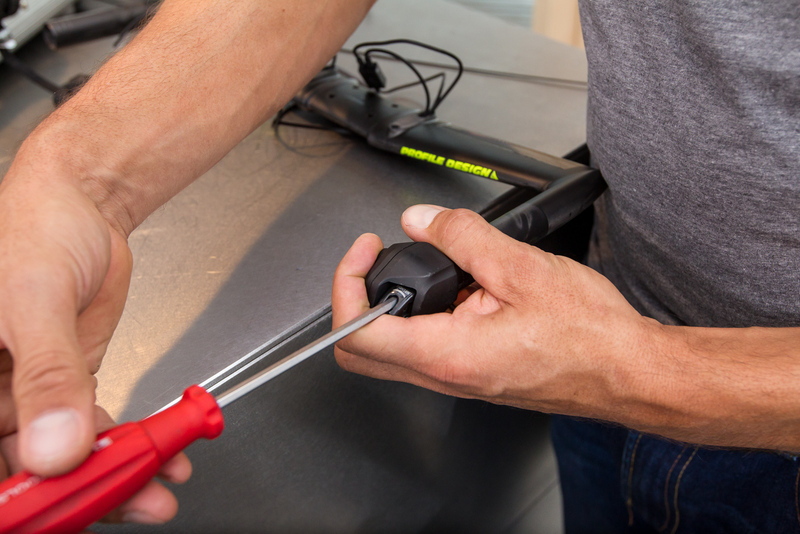 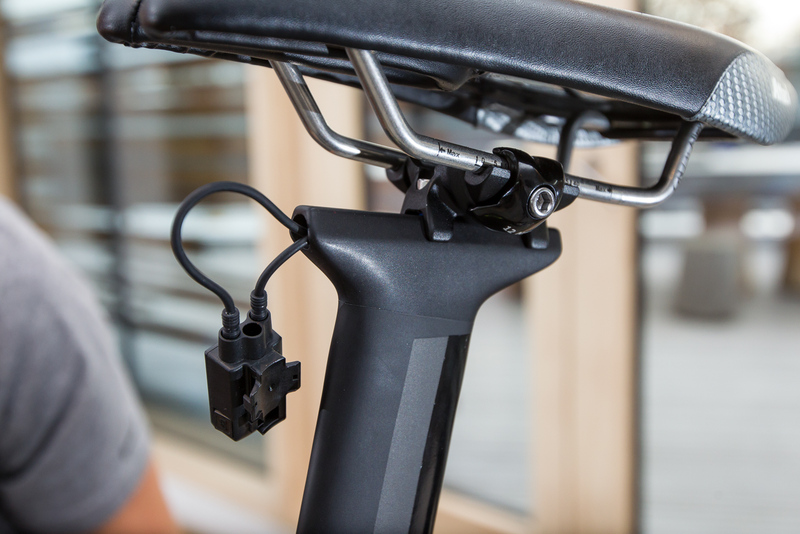 With all the components located outside the handlebar and the frame, it's significantly easier to find any faults in the electronic system. 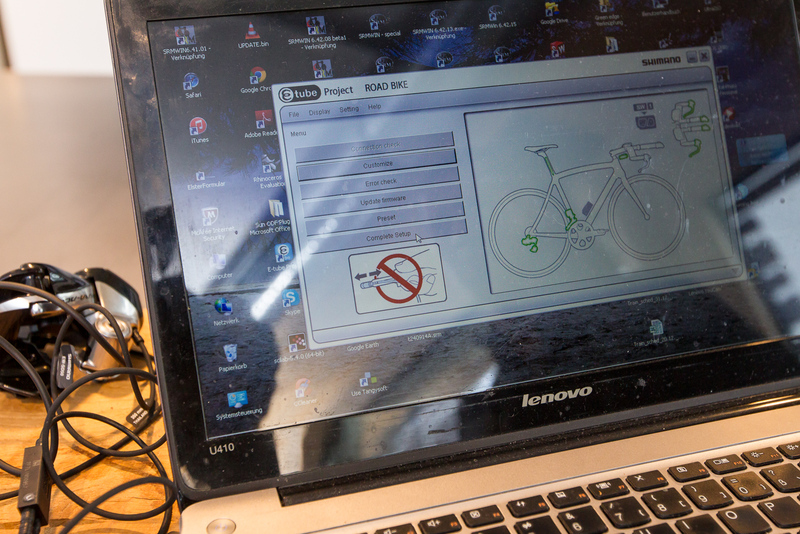 Note: Always wait until the "firmware update complete" window is displayed. 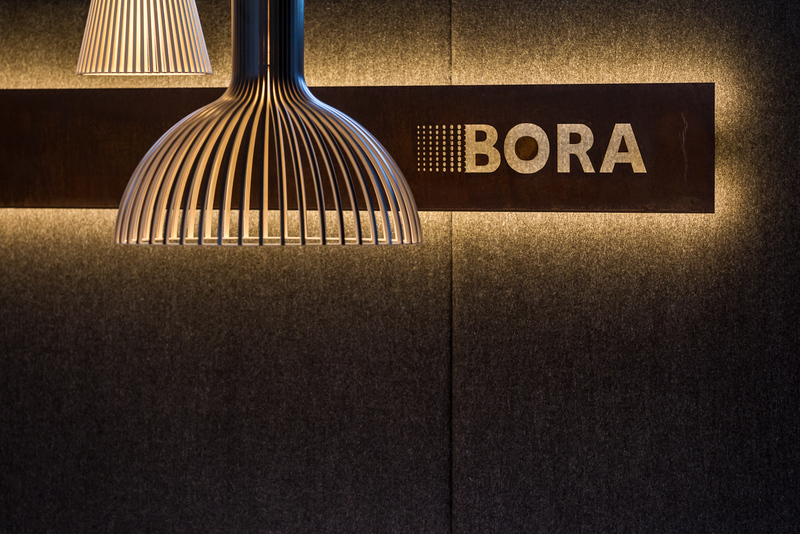 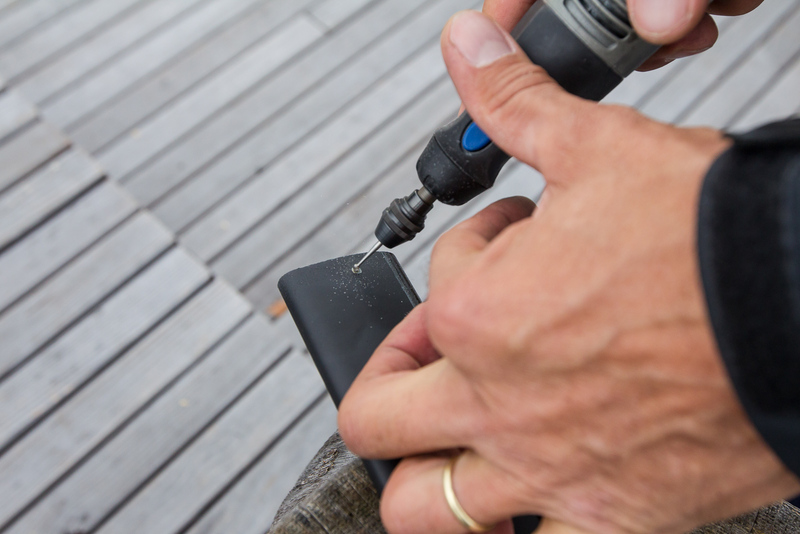 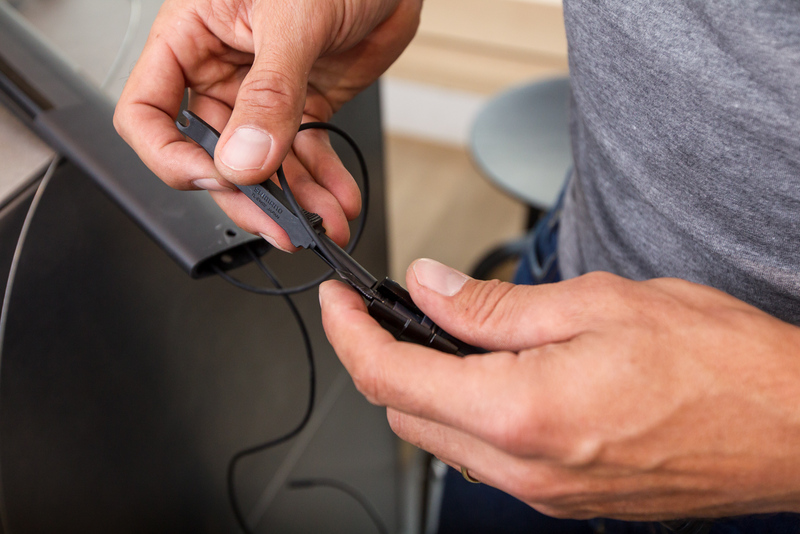 While the firmware update is in progress, make sure that the PC does not switch to standby mode and that you don't accidentally disconnect the USB cable or an electric wire. 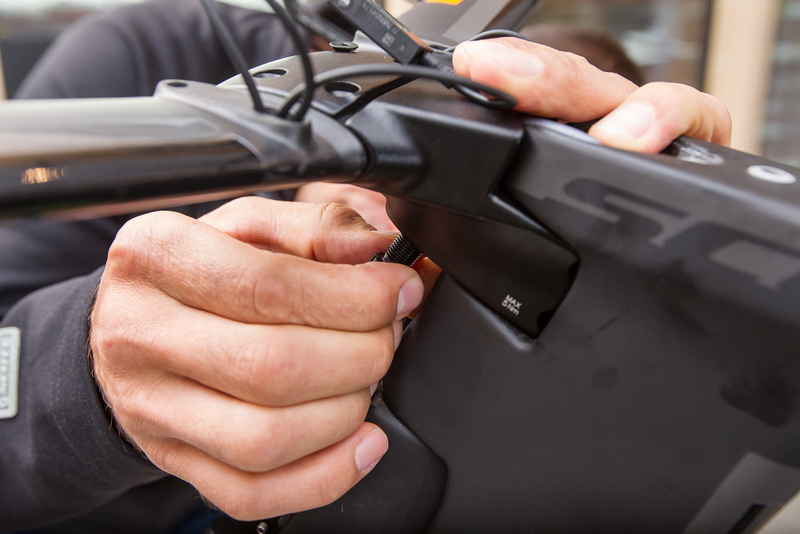 If the firmware, which has been paired to a unit, becomes corrupted the unit will not operate correctly. 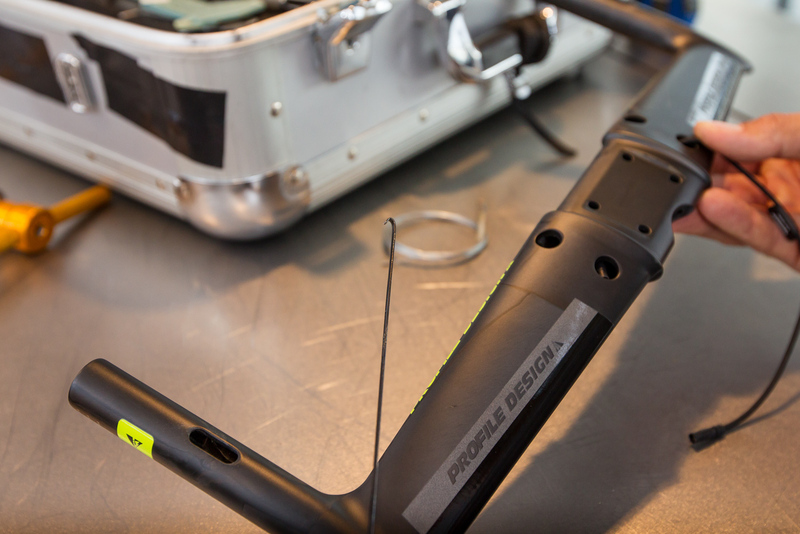 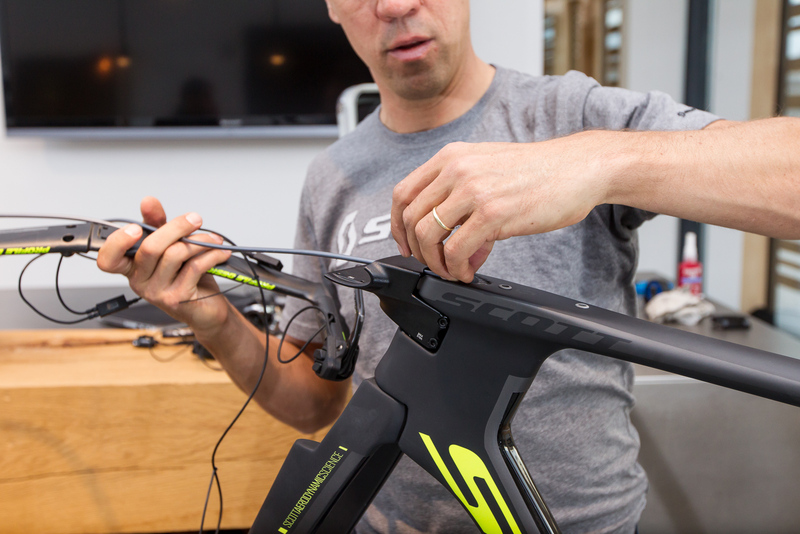 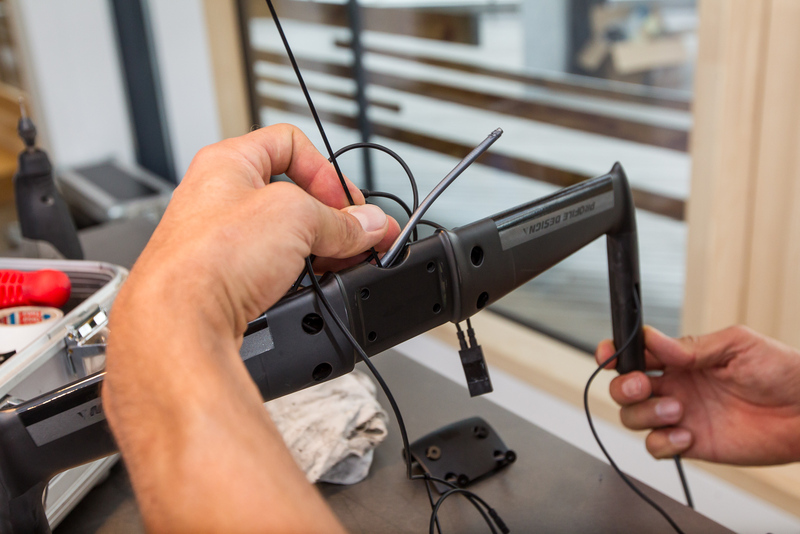 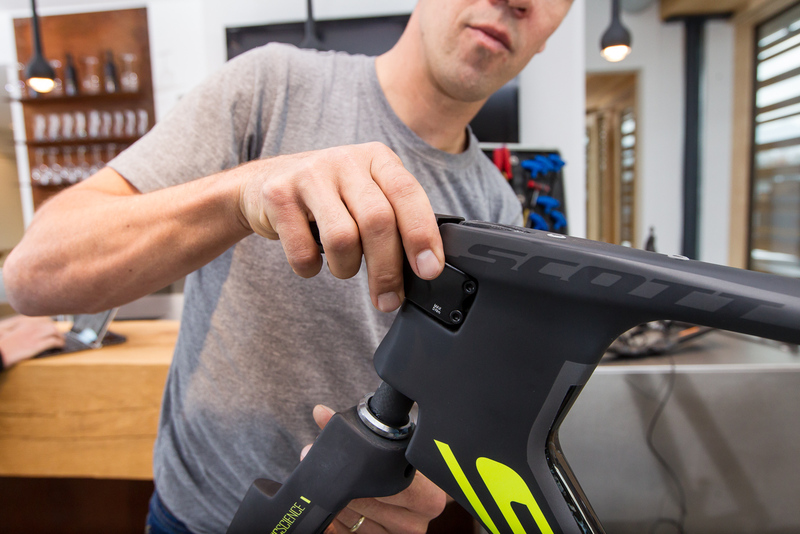 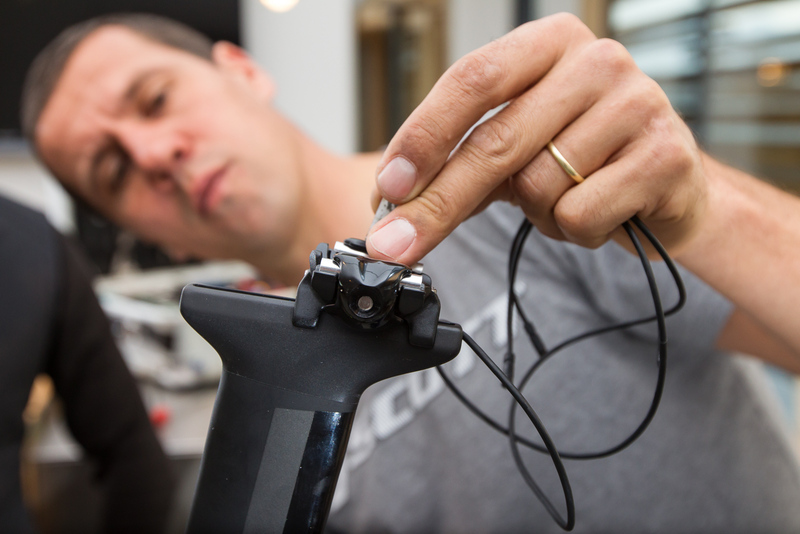 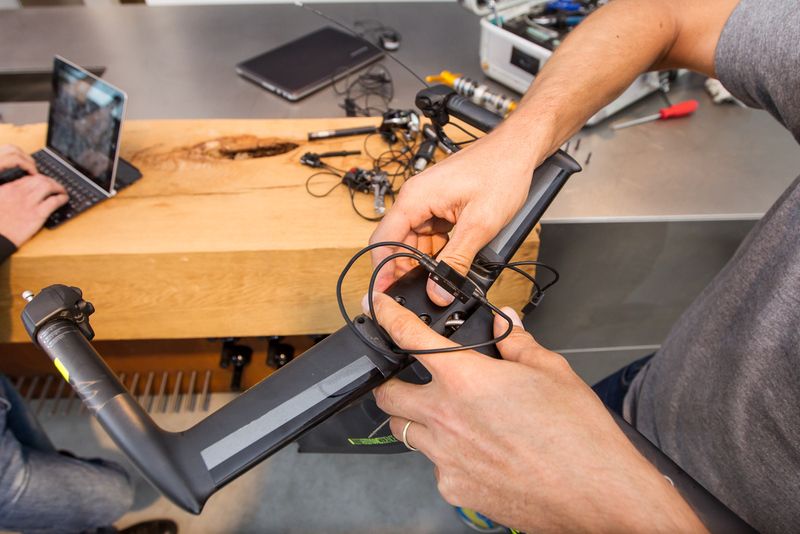 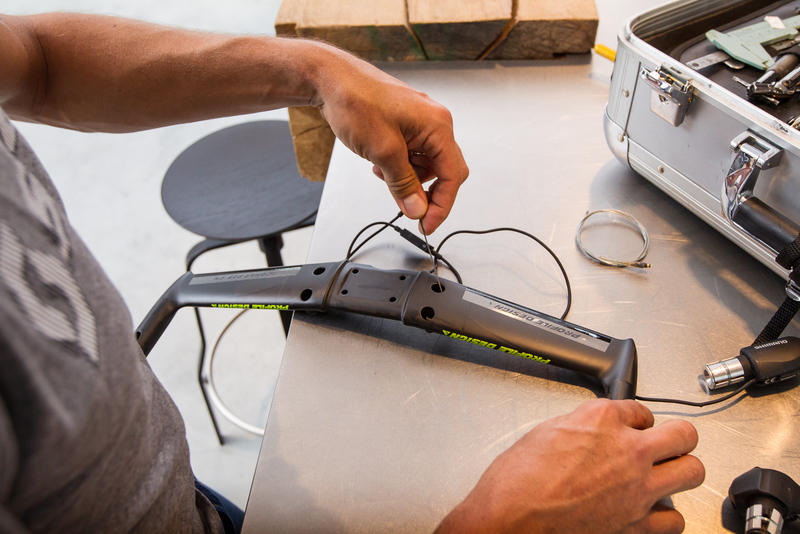 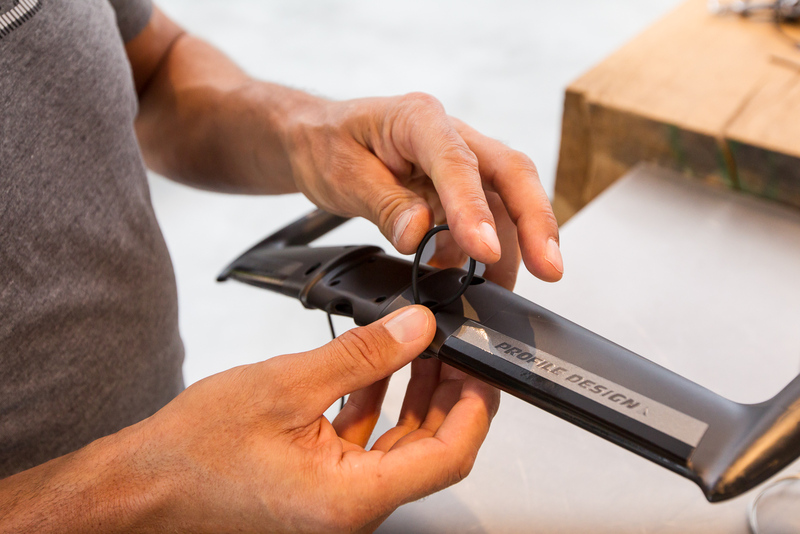 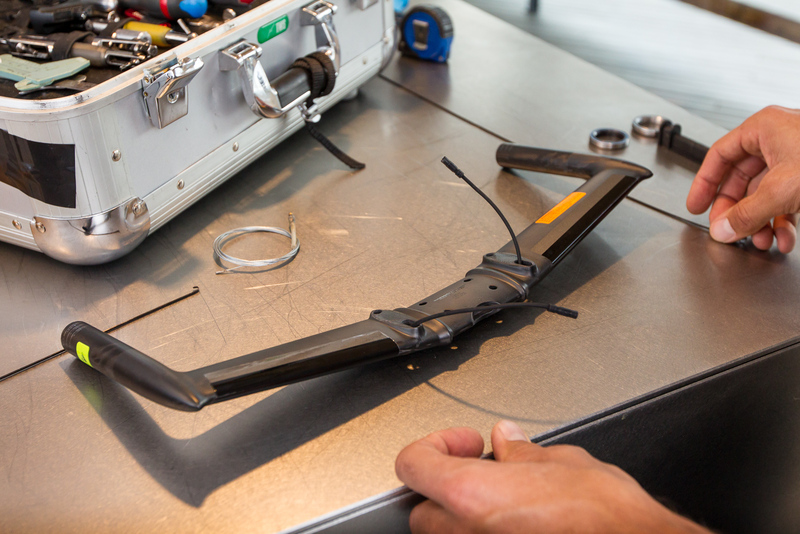 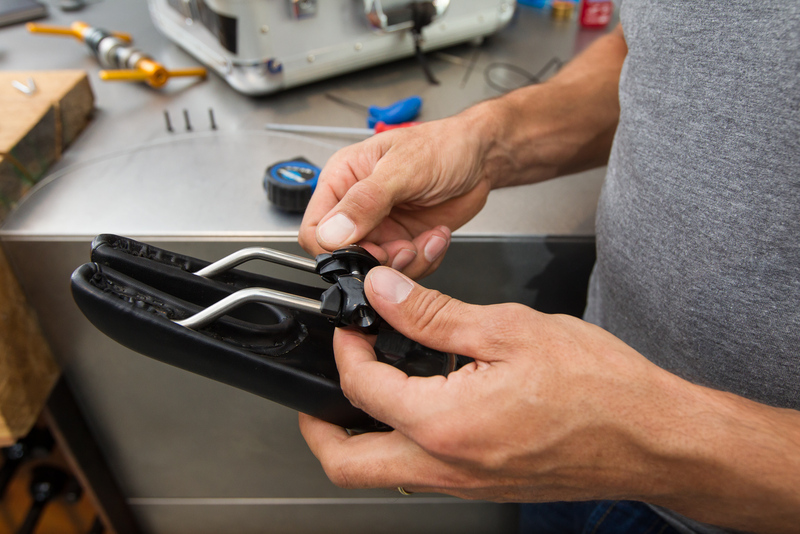 To facilitate the internal routing of the Di2 wires and brake cables, Lars always starts with the un-mounted aero base bar. 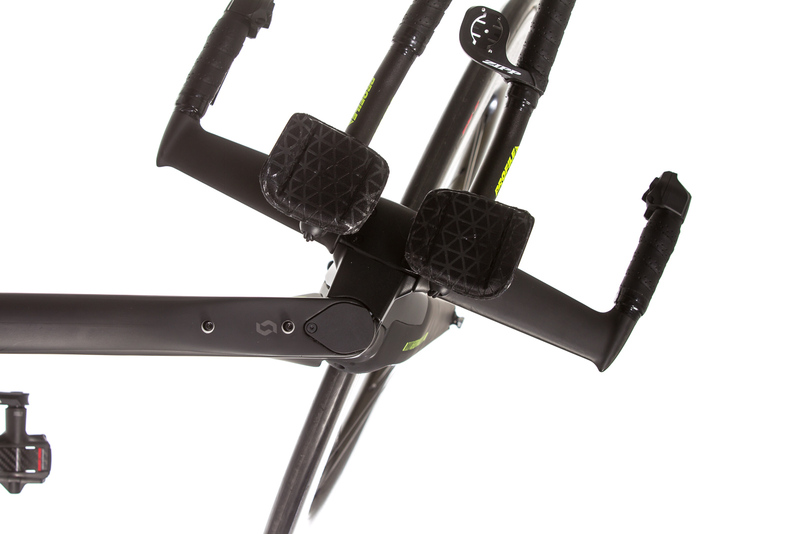 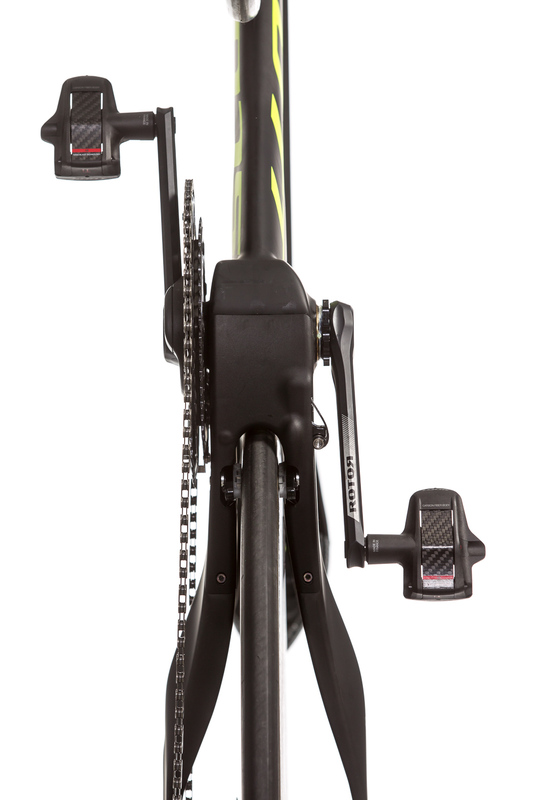 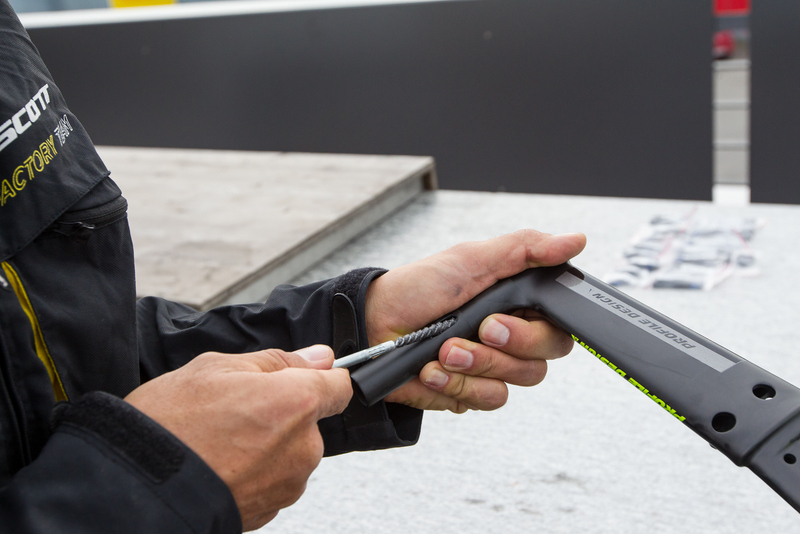 This allows you to make much faster progress than with a bar that has already been mounted to the stem. 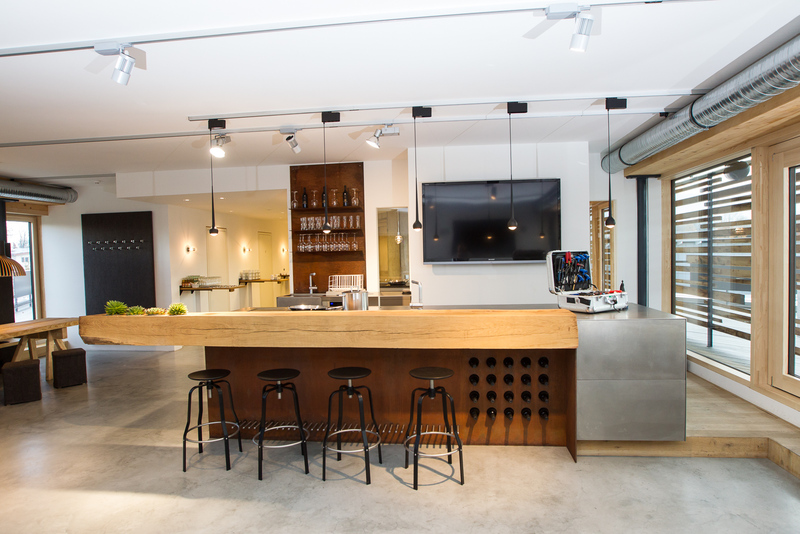 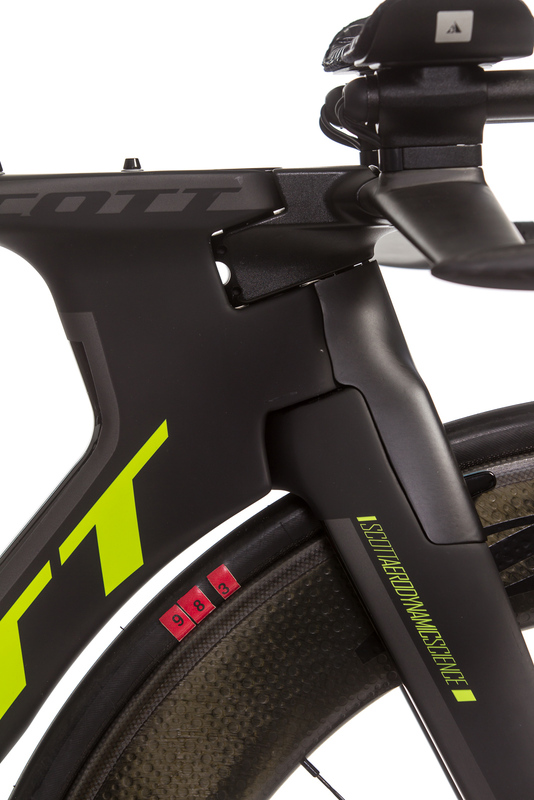 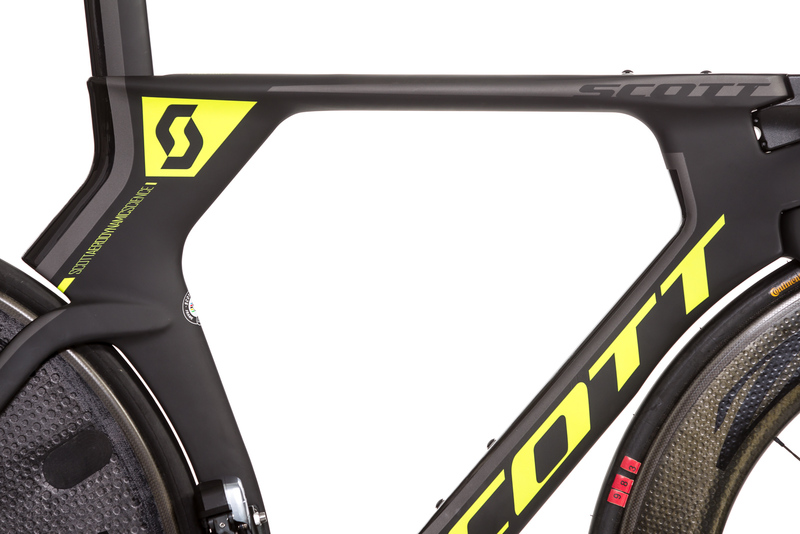 Scott offers three versions of the bar - a 420mm flat bar, a 420mm bar with 30mm of rise, and a 400mm bar with a 30mm drop. 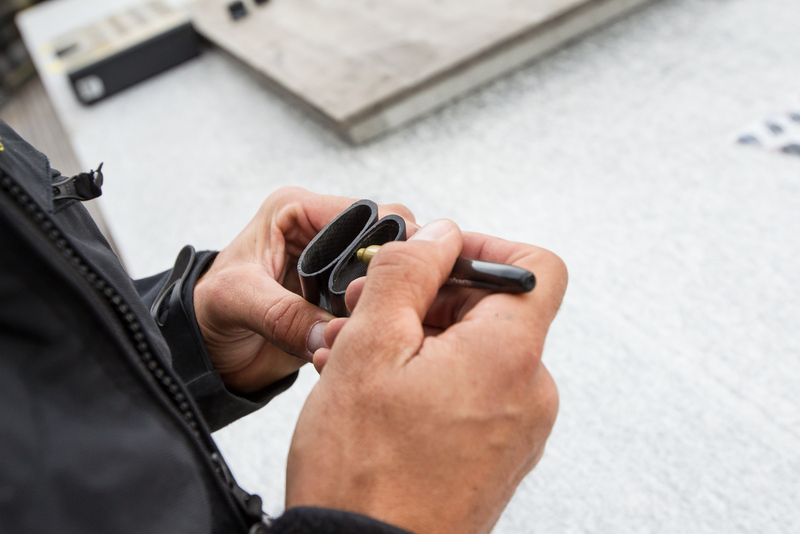 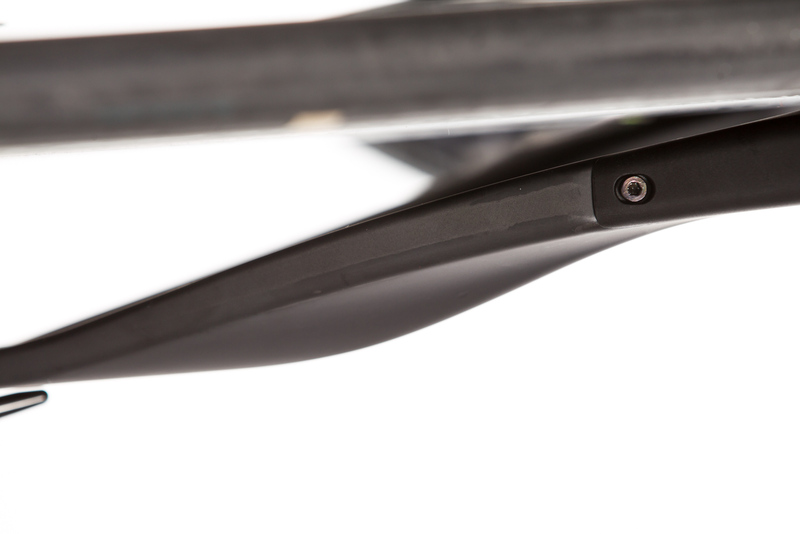 The spacers and extension brackets allow for a rise up to 75mm. 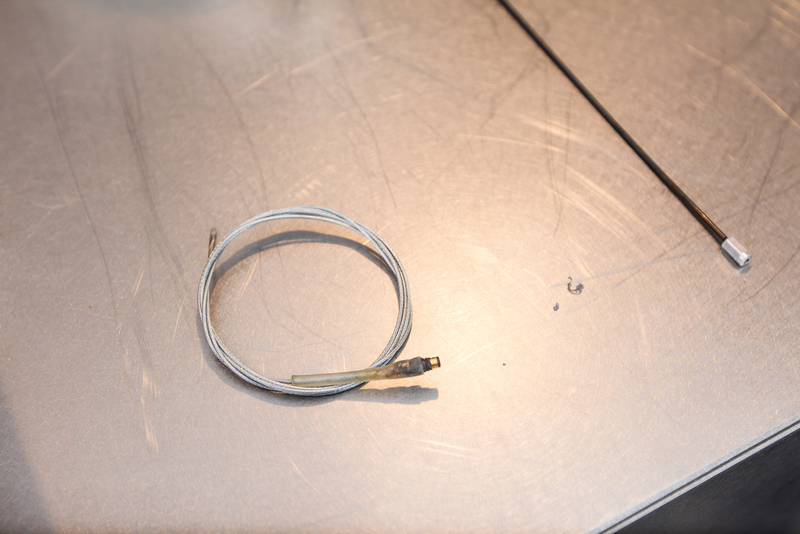 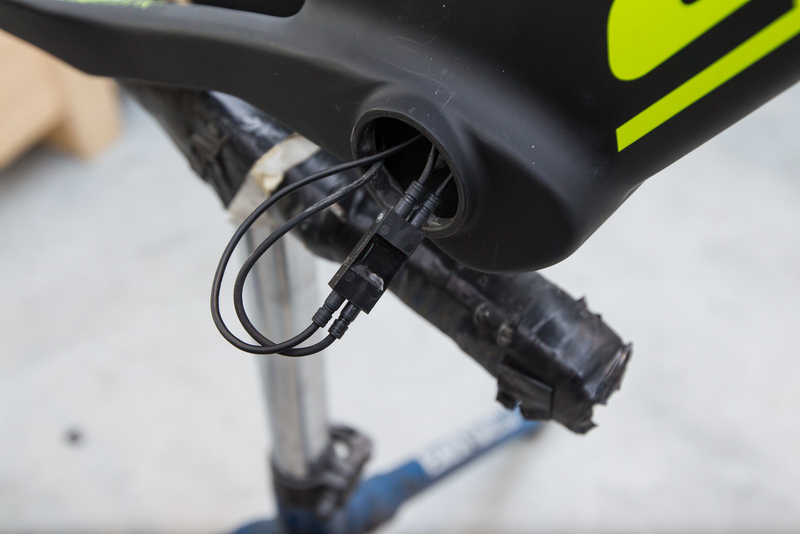 Brake cables and electronic wires are fully integrated. 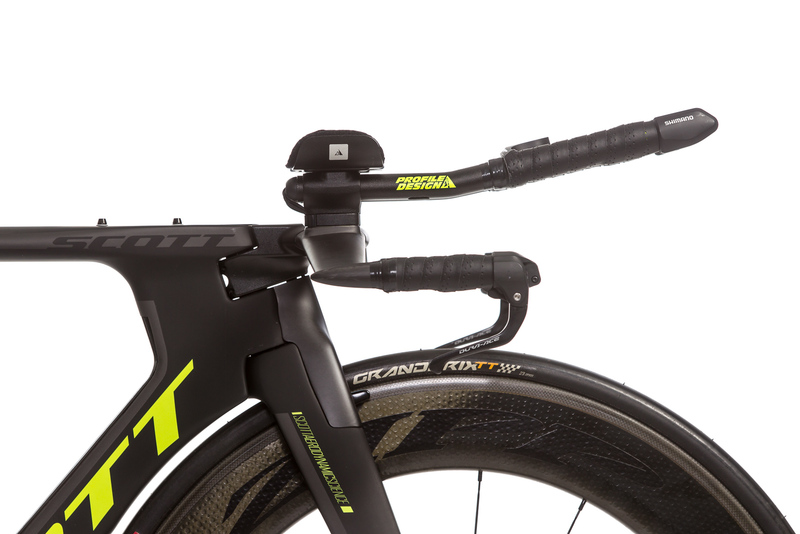 The Plasma 5 has two stem options – our choice was the TT version, which stays in line with the top tube and allows for a very low position. 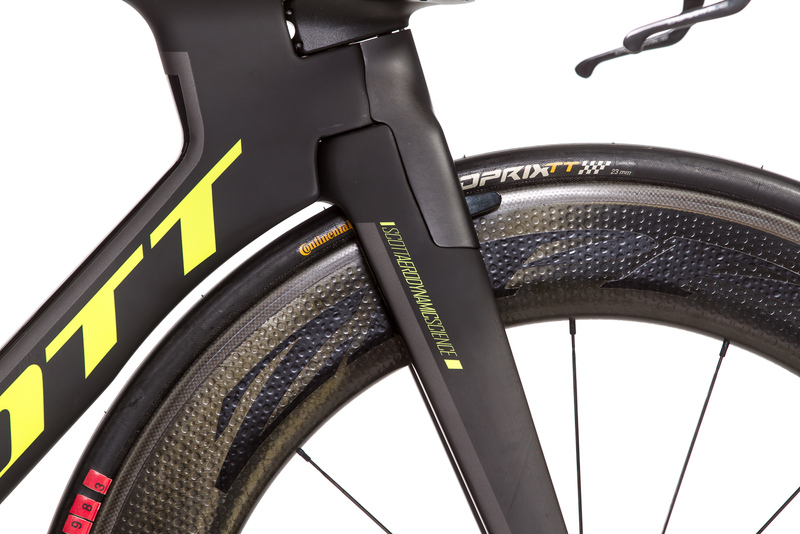 However, Profile Design's aero drink cannot be installed. 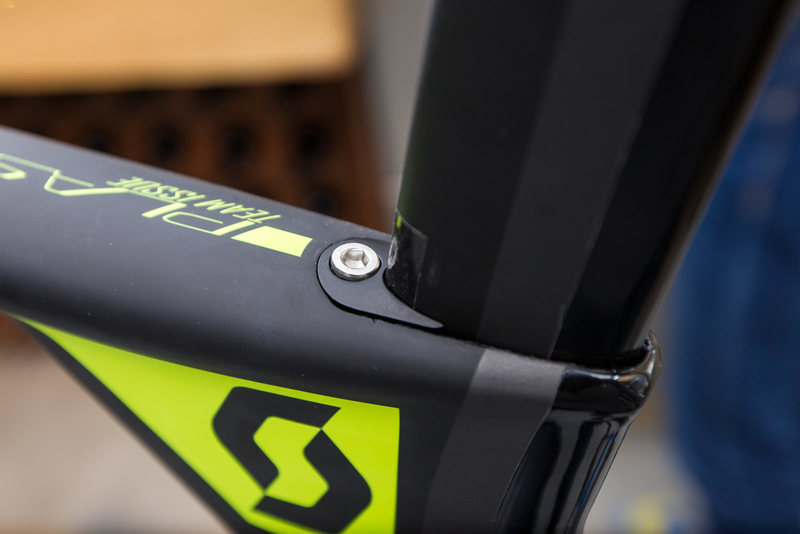 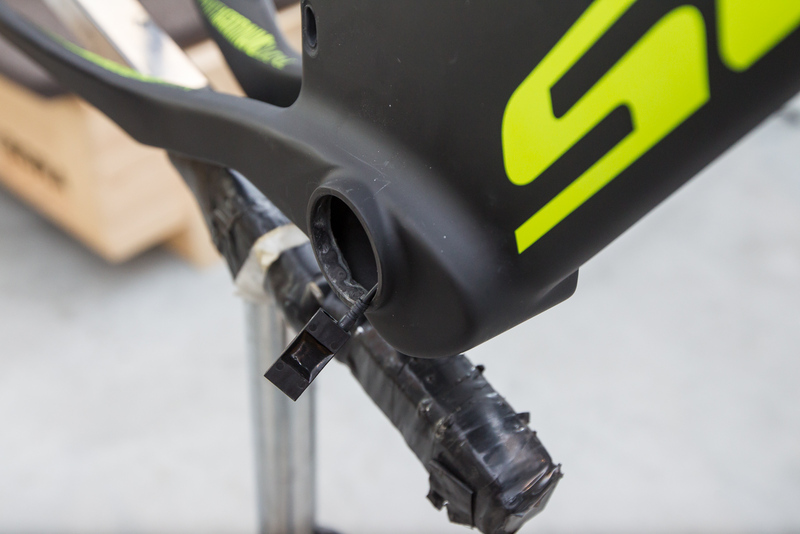 The upper part of the stem allows for internal cable routing. 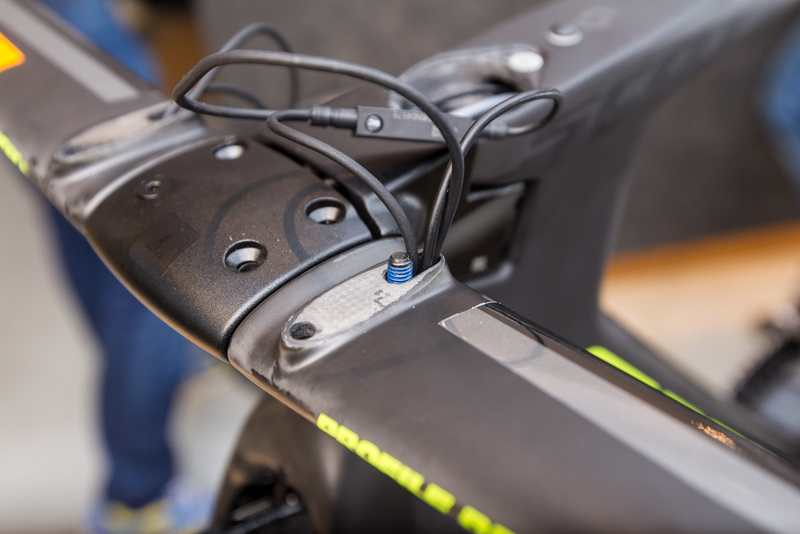 The rear brake cable housing and one electric wire are led through the stem into the frame's downtube. 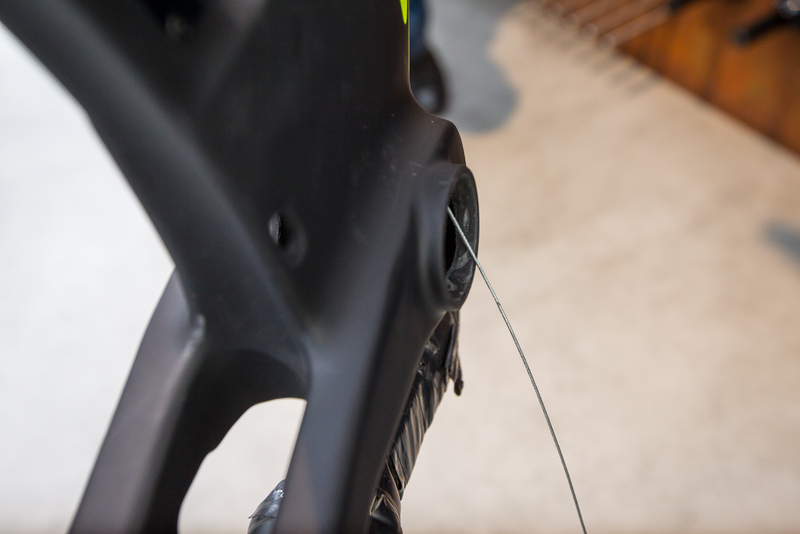 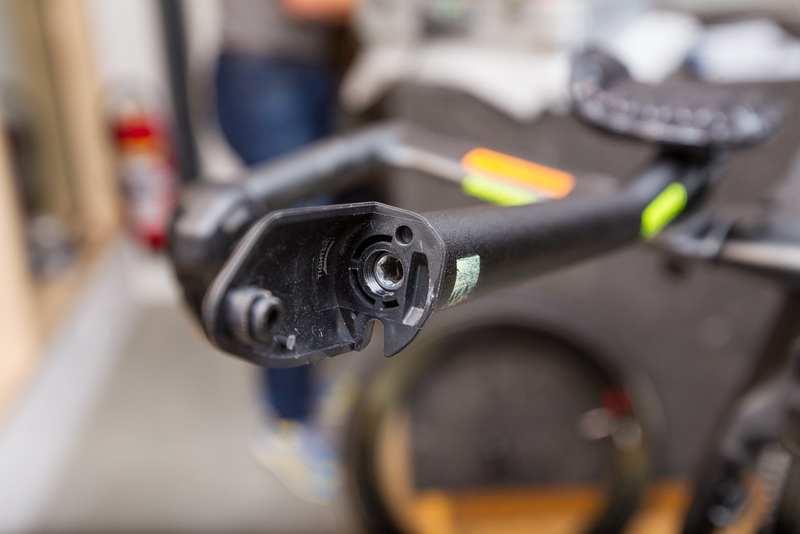 The front brake cable goes in through the stem and from there directly into the housing stop of the front brake. 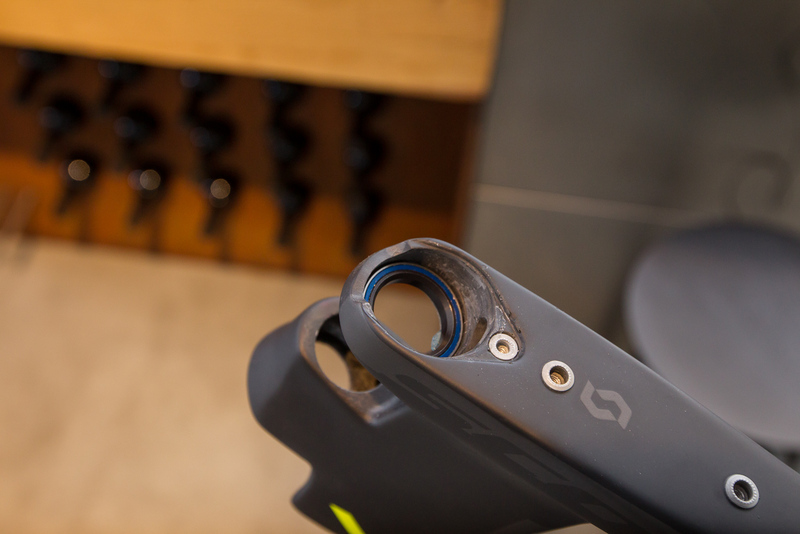 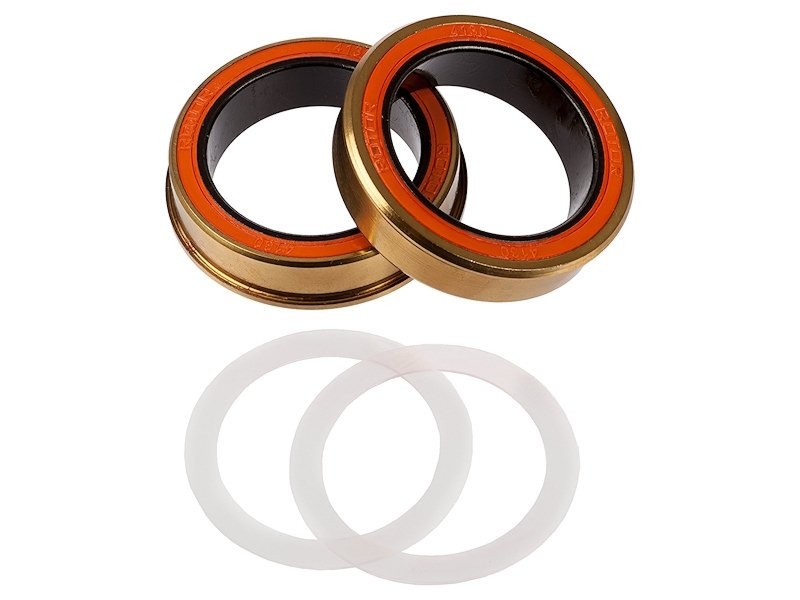 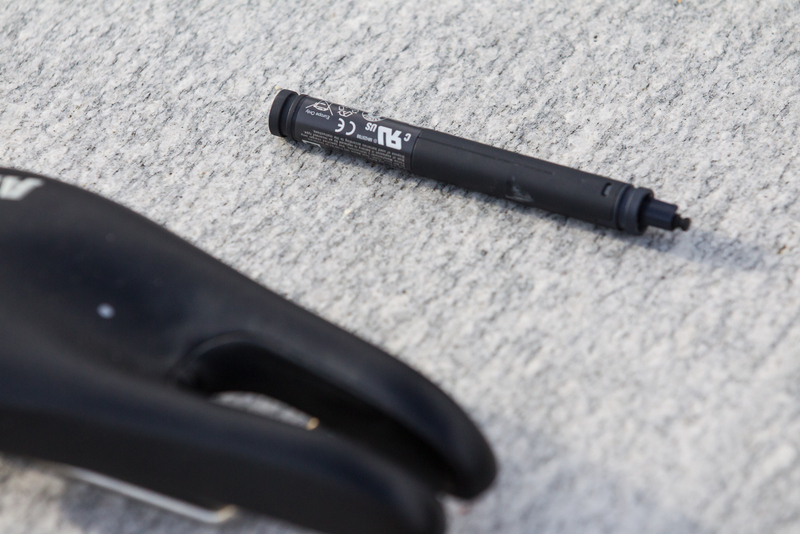 Thanks to the standard inner steer tube construction with maximized distance between the upper and lower bearing (they are positioned at both ends of the headtube), the stem and frame are directly linked, which substantially increases the head tube's torsional stiffness. 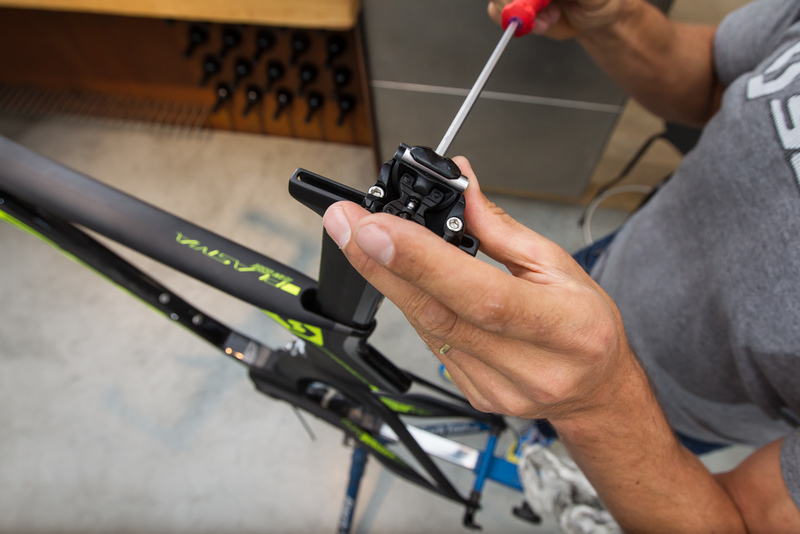 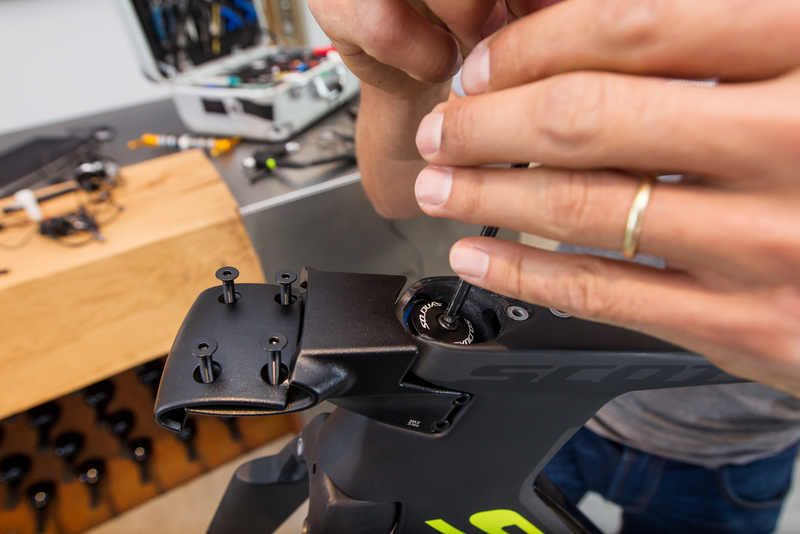 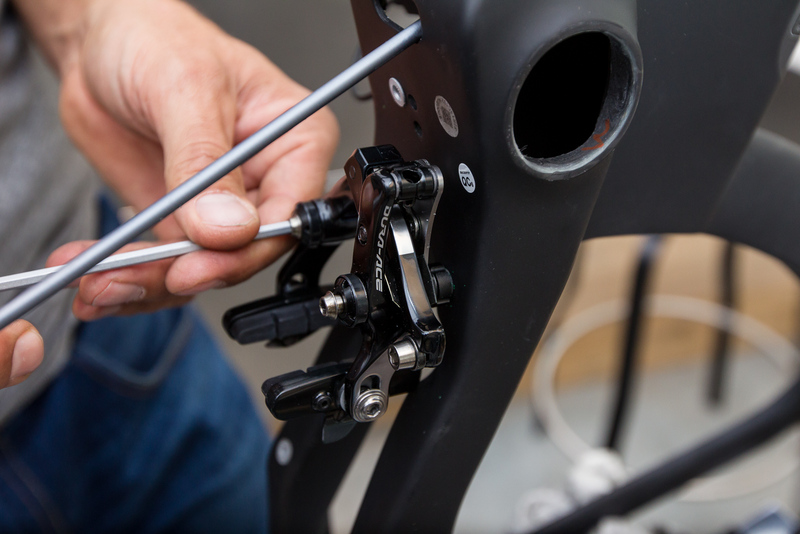 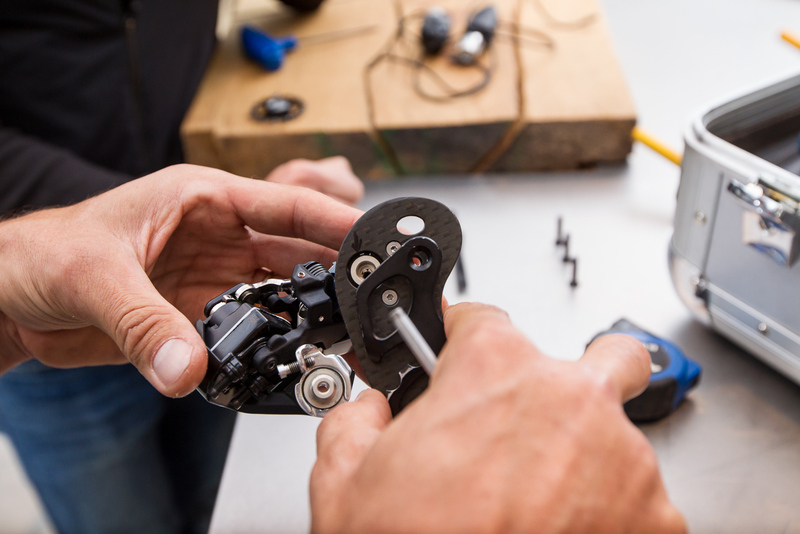 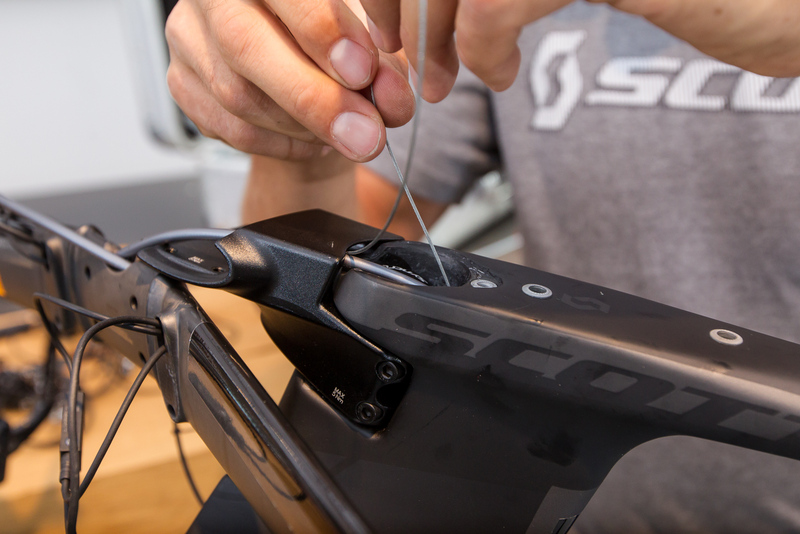 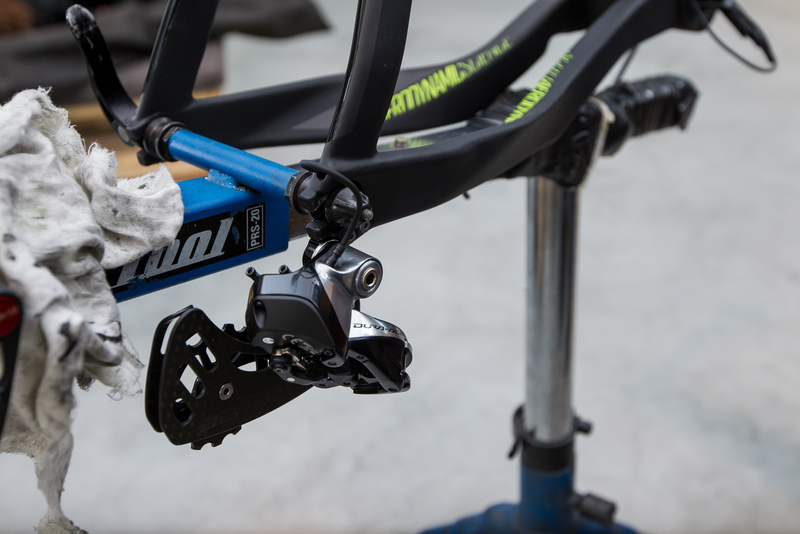 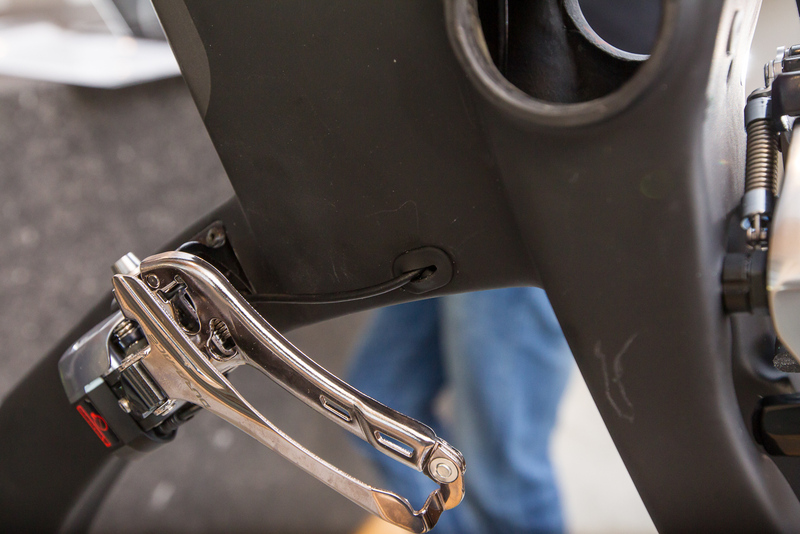 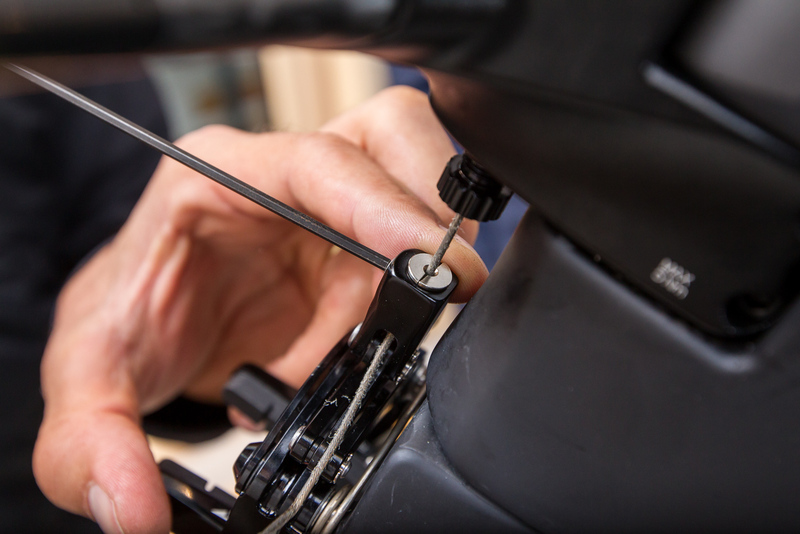 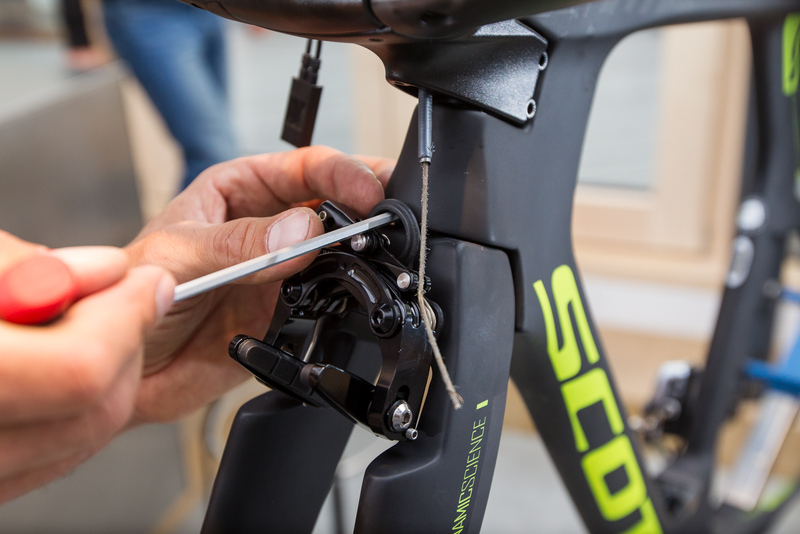 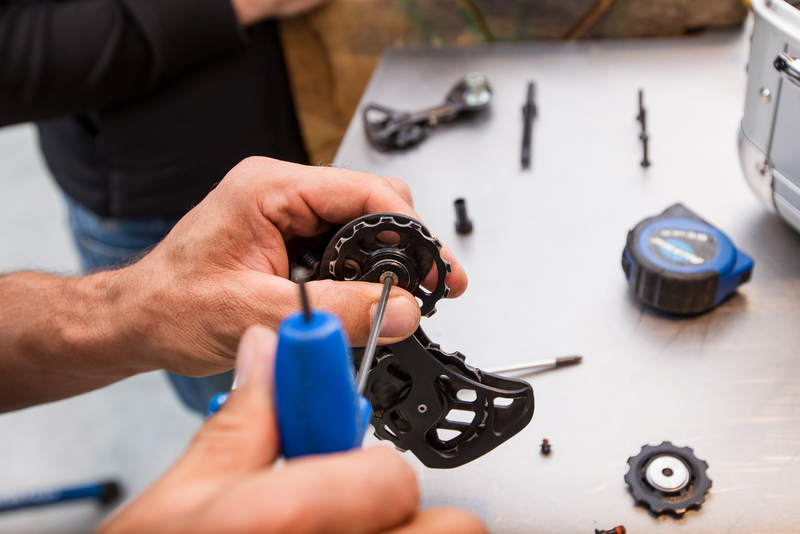 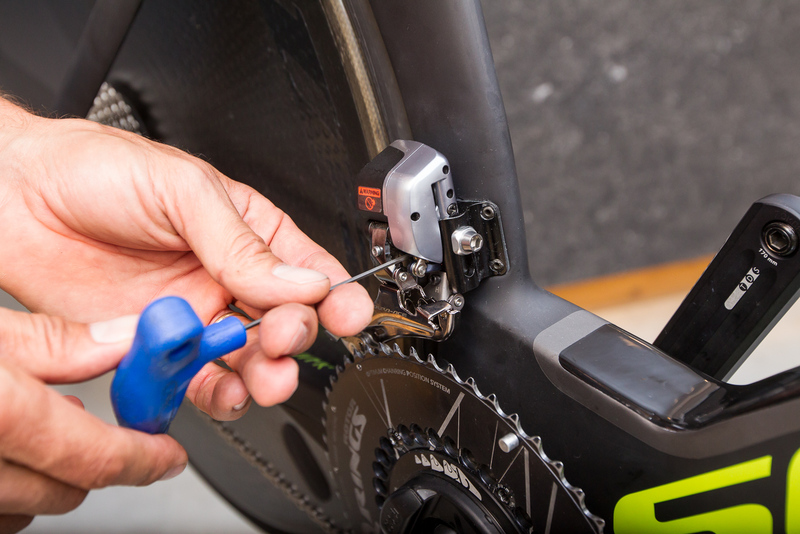 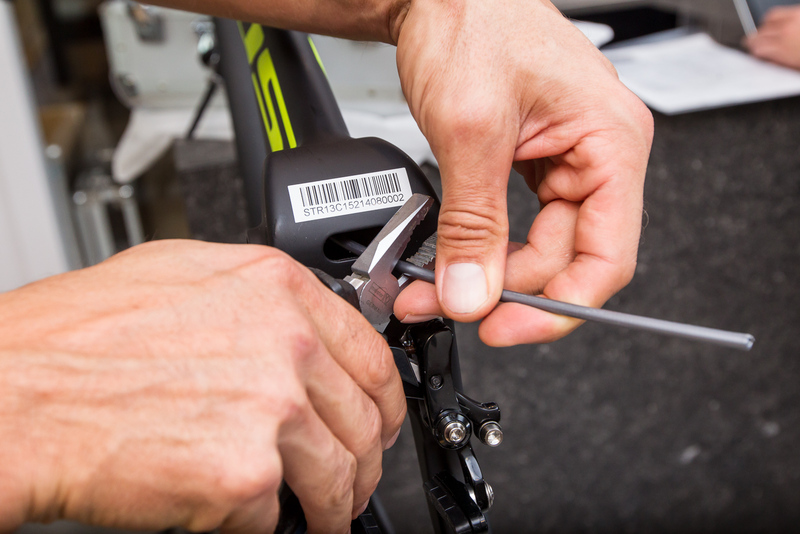 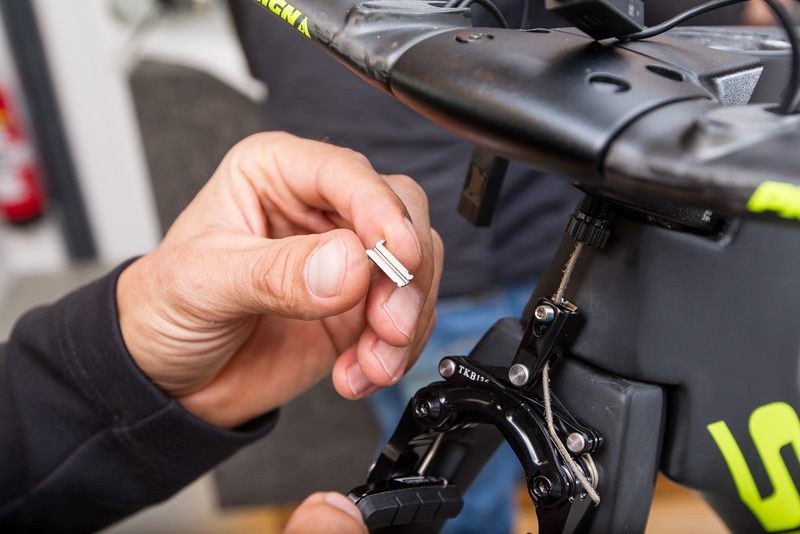 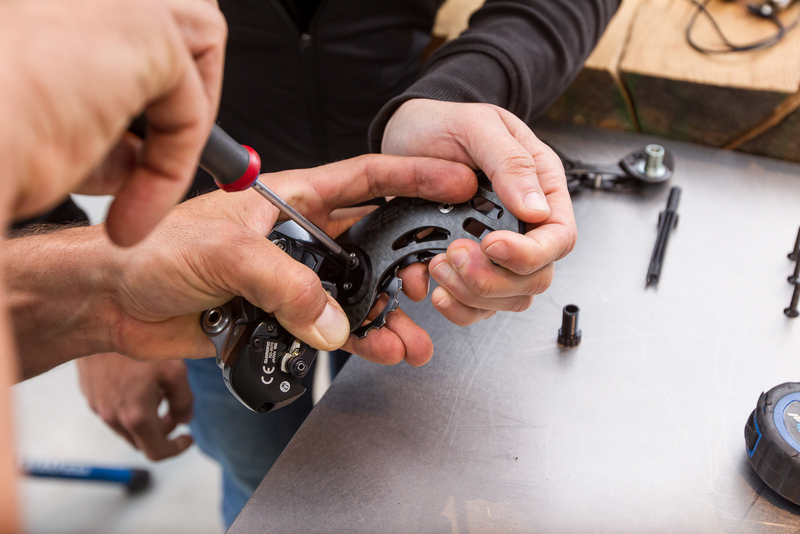 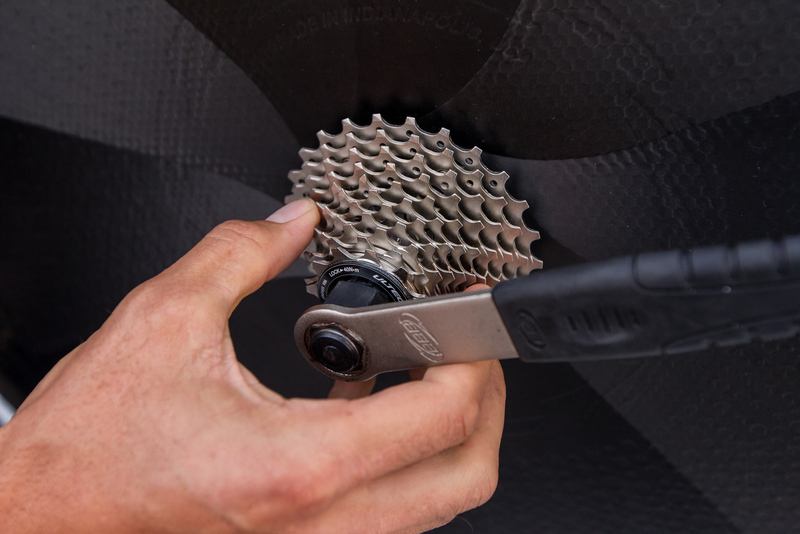 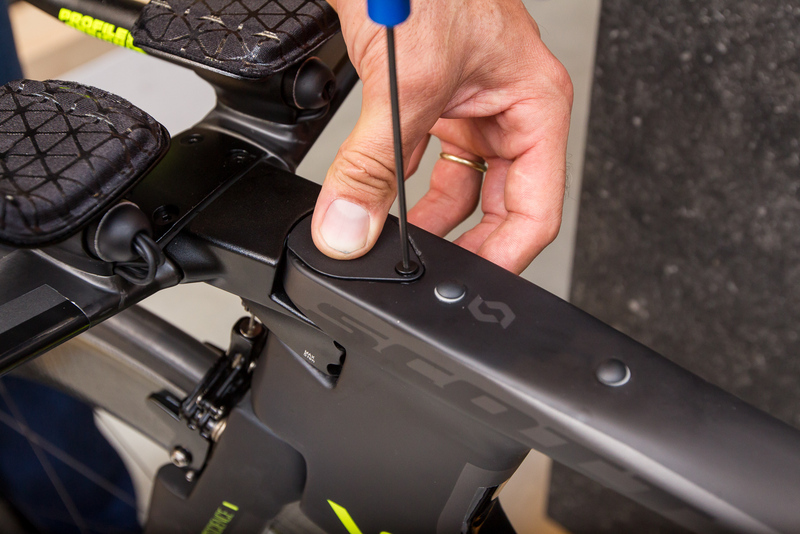 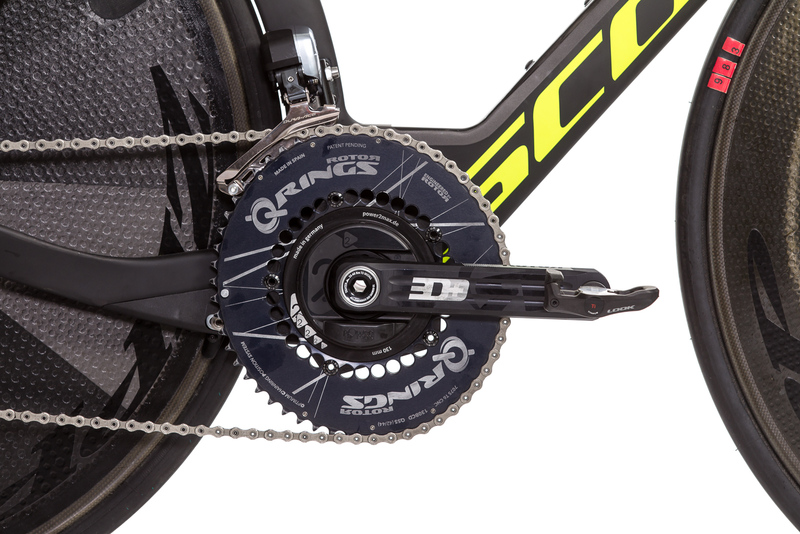 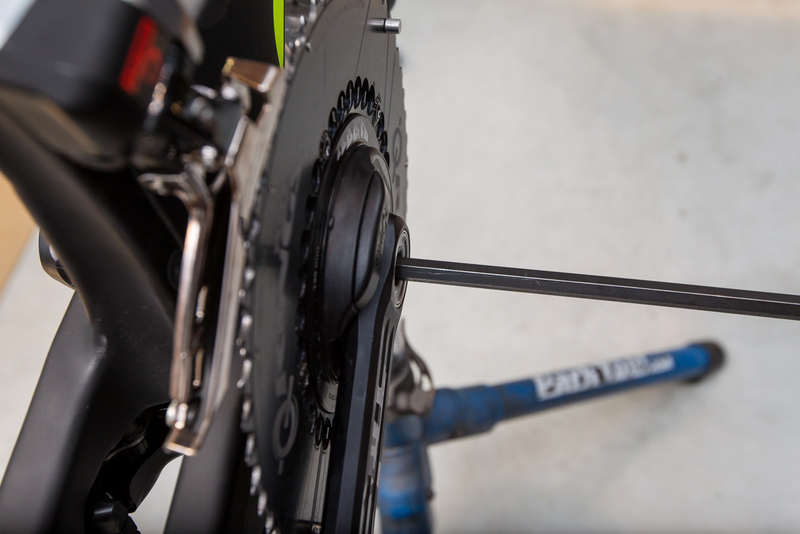 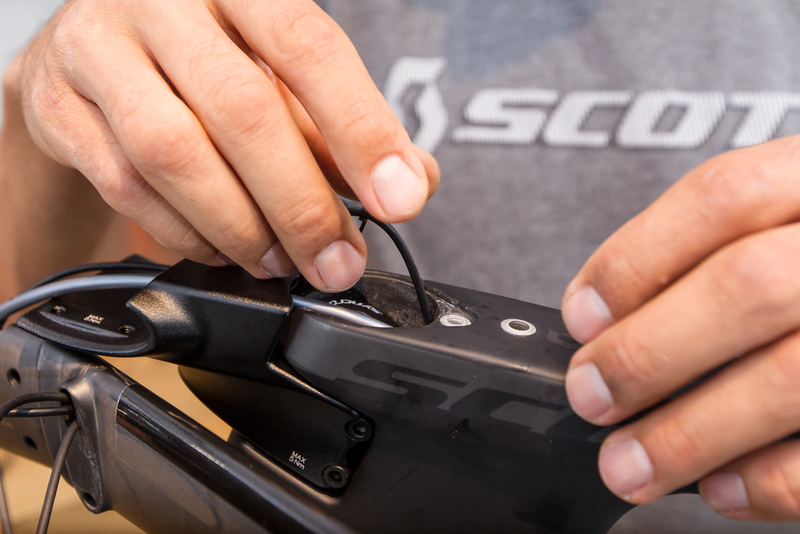 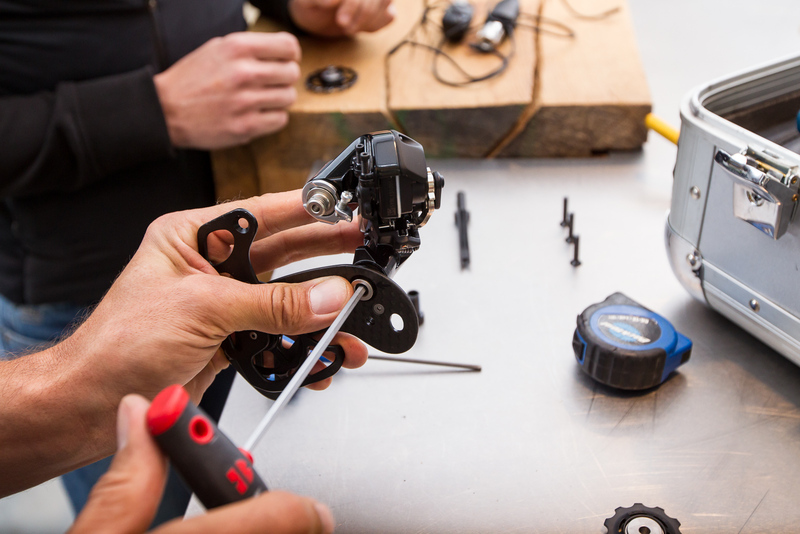 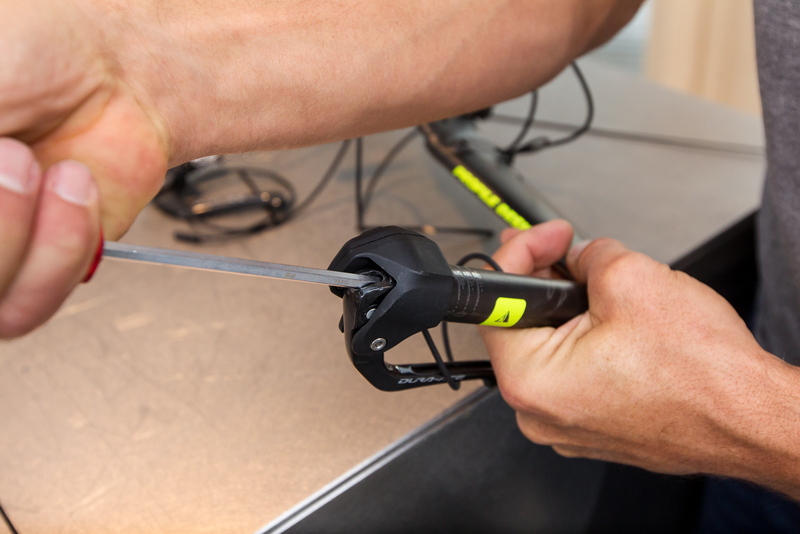 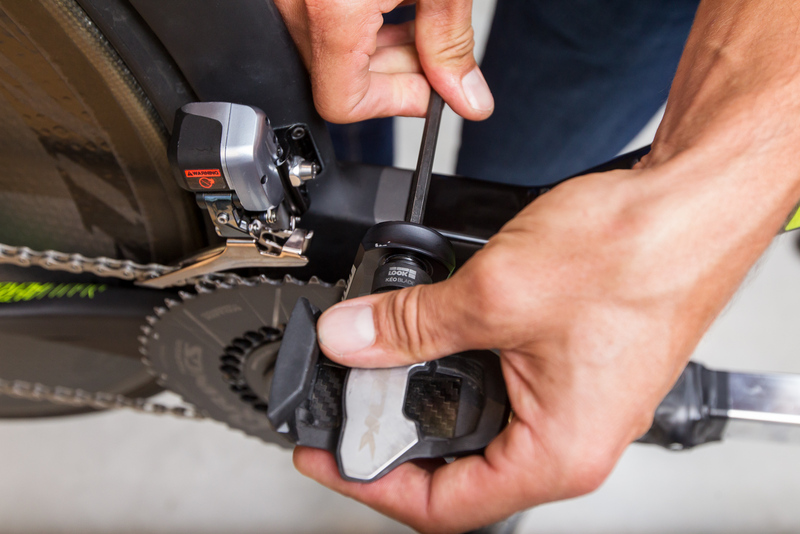 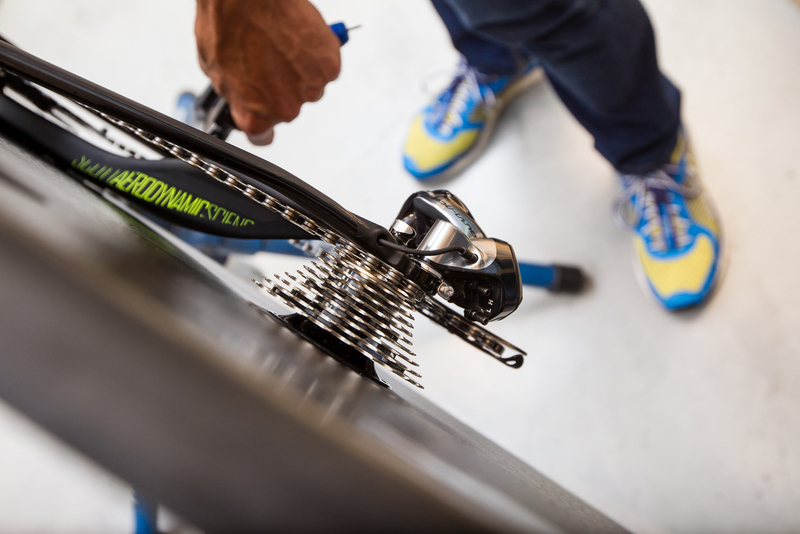 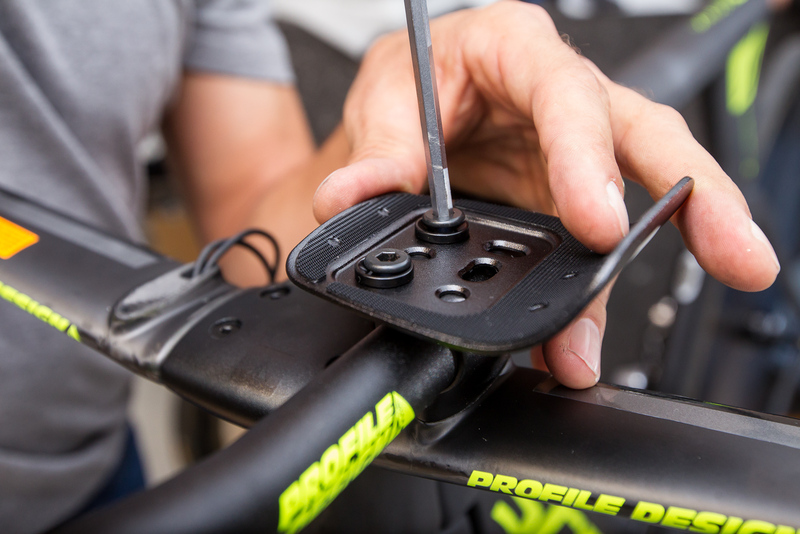 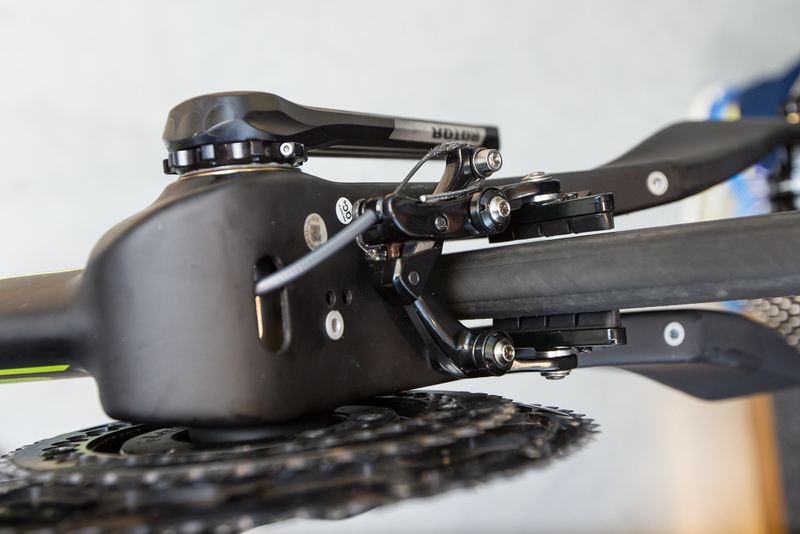 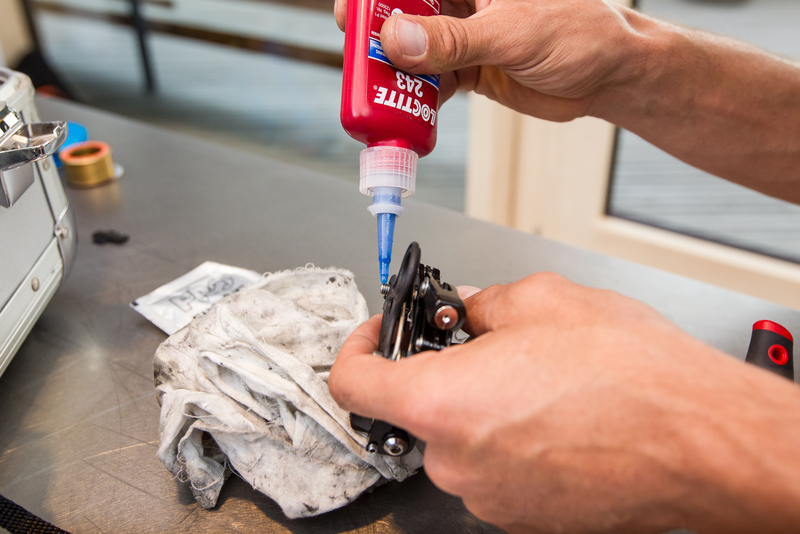 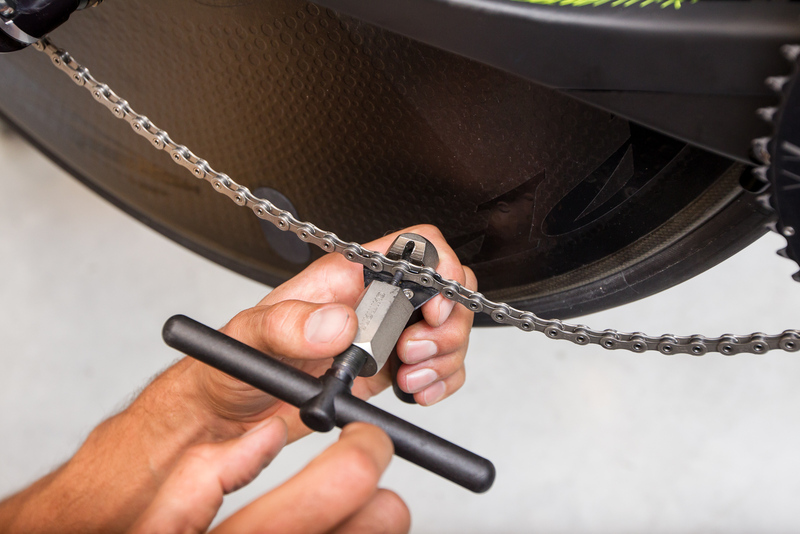 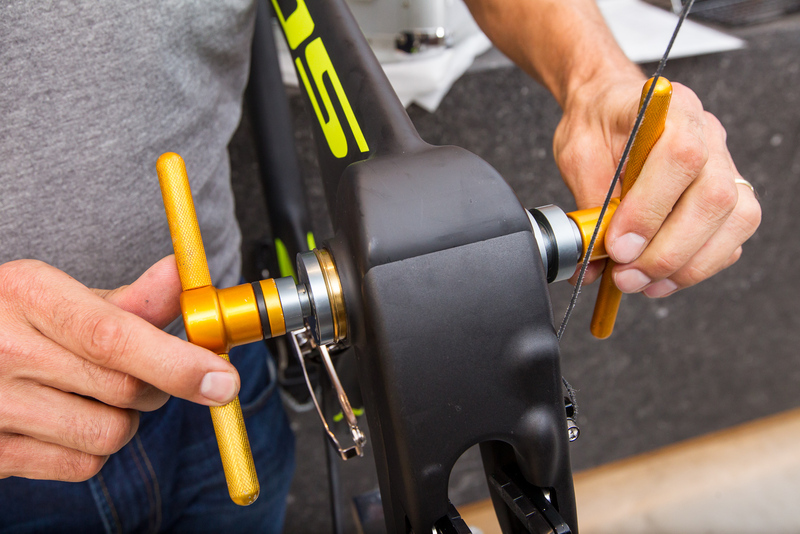 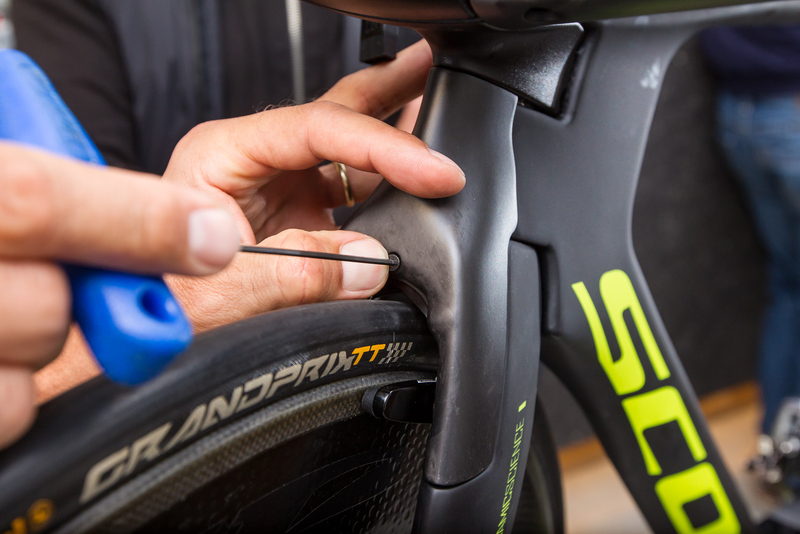 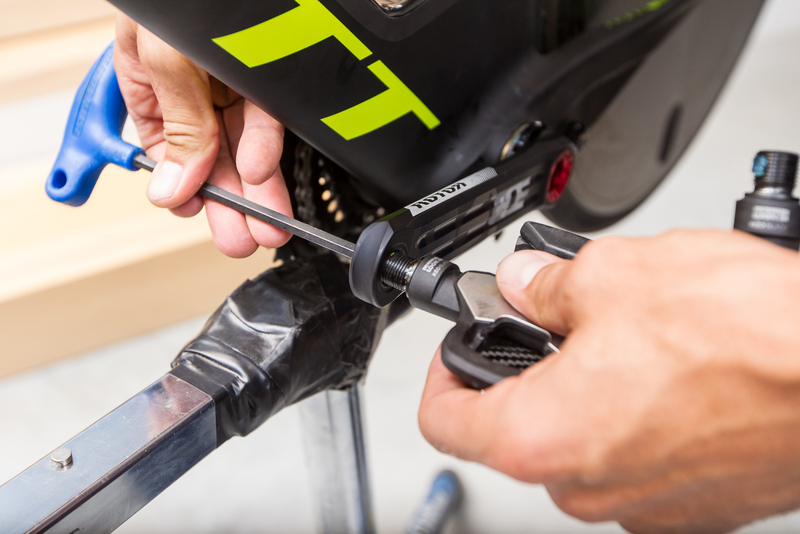 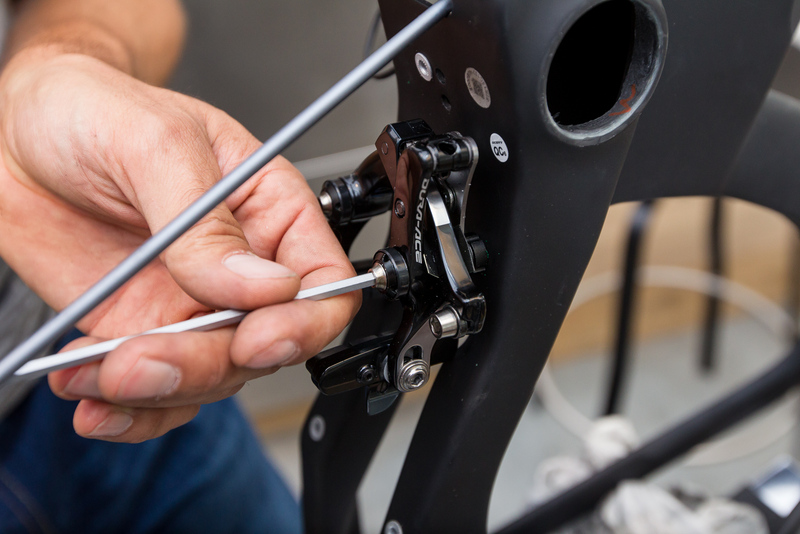 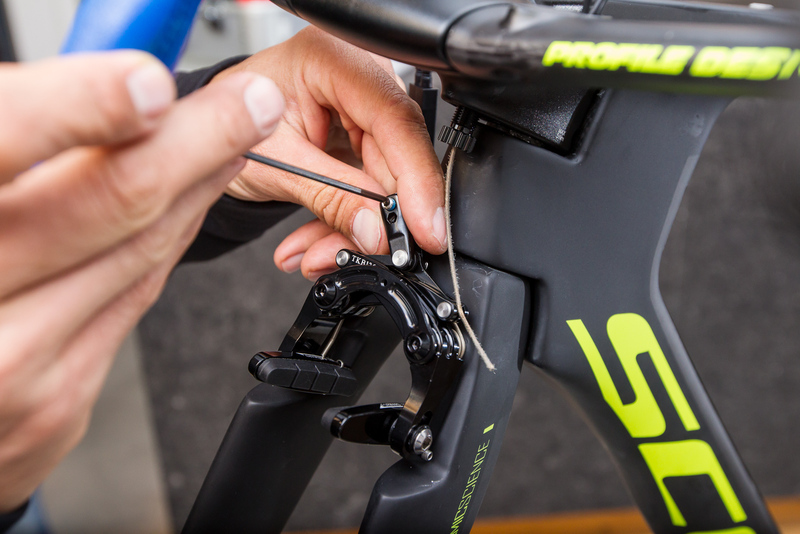 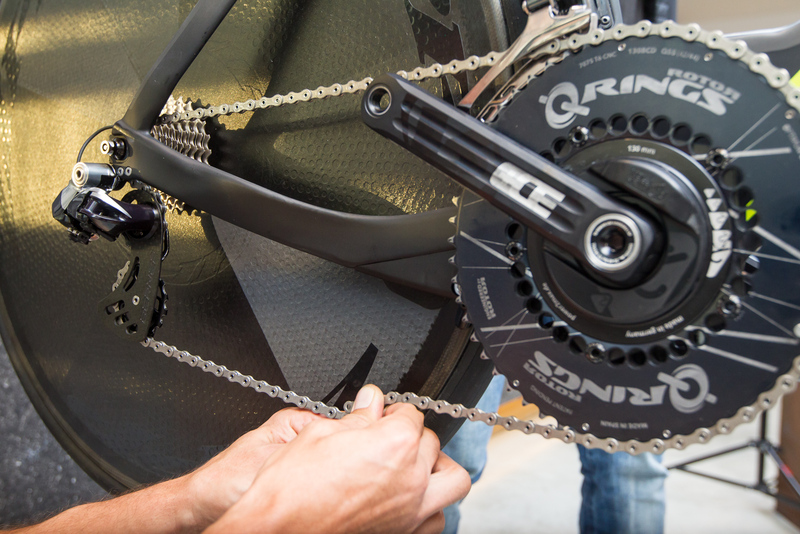 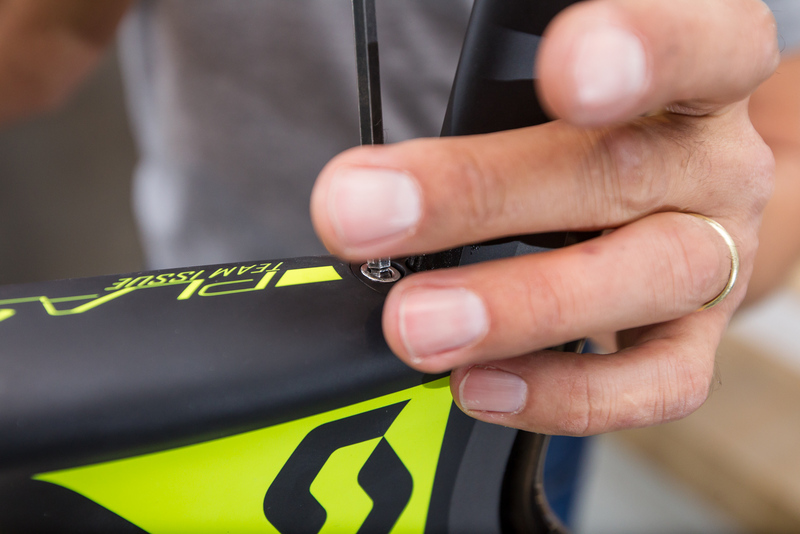 Work-to-rule: Installation and adjustments of both derailleurs are made in accordance with Shimano's instructions. 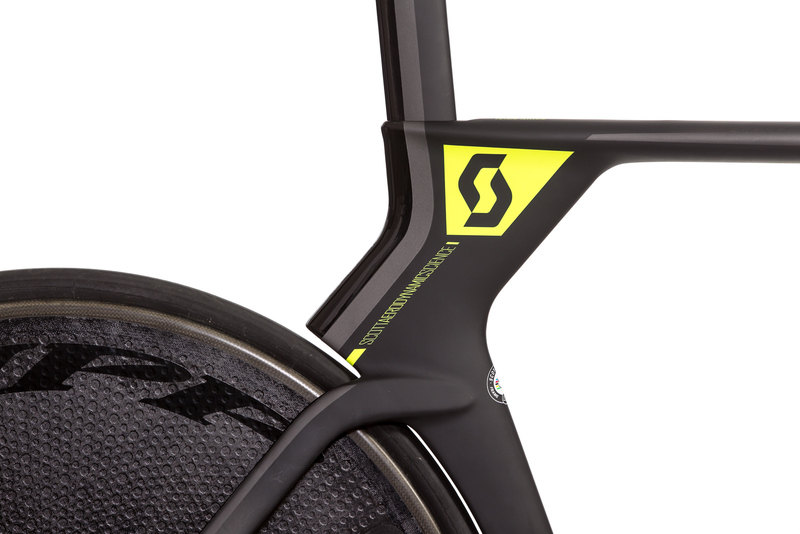 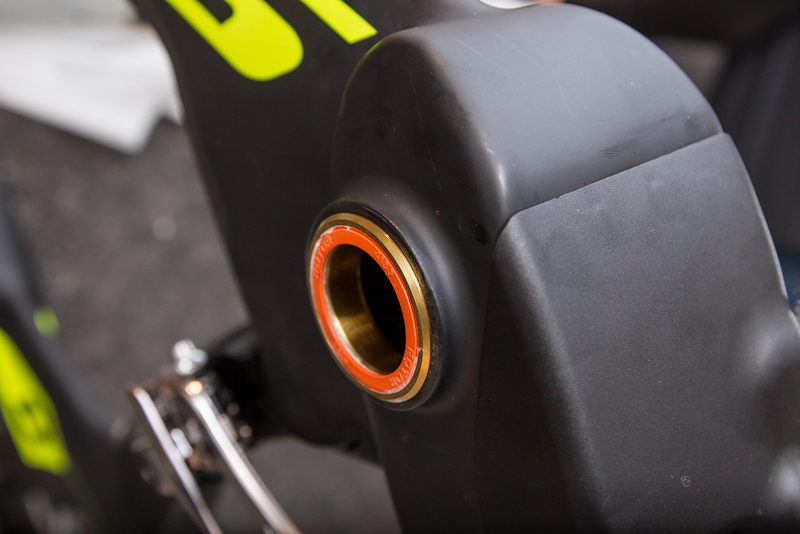 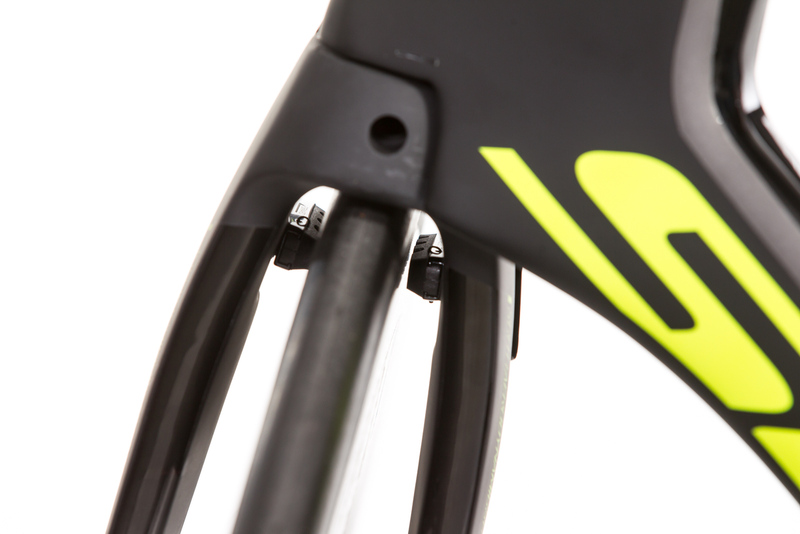 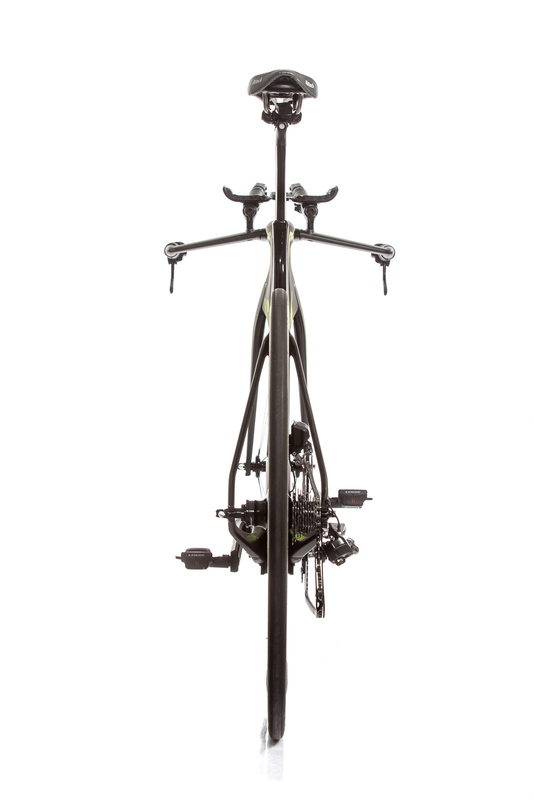 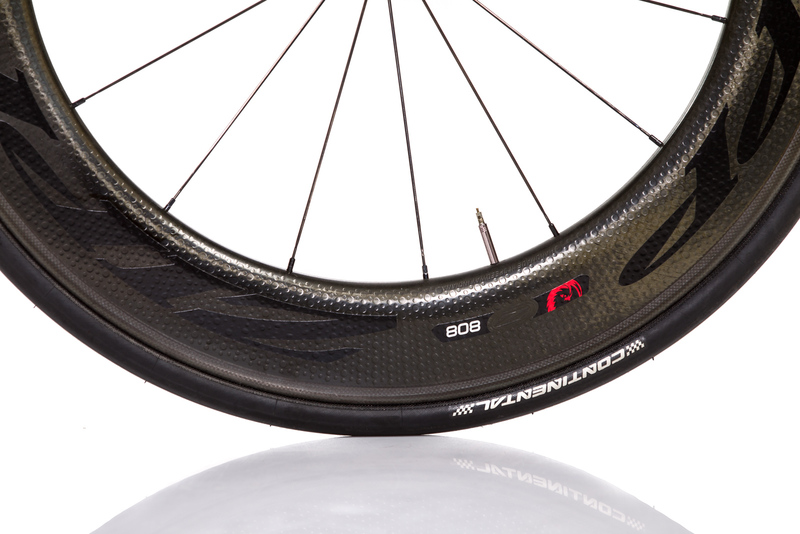 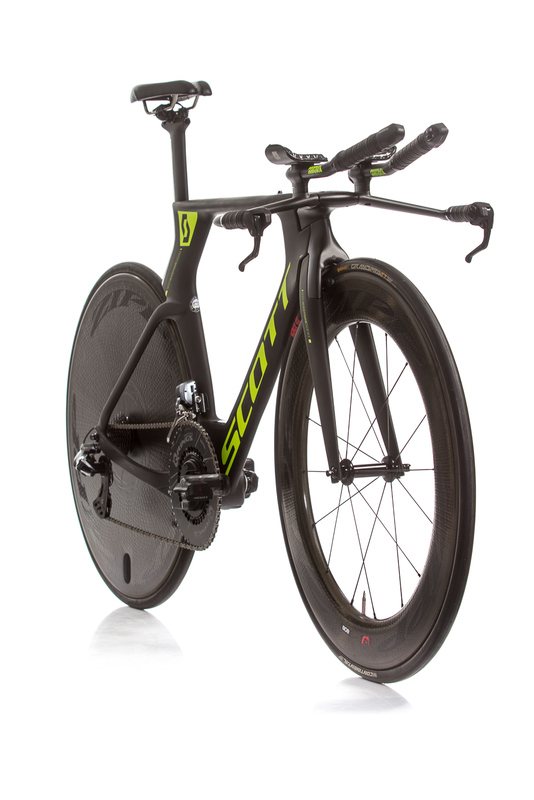 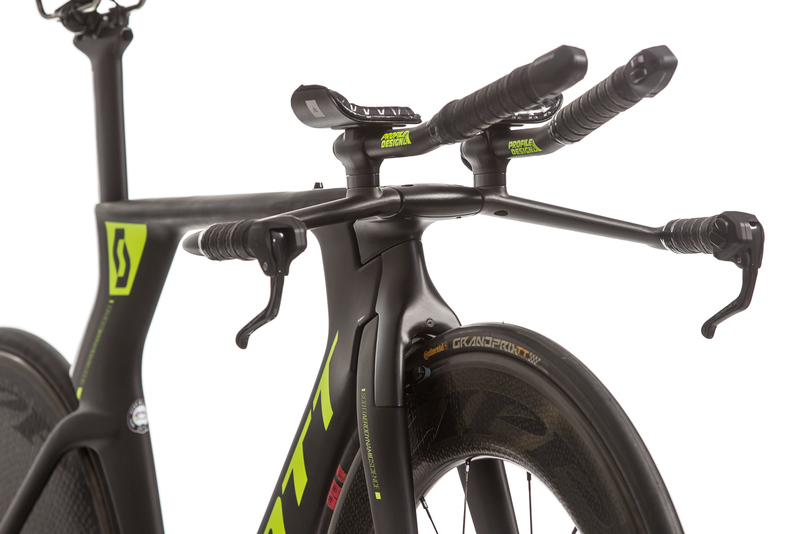 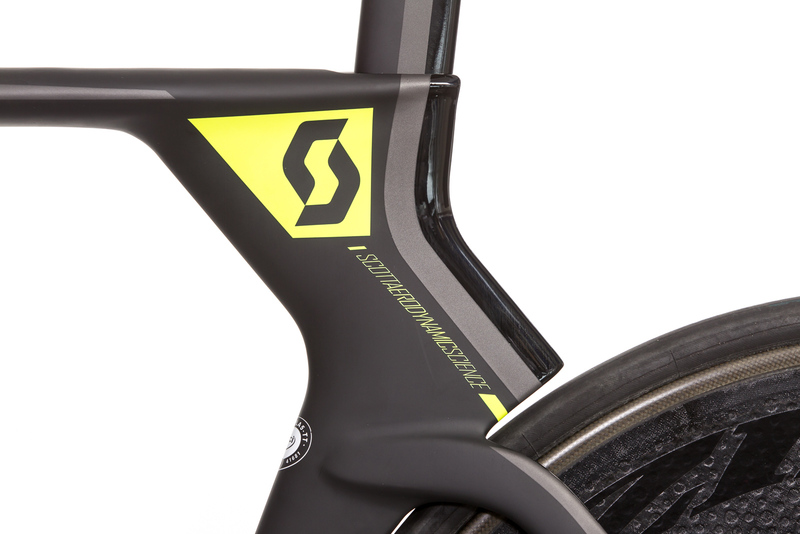 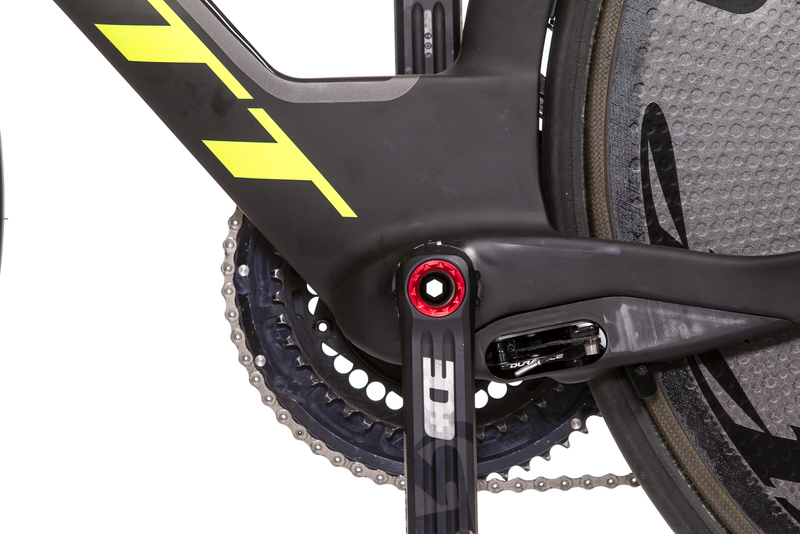 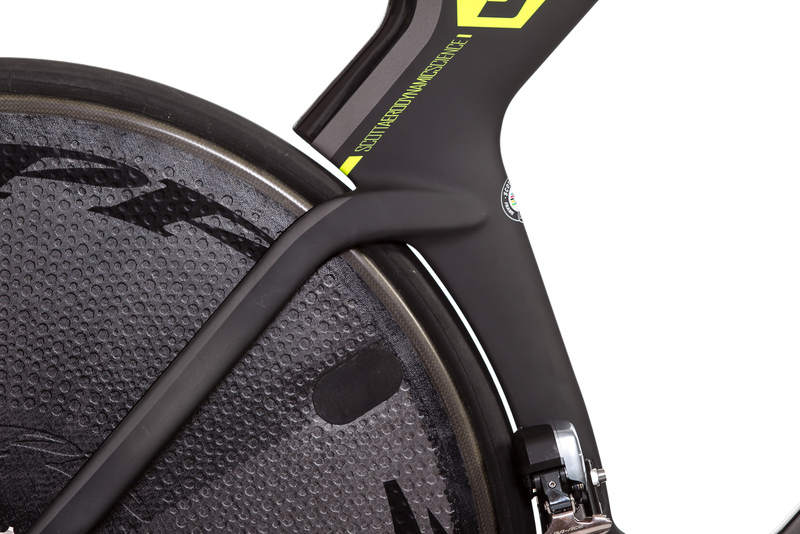 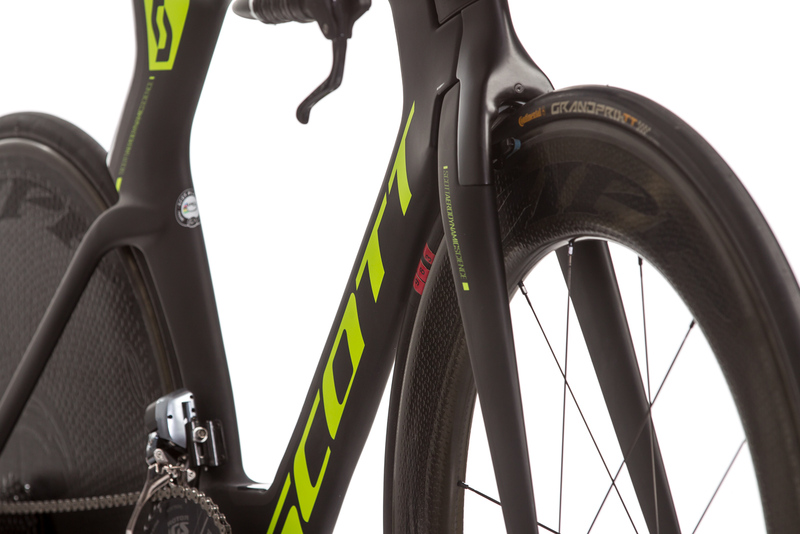 Compared to the Plasma 3, the Plasma 5's seat post is not in line with the seat tube but rather at an angle. 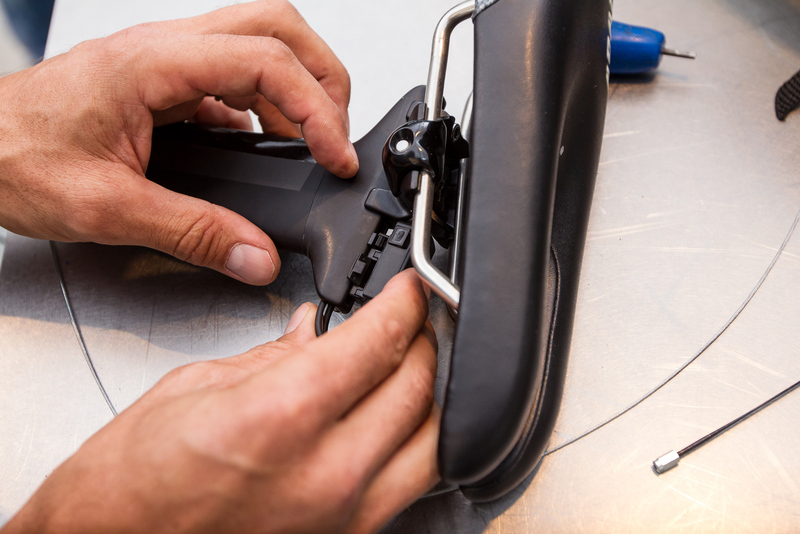 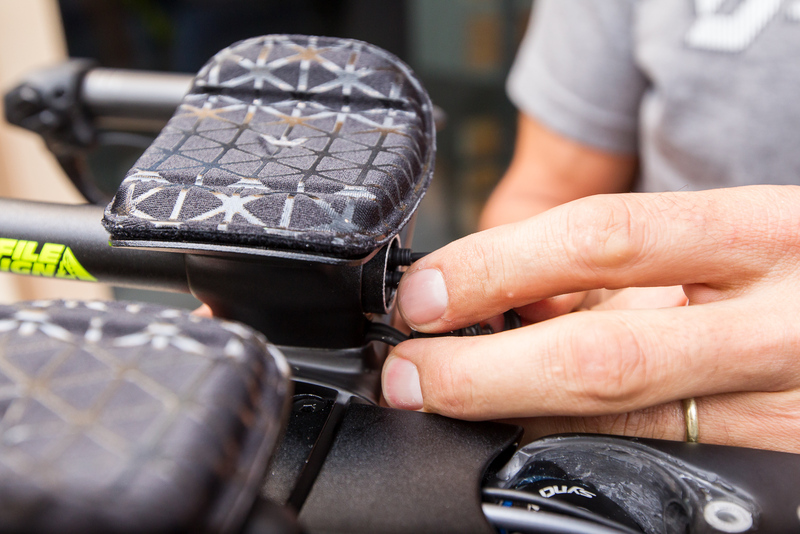 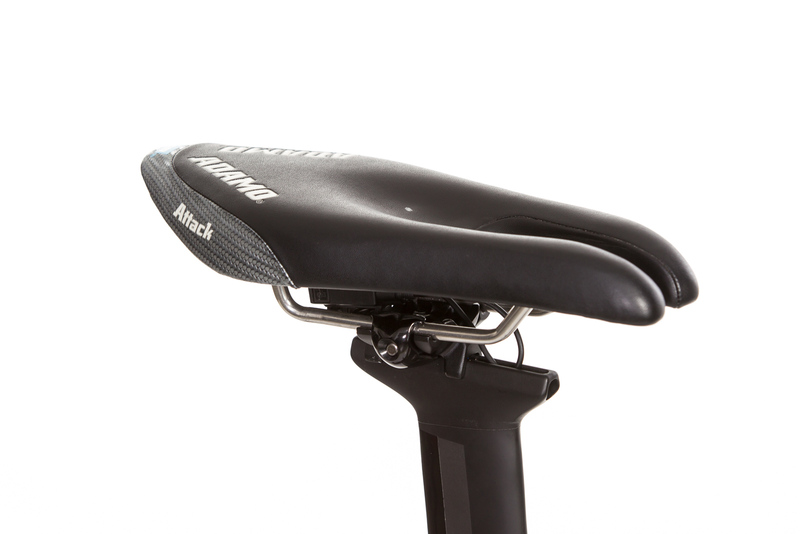 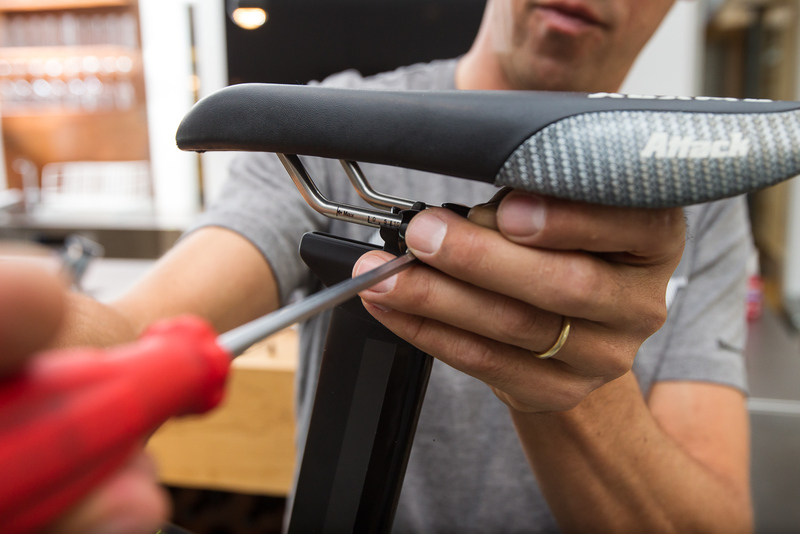 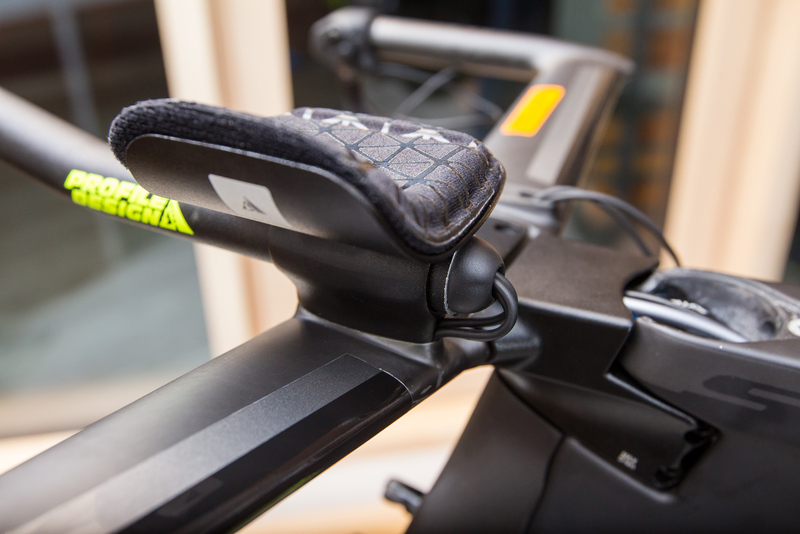 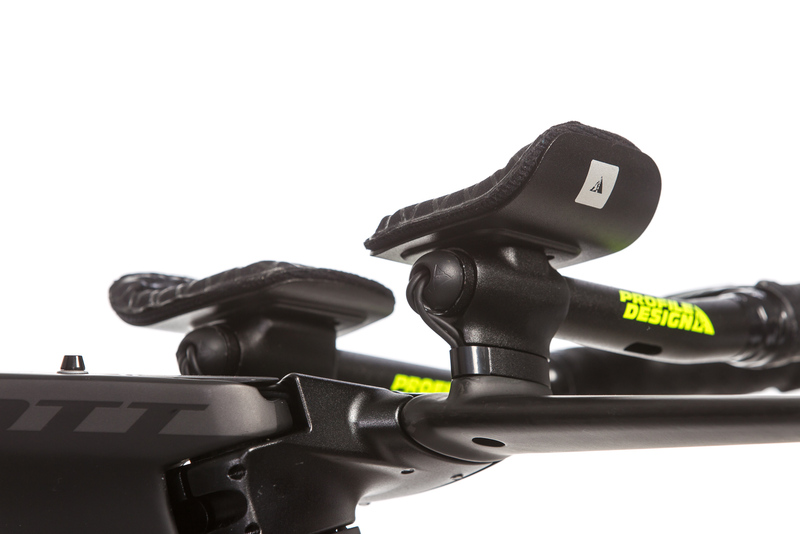 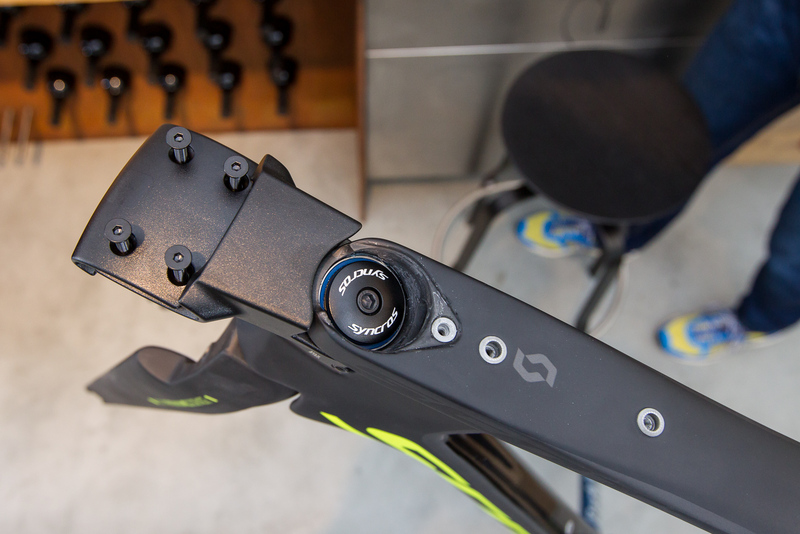 The resulting saddle clamp adjustment range remains almost identical regardless of the saddle's height. 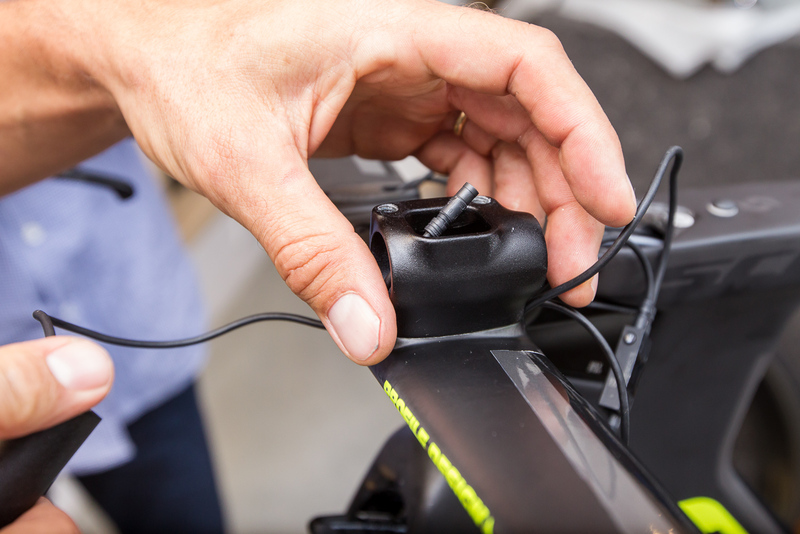 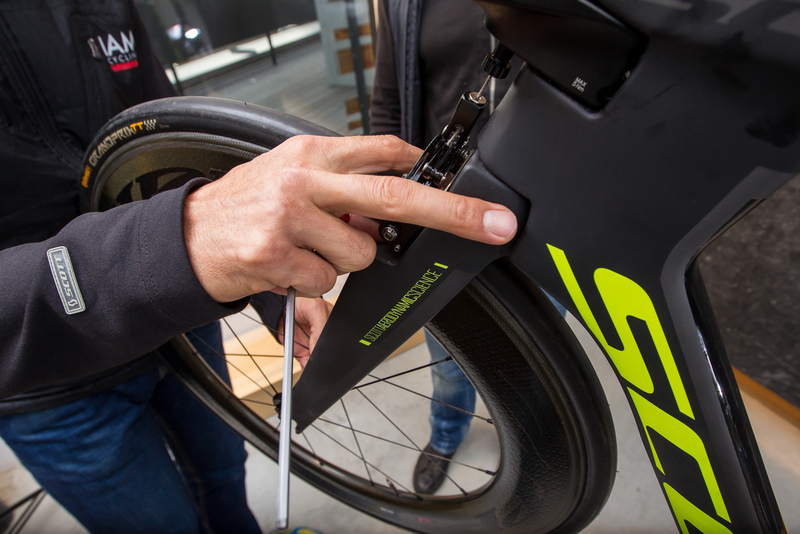 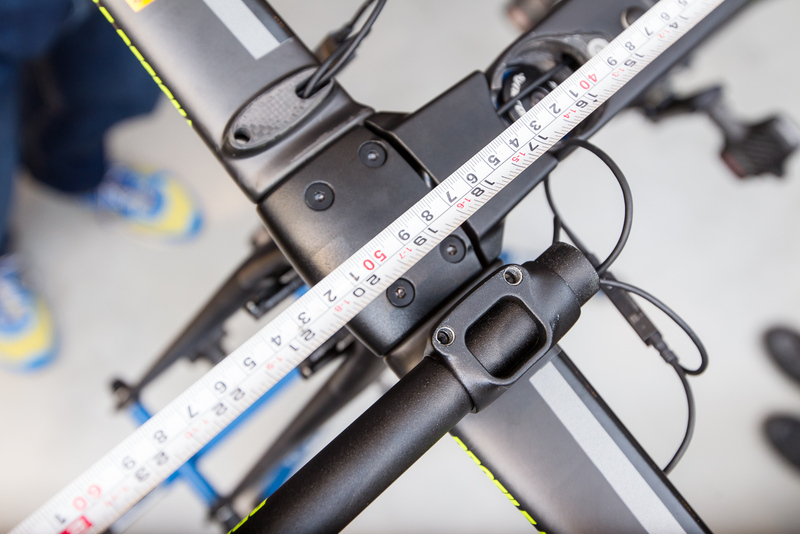 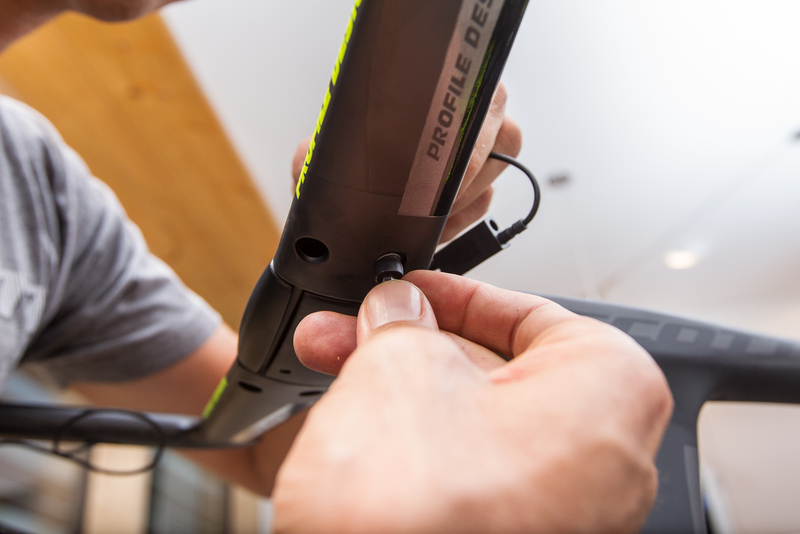 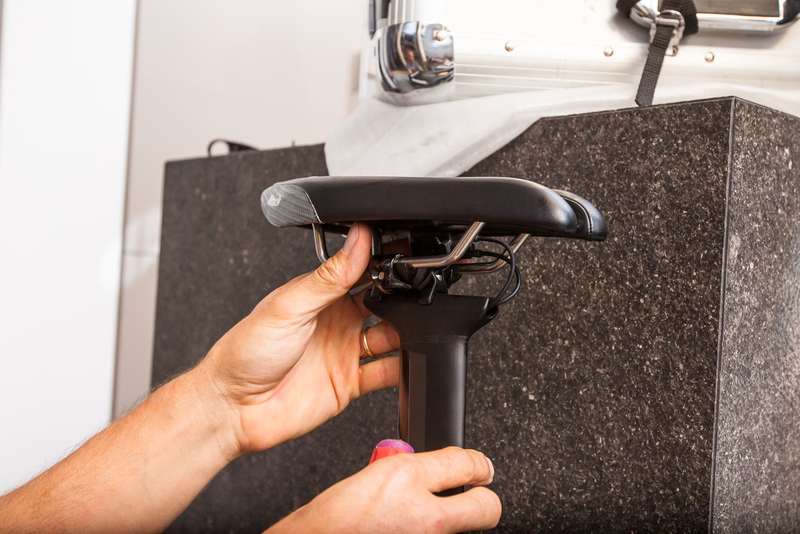 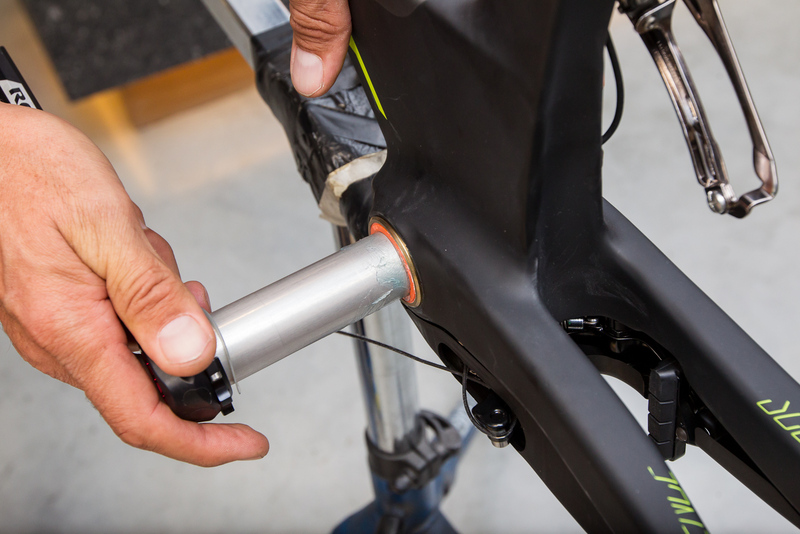 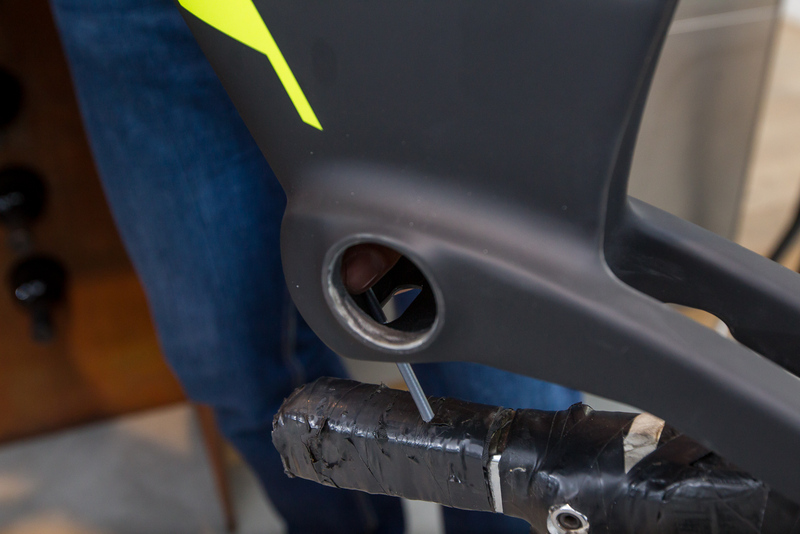 Before wiring, check the seat post insertion distance with your saddle and the mounted battery based on your individual seat height. 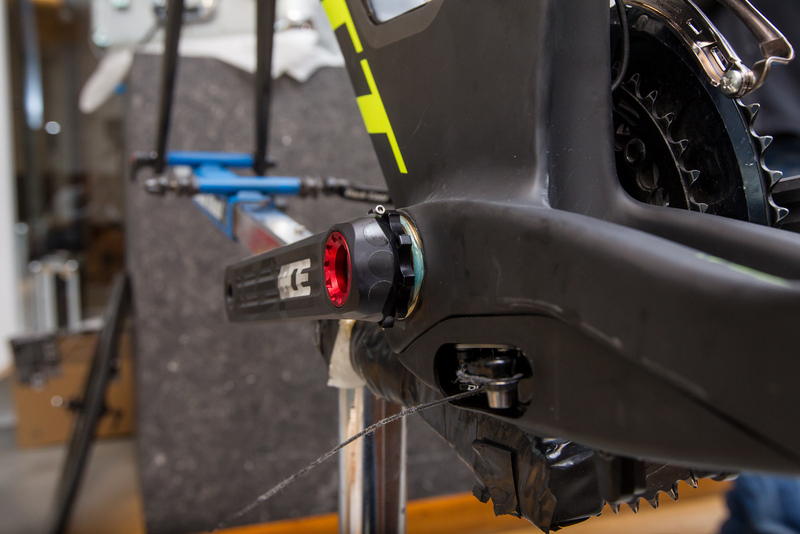 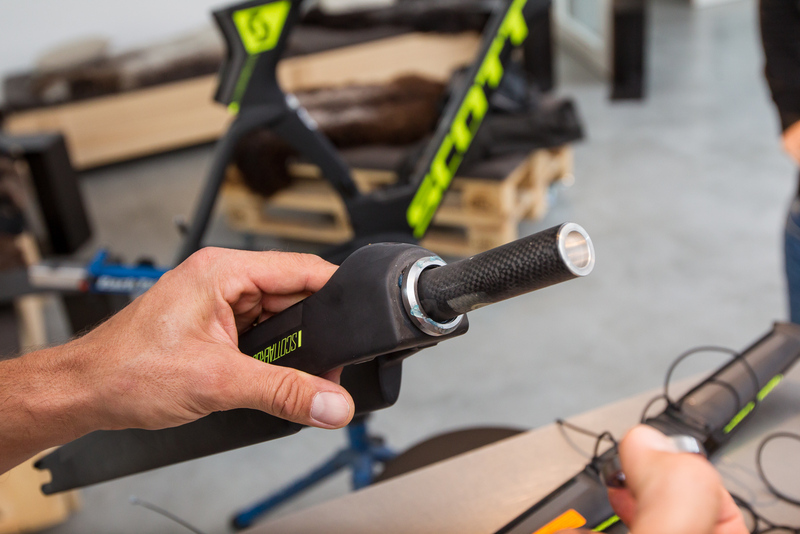 It might be necessary to cut the seatpost on its downside, especially when using small frame sizes (in our case: small). 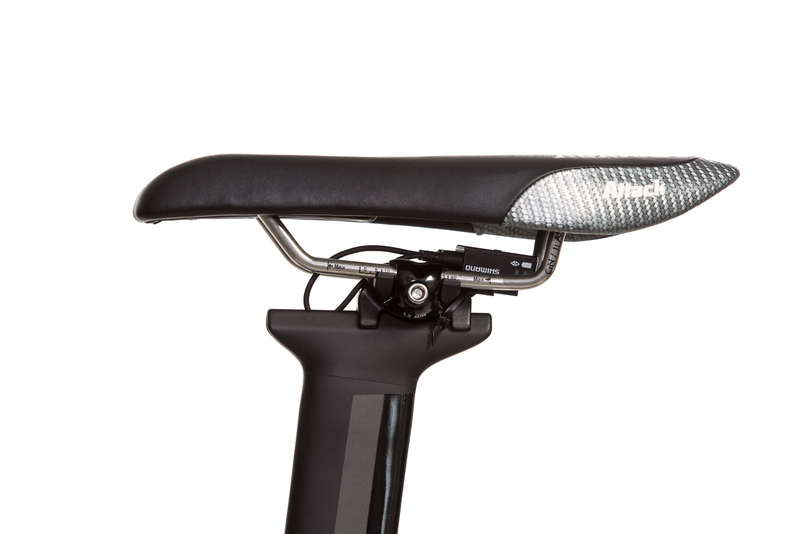 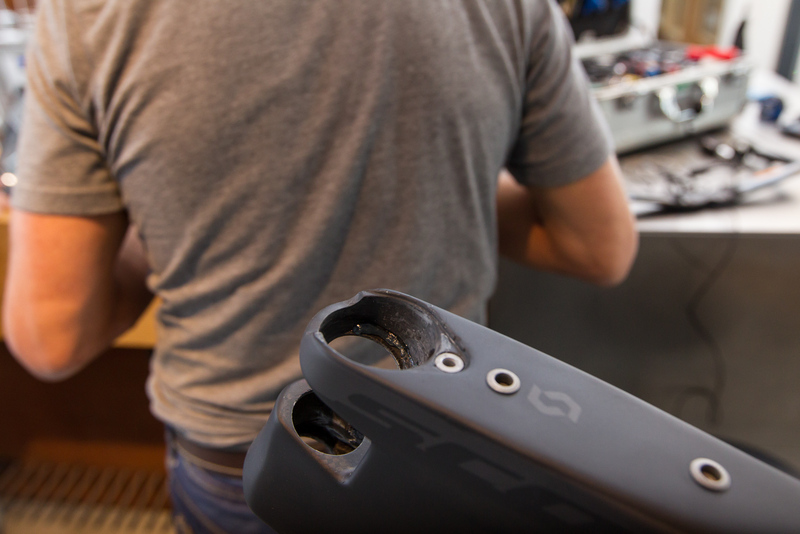 Important: Please note that switching to another saddle or pedal model might have a big influence on the seatpost's length! 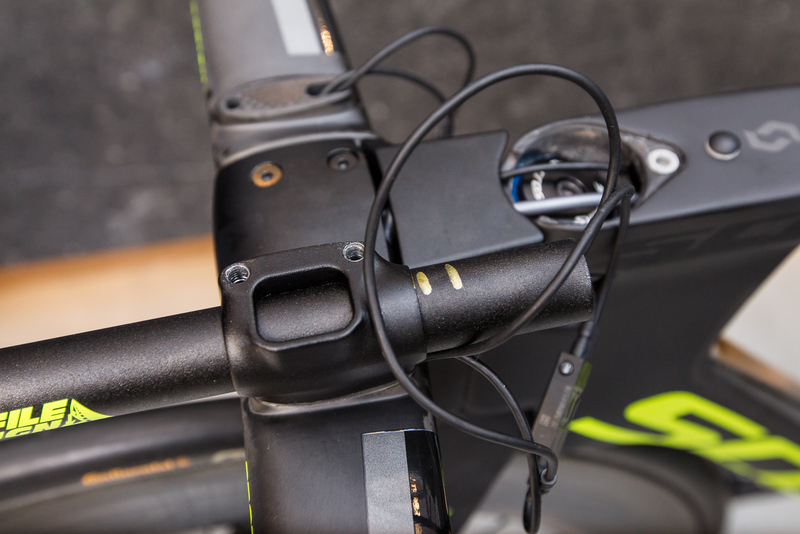 A note on the Di2 junction box: ideally, the button and the charging port are easily accessible and the LED function is clearly visible. 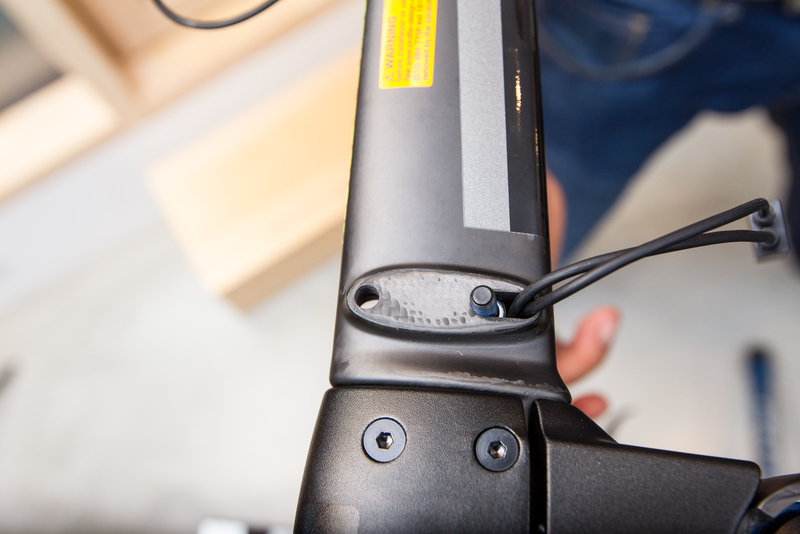 This is the reason why we put the junction box below the saddle and not inside the frame. 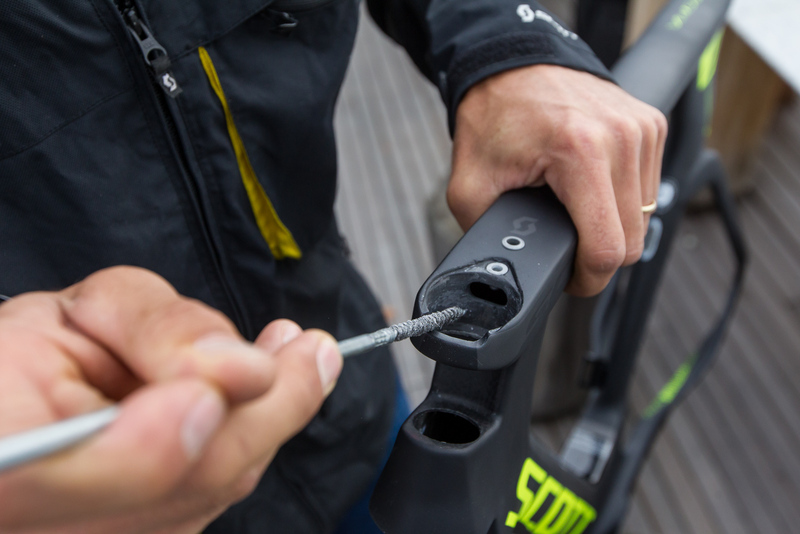 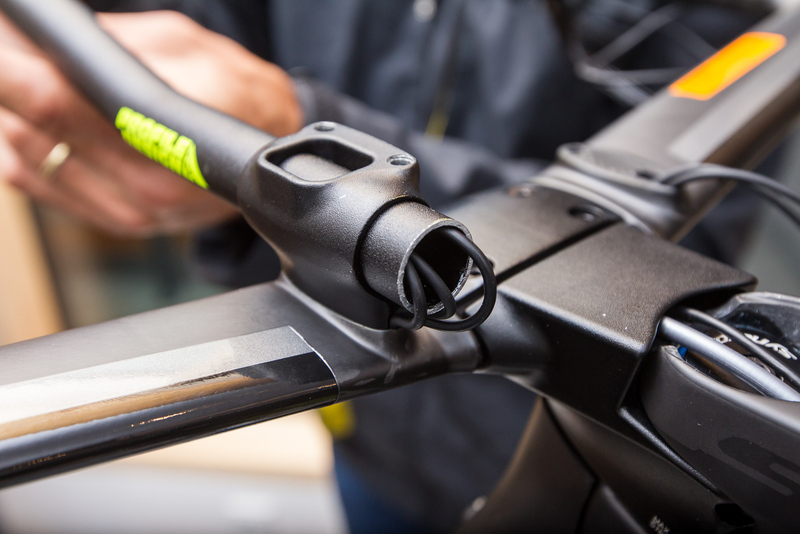 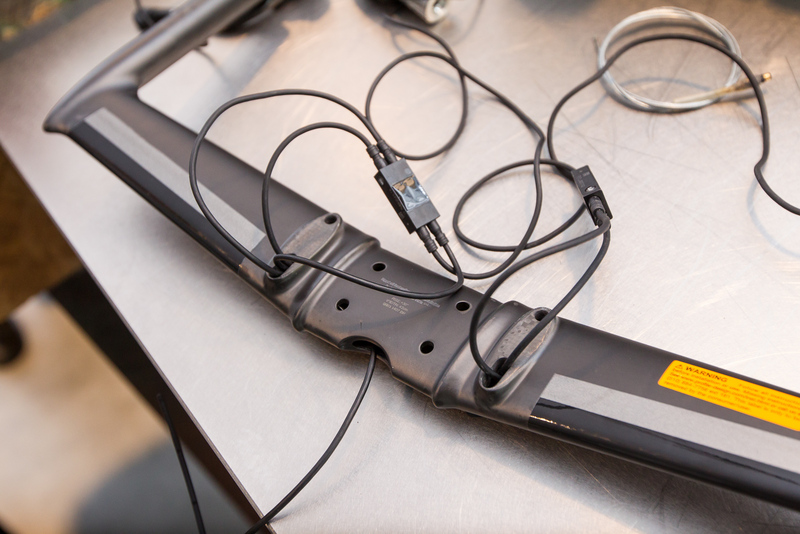 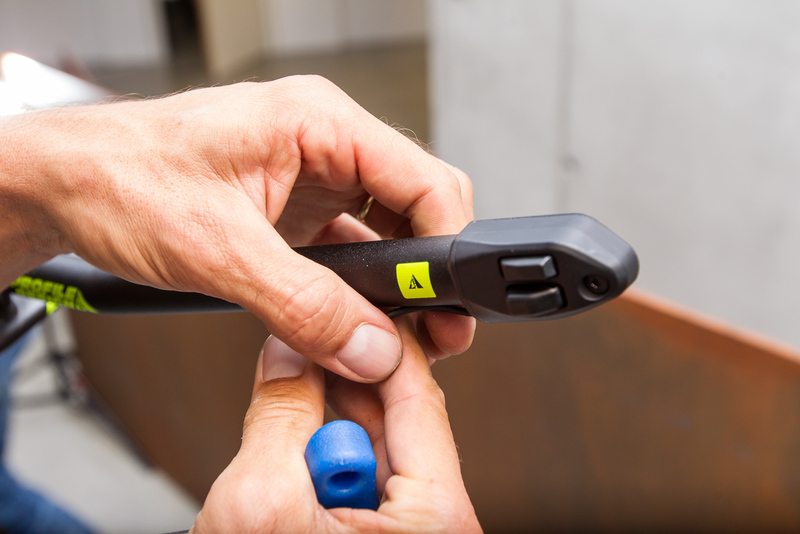 The required cable openings on the seatpost are provided from the factory. 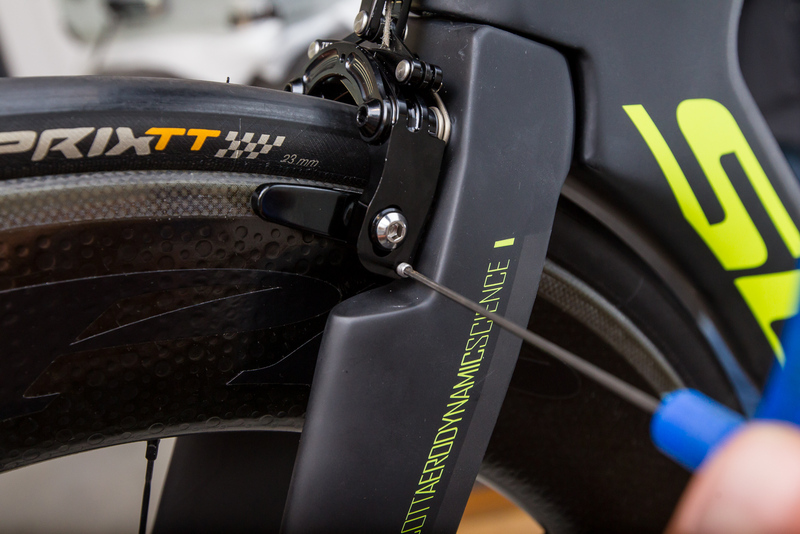 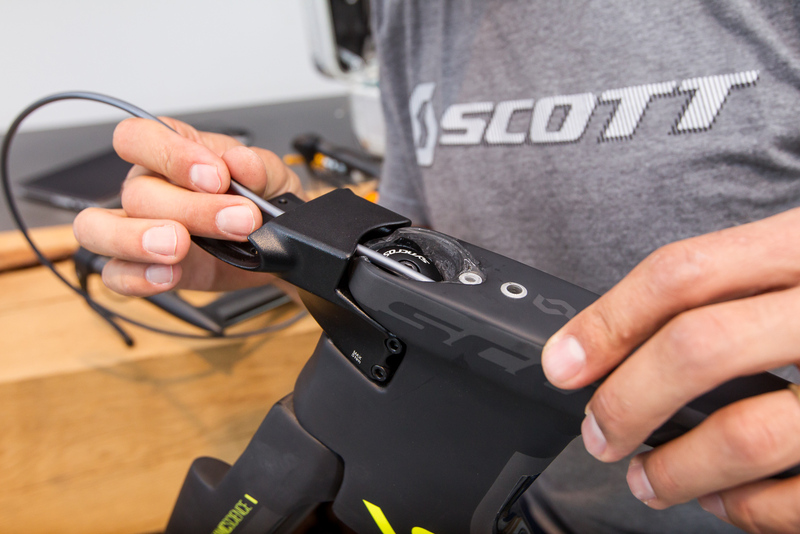 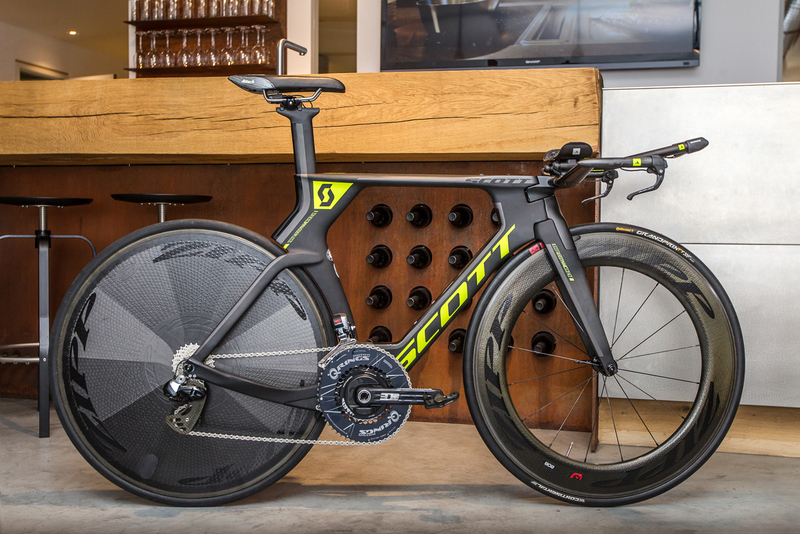 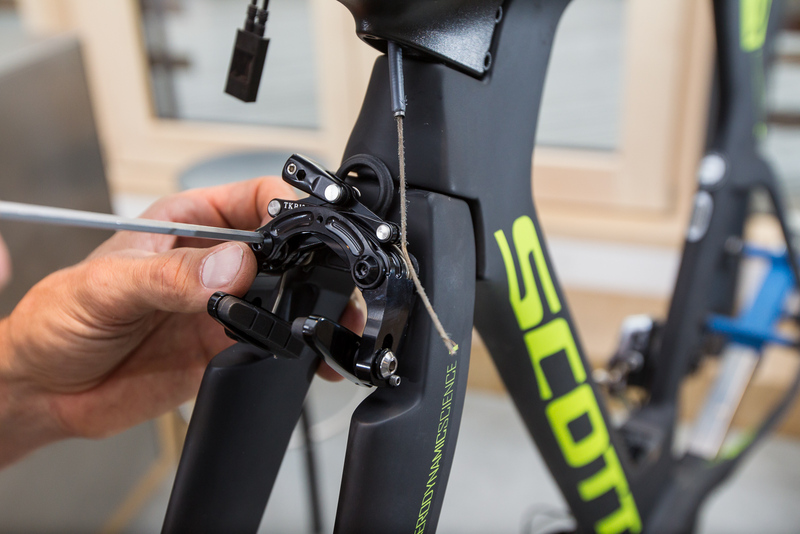 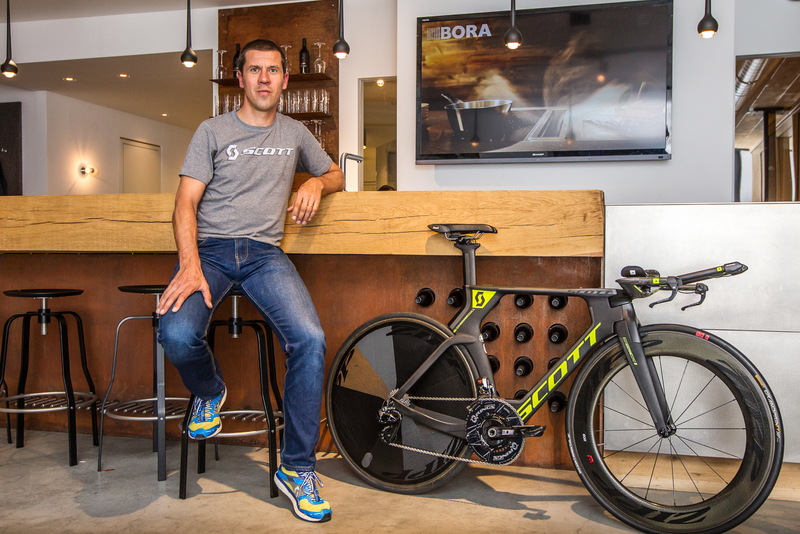 Scott's engineers chose a standard Shimano direct-mount rear brake as it offered the best performance while matching the construction of the Plasma 5. 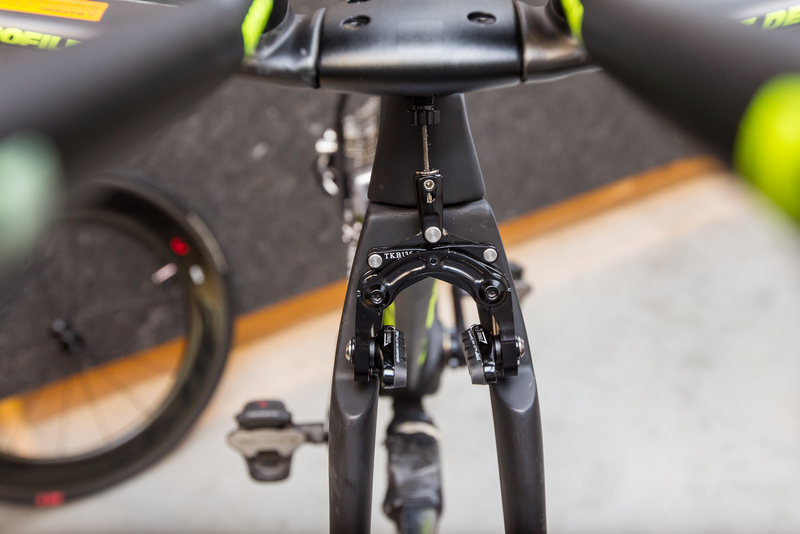 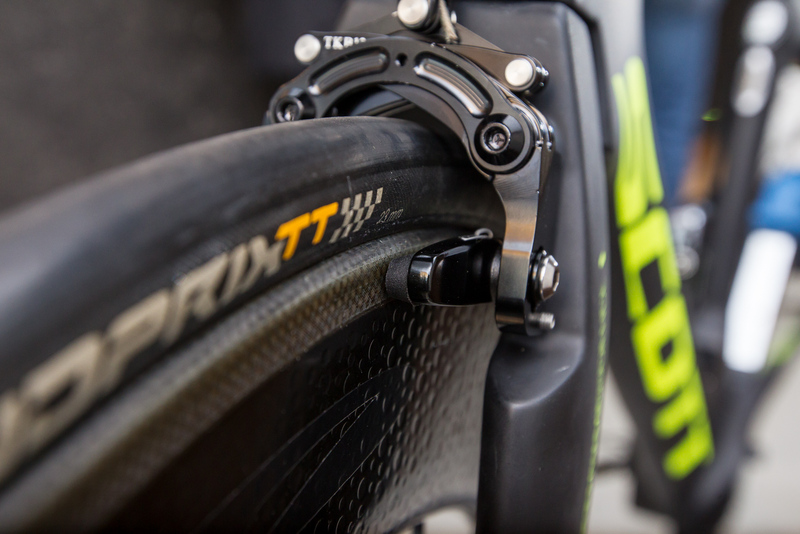 The front brake was developed in collaboration with the brake manufacturer Tektro. 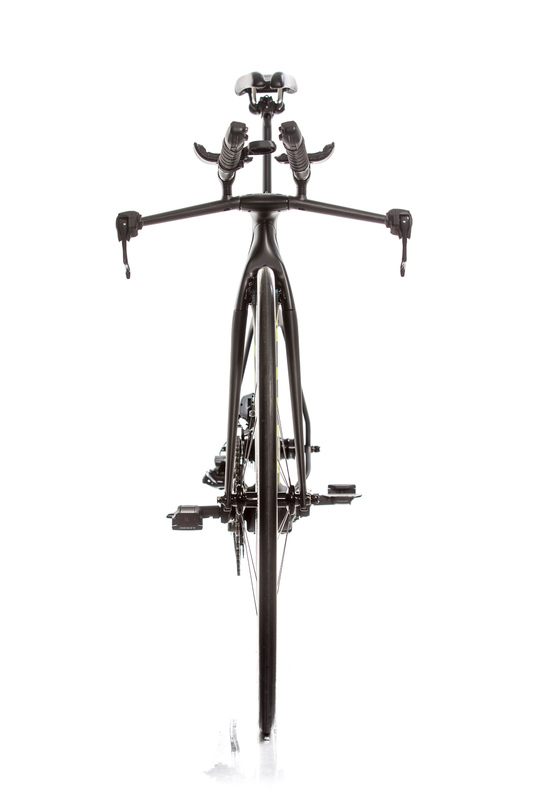 While the aerodynamic performance of this construction is beyond doubt, the braking performance has been improved drastically: improved leverage ratio due to increased length of the lever arms and stiffer construction thanks to a brake booster. 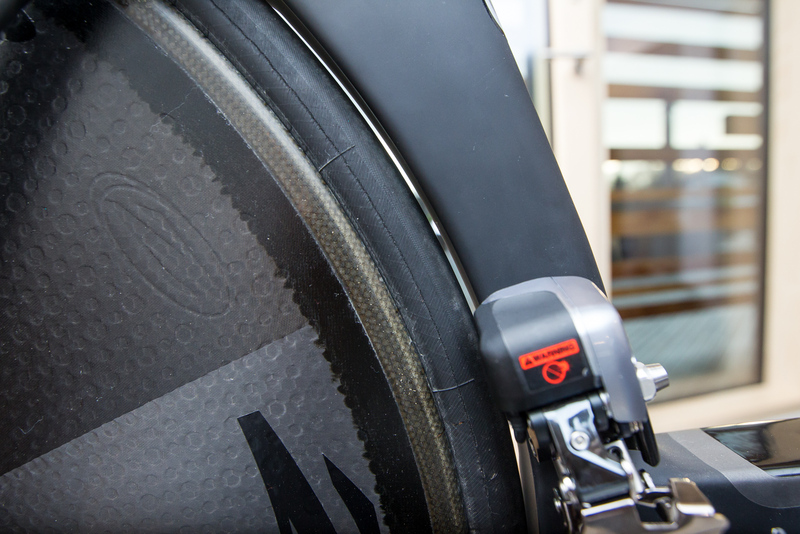 A lower building construction creates space for the brake cover. 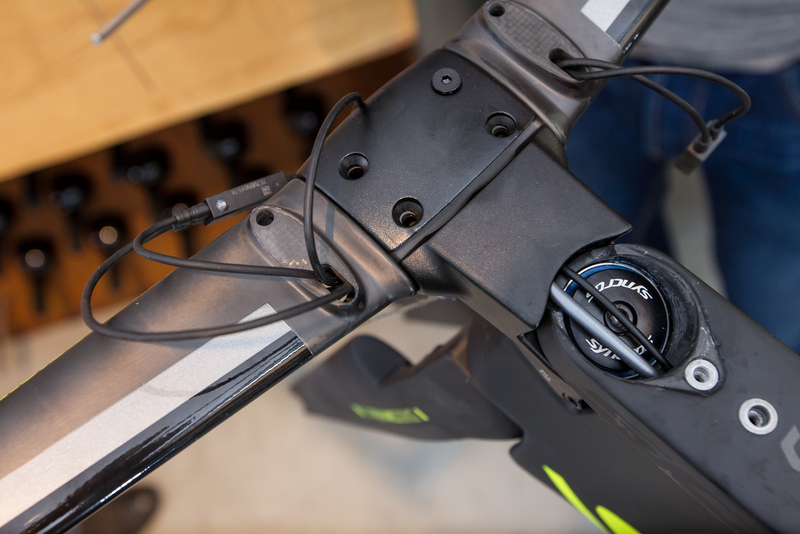 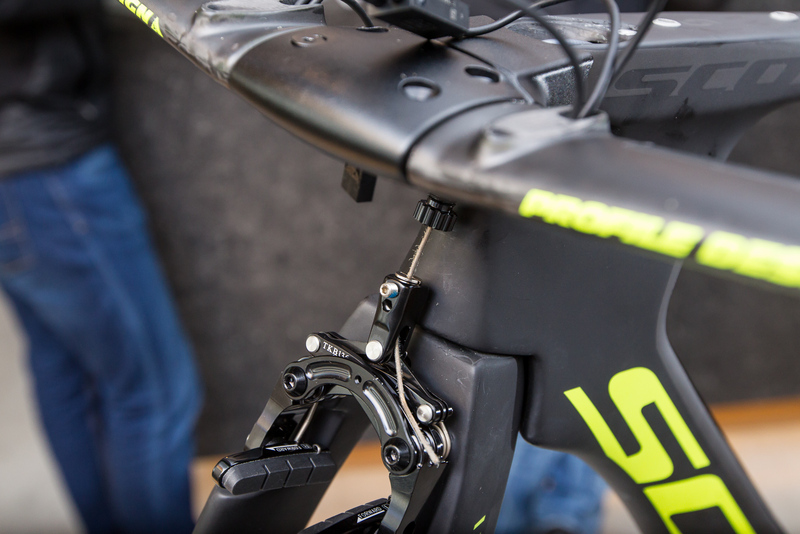 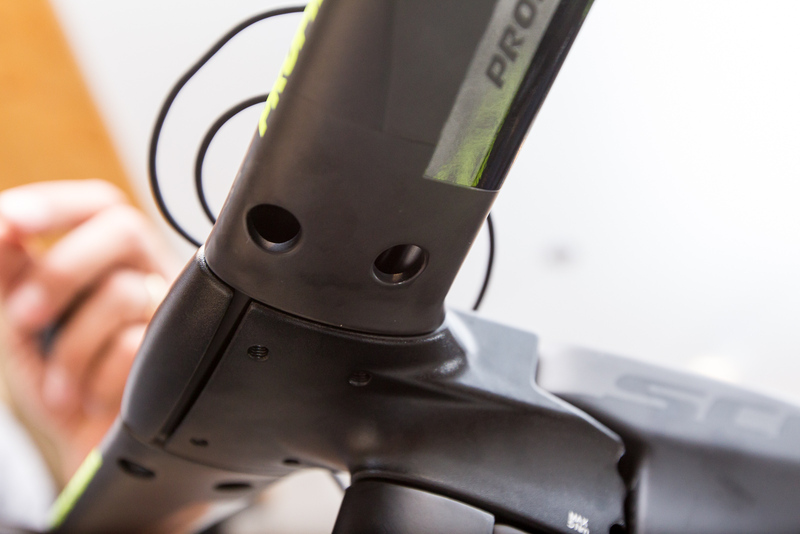 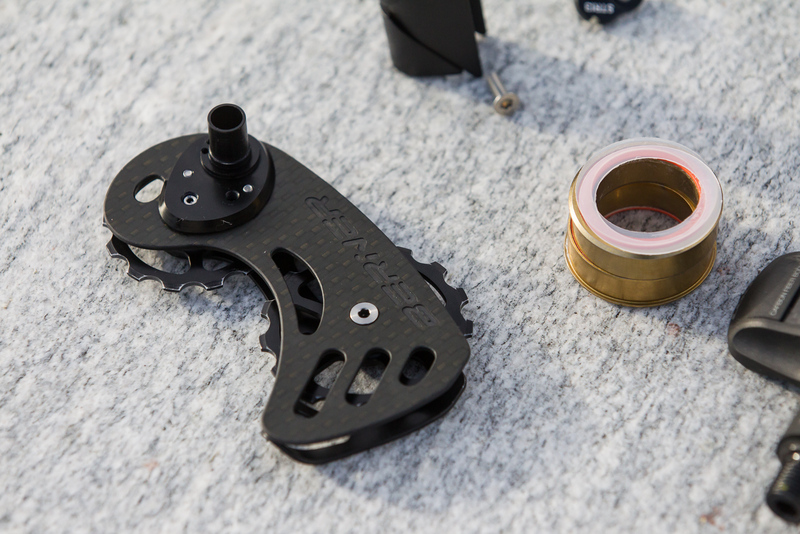 The front brake mount is designed to fit the latest Shimano Direct Mount interface, meaning that any direct mount brake can be assembled on the new Plasma 5. 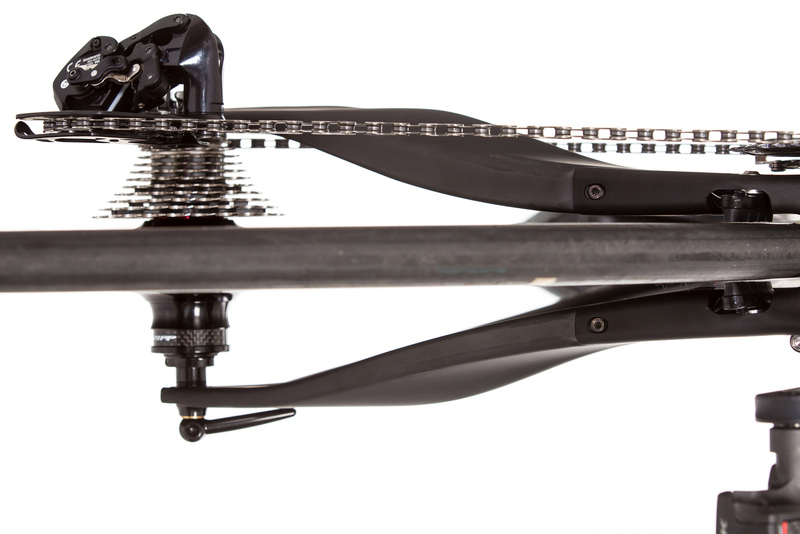 The Plasma 5 frame has a massive Oversize-BB86 Pressfit bottom bracket (86.5 x 41 mm) that is fully compatible with most popular cranks and performance measurement systems: Hollowtech II cranks with a 24 mm diameter spindle (Shimano Pressfit 86), SRAM GXP (Truvativ Pressfit GXP) or BB386Evo cranks with a 30 mm spindle (Rotor PressFit 4130). 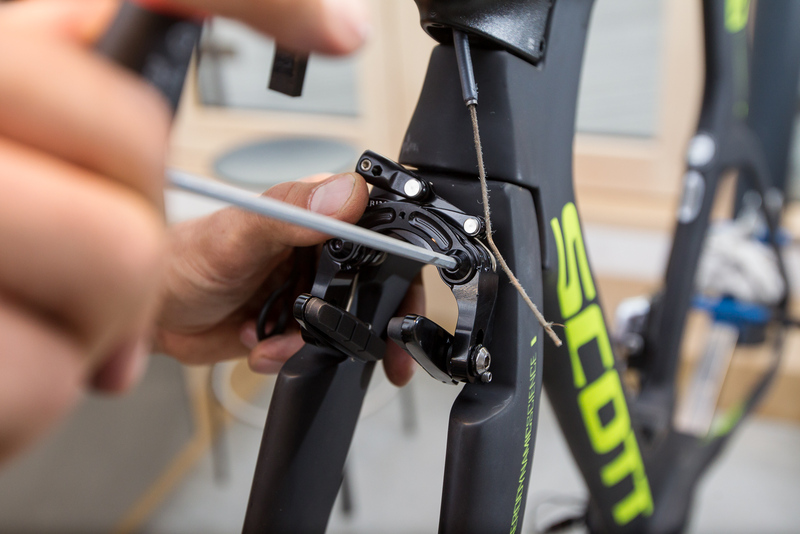 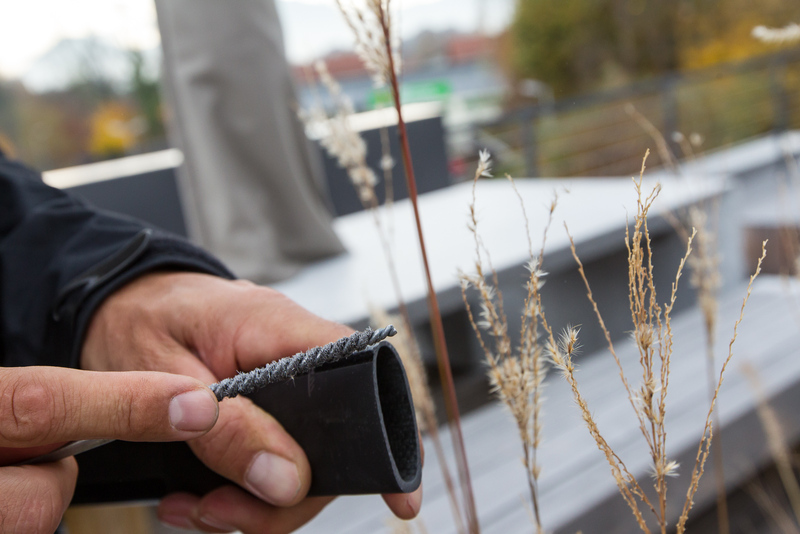 Note: When installing bottom brackets without a one-piece sleeve, you'll have to protect the wires and the junction from the rotating axle. 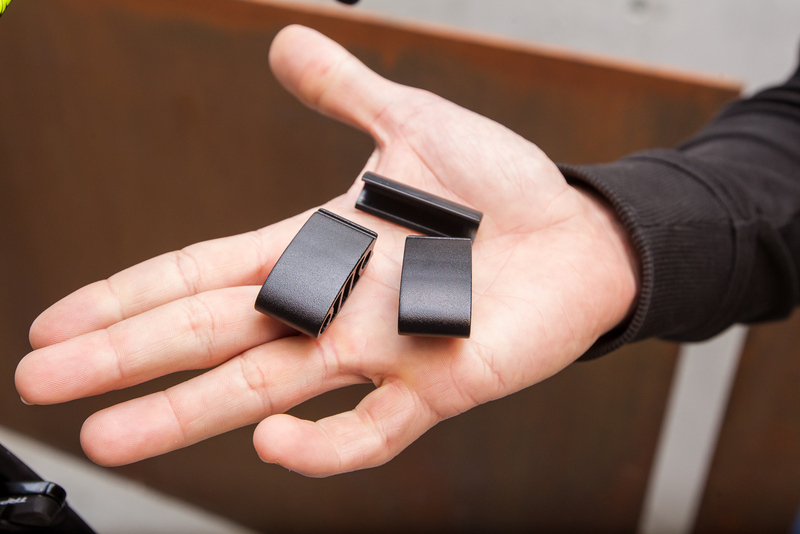 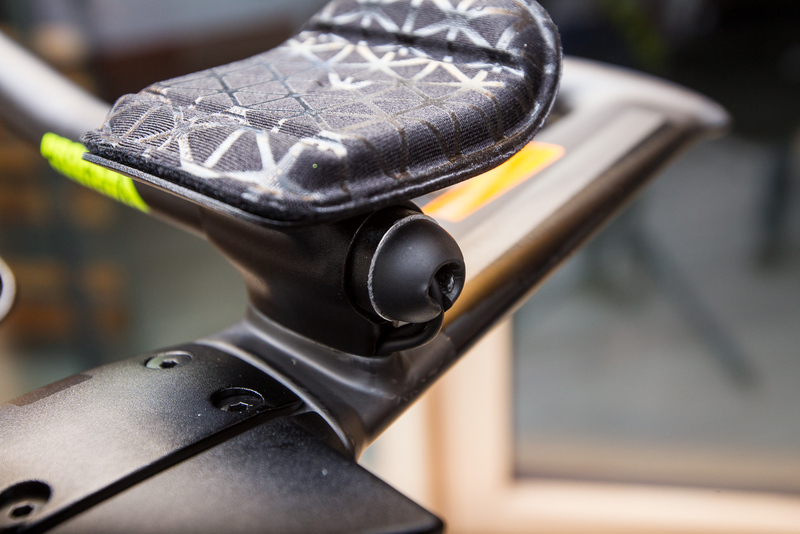 Spacer and extension brackets have been designed specifically for the Plasma 5 and allow for height adjustment of up to 75mm for armrests and extensions. 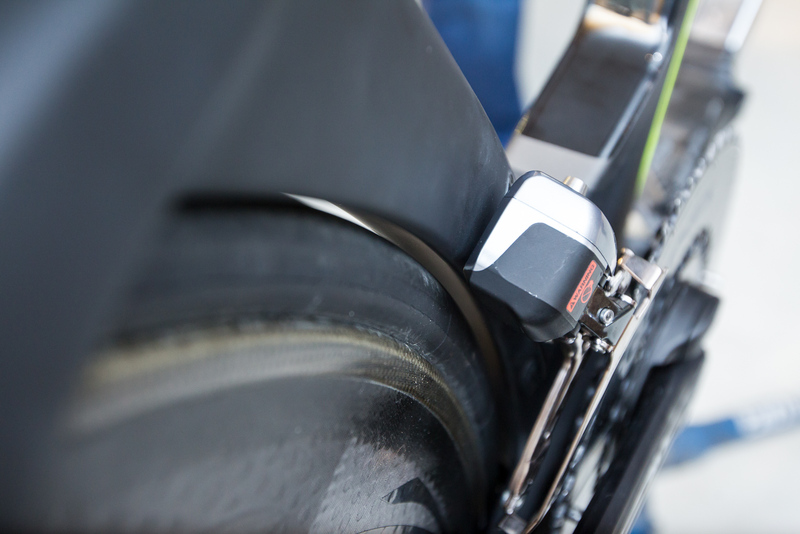 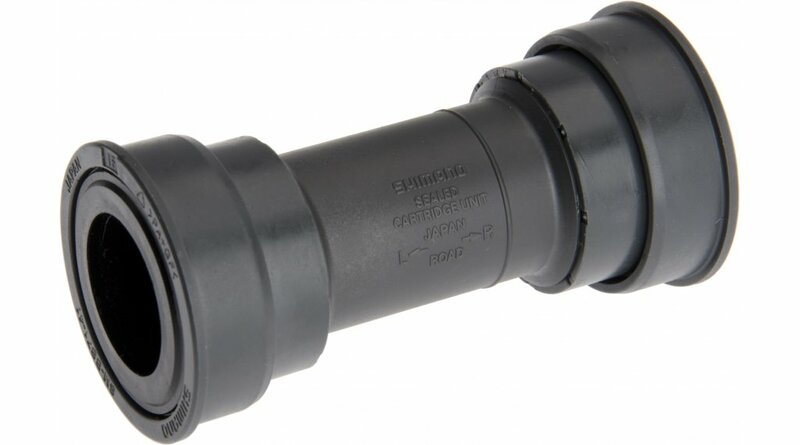 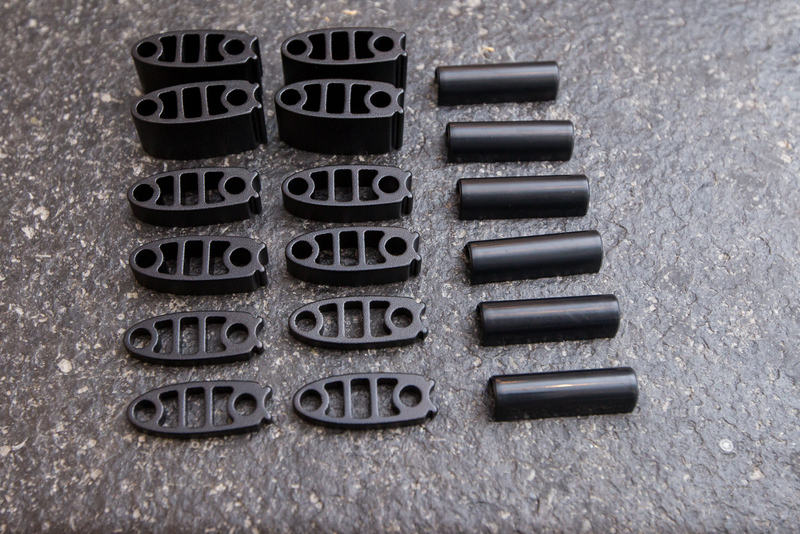 The extension clamping system features a 22.2 mm clamping standard to maintain interchangeability with all of the available extension from Profile Design and most other brands. 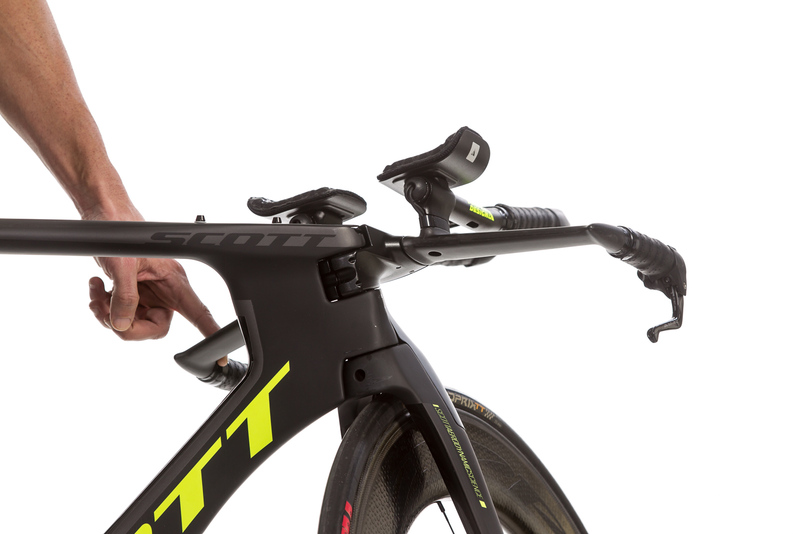 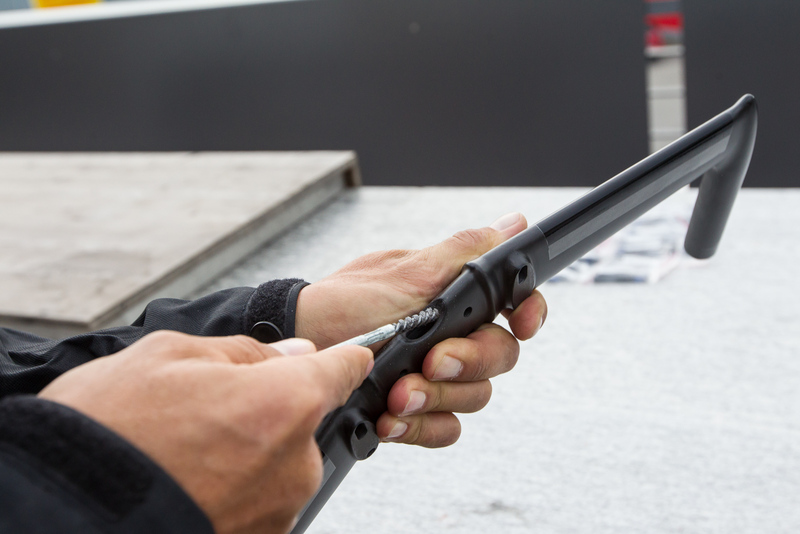 The sweep bend extension is angled at its end in order to provide an ergonomic but more aerodynamic hand position due to the reduction of the gap between extension and forearm. 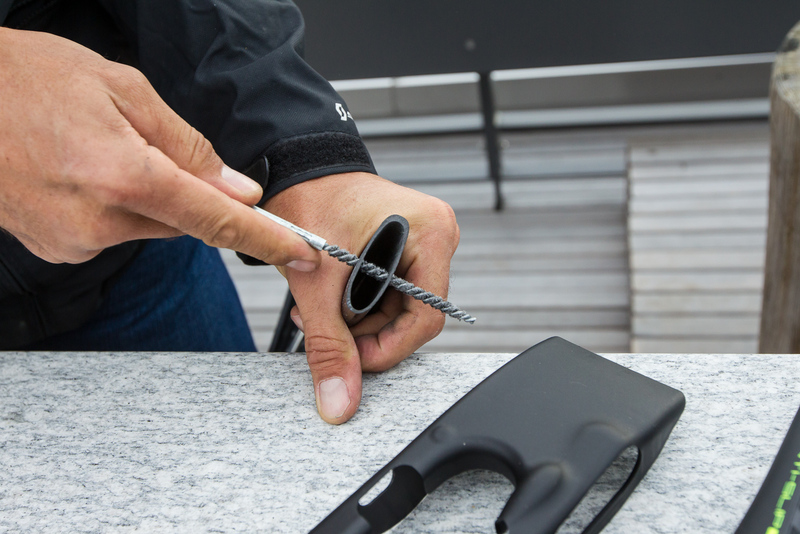 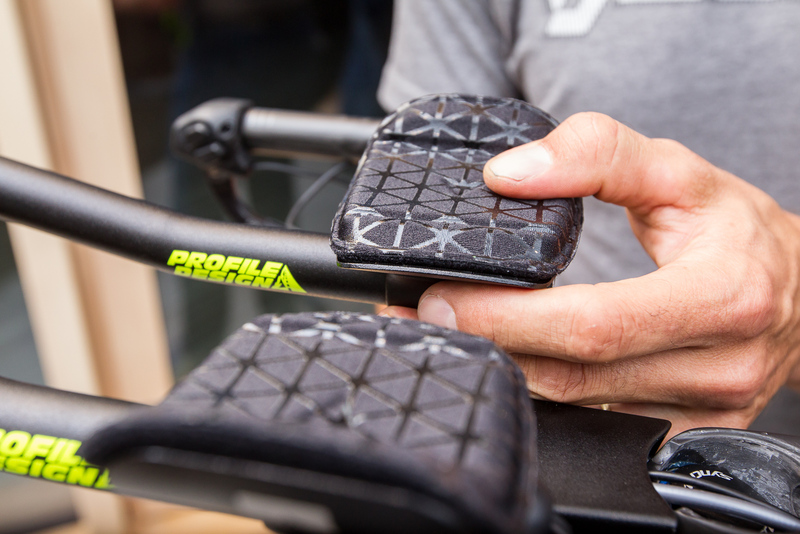 The new pad construction features a narrower mounting option and a lower pad design.